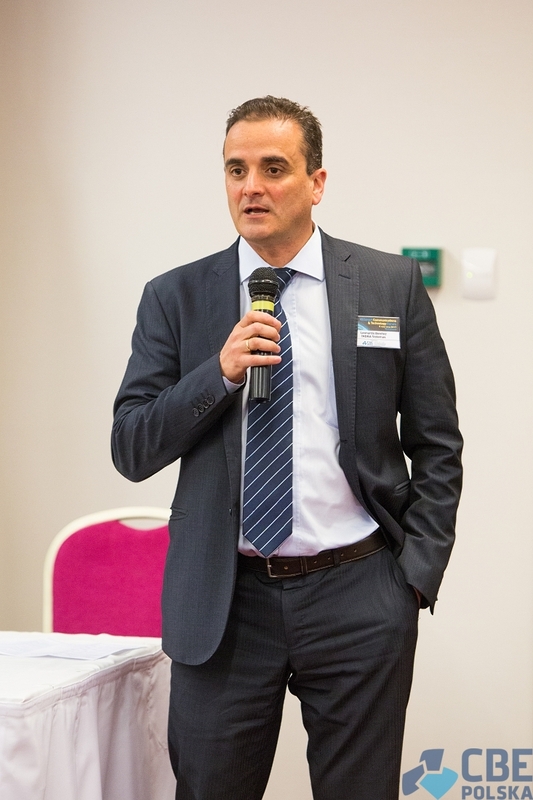 Ferry Cserèp, VII Smart Communications and Technology Forum: "Proven solutions save time and reduce risk". 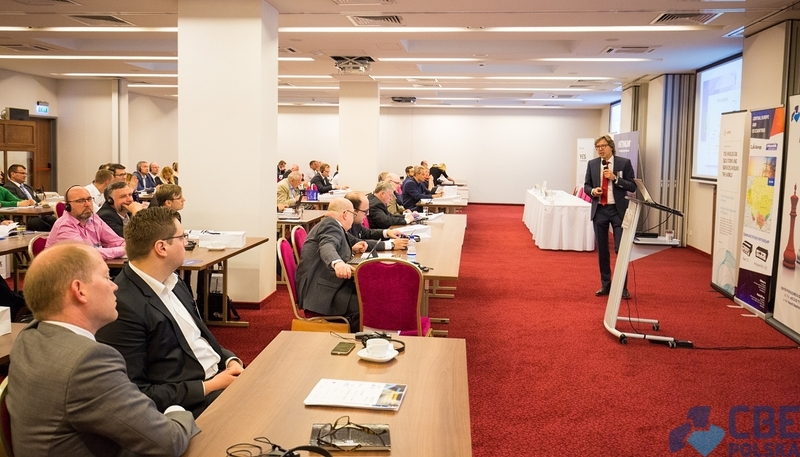 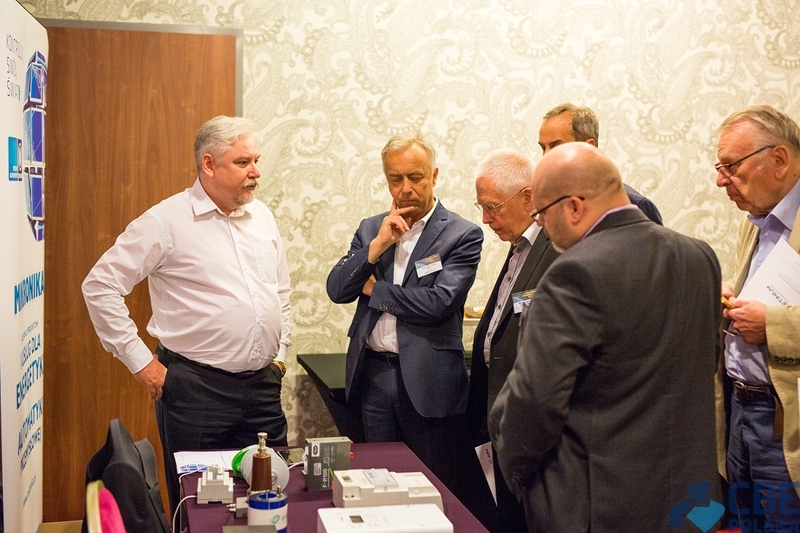 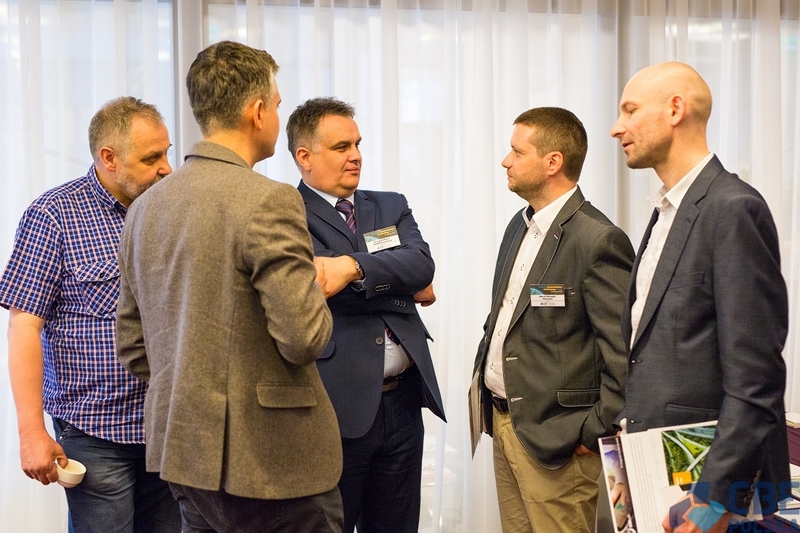 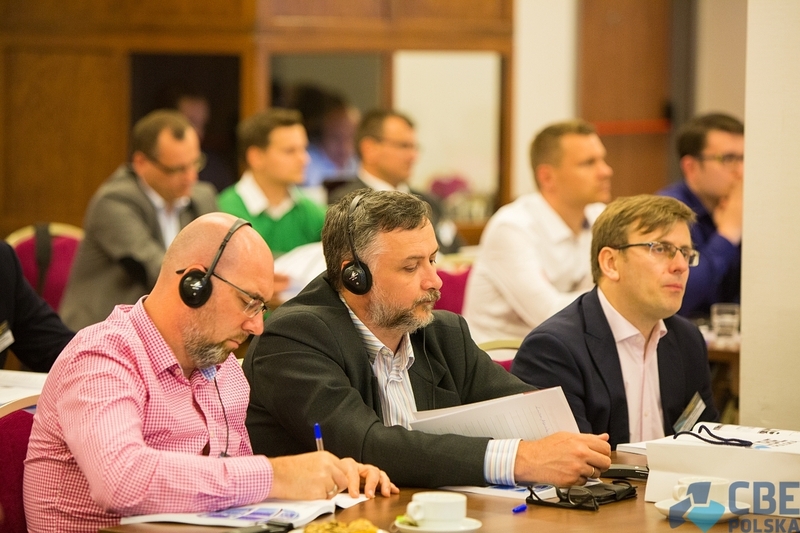 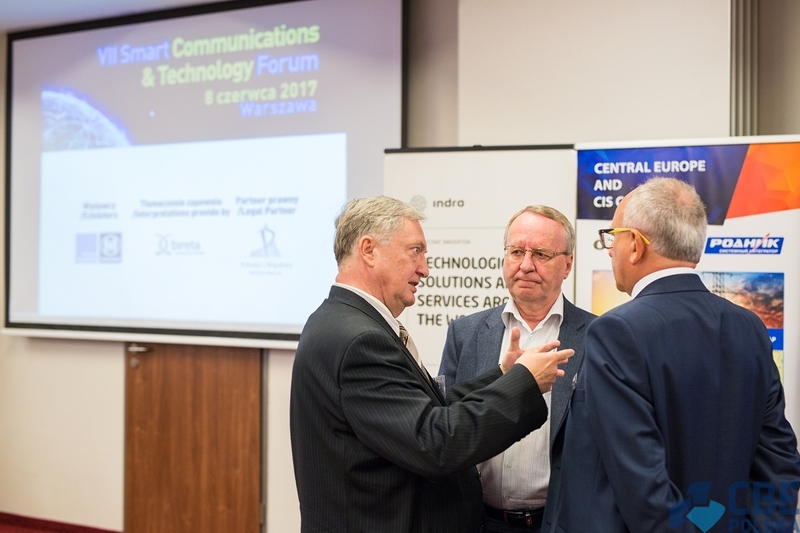 The discussion on the development of smart grid / smart metering projects in Poland has been going on for several years now. 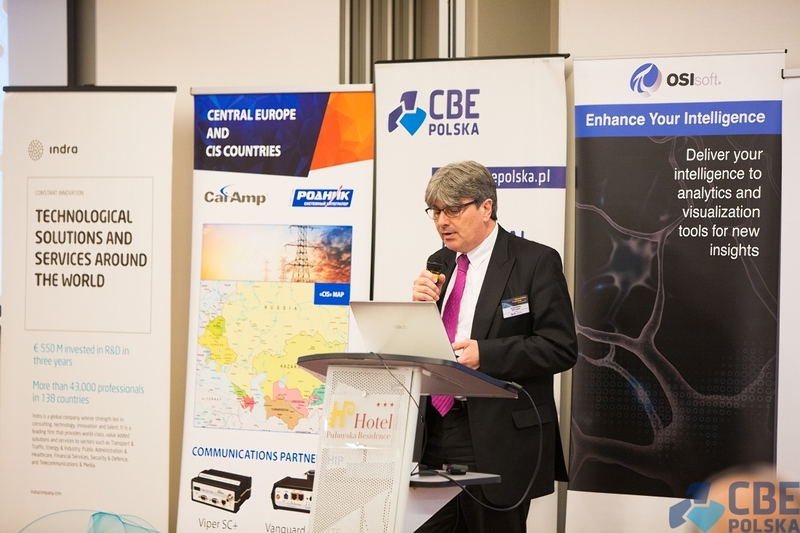 Compared to other European Union countries, Poland is really at the brink of possible large scale implementation of smart metering projects. 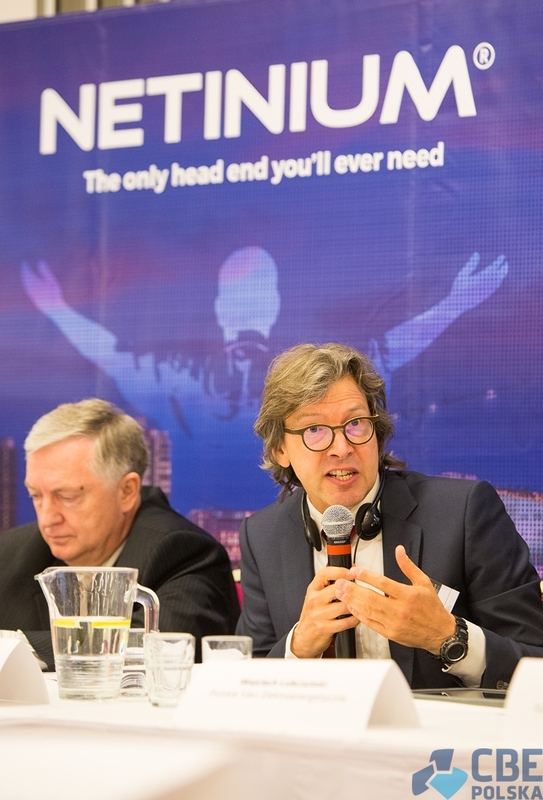 By the end of 2016, globally there were more than 700 million intelligent meters installed worldwide, of which half were implemented only in China. 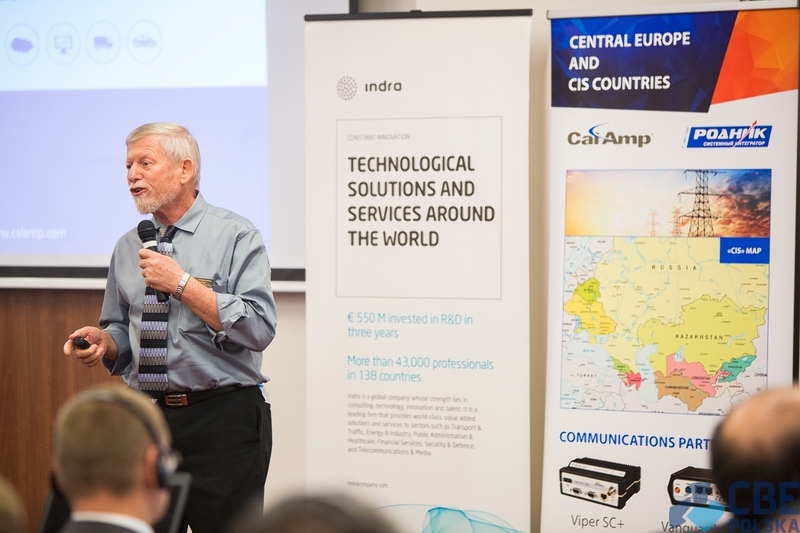 The European Commission and the EU Member States aim to exchange 80% of electricity meters for intelligent systems by 2020, which means over 200 million meters on electricity grids will have to be replaced in less than 3 years. 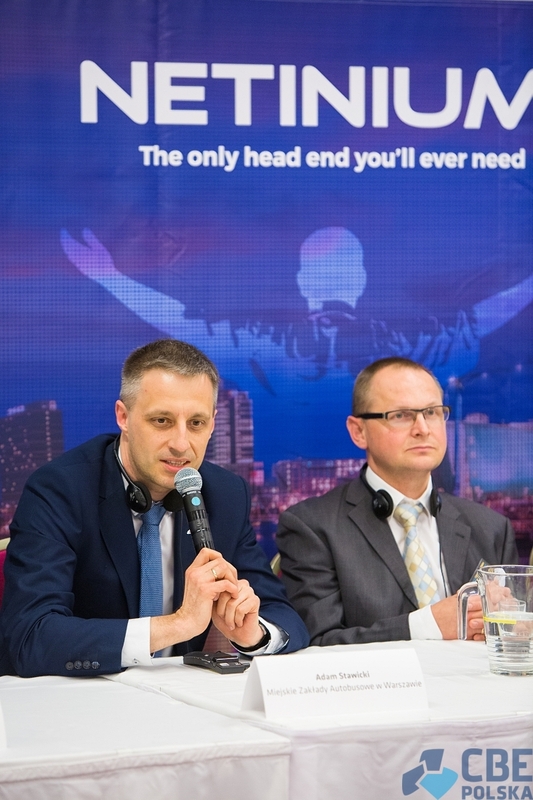 This also includes Poland. 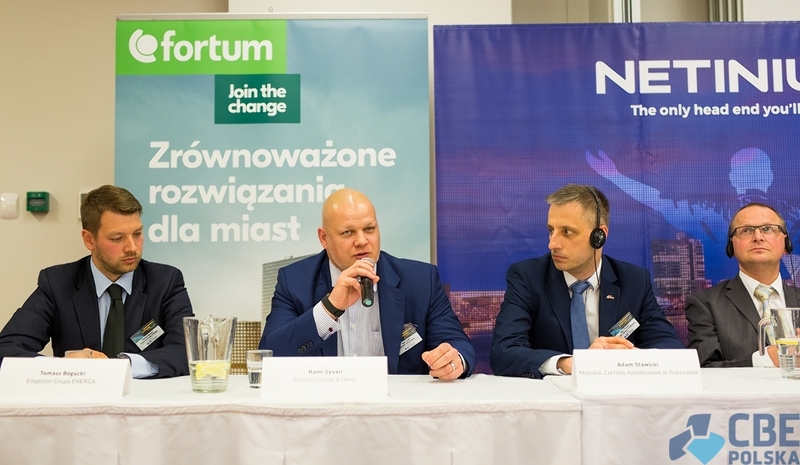 Presently, in Poland the implementation of smart meters is carried out almost exclusively by distribution network operators: ENERGA Operator S.A. in the northern part of the country, with over 832 thousand smart meters in PLC technology installed by 2016, Innogy Stoen Operator - 100 thousand AMI meters, TAURON Dystrybucja S.A. - 331 thousand, ENEA Operator S.A. - 100 thousand and PGE Dystrybucja - about 50 thousand. 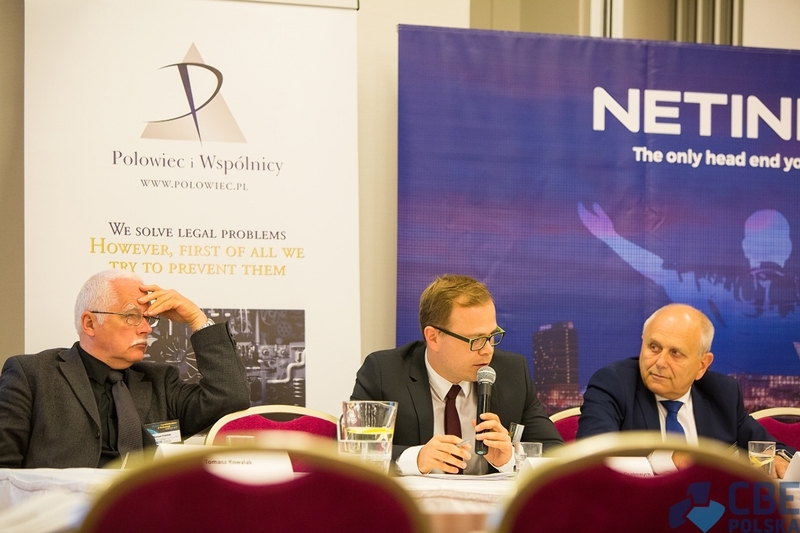 Despite these implementations, the situation in Poland and the drive to move forward is not certain. 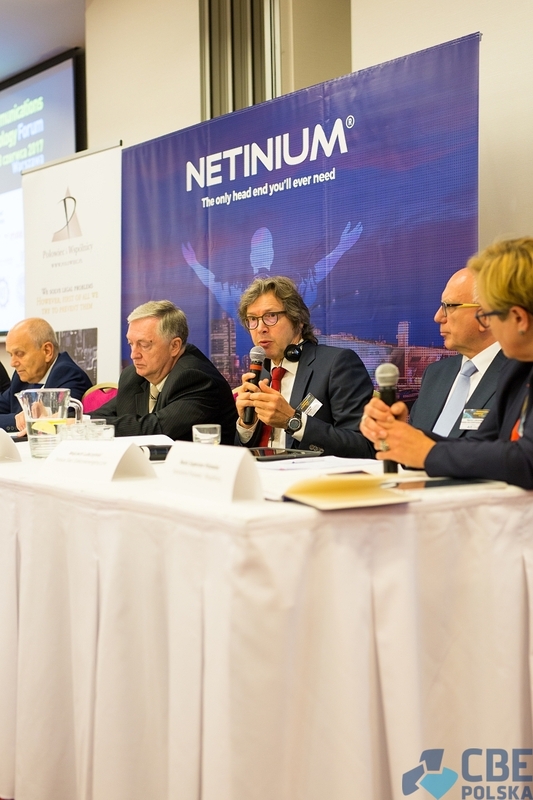 There are no clear legislative and organizational solutions that would make it easier for investors to get involved in this technology. 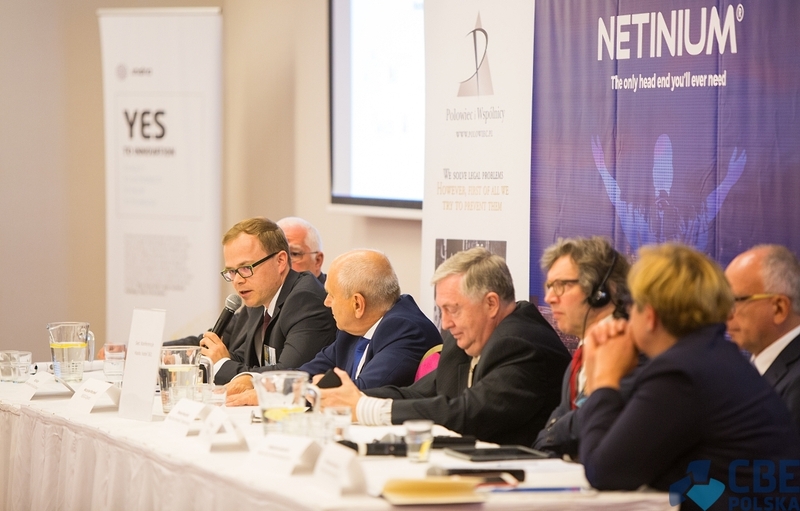 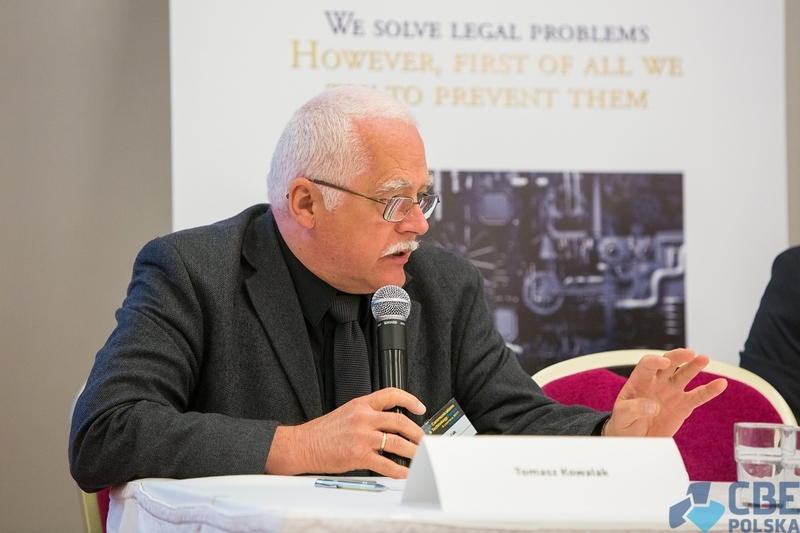 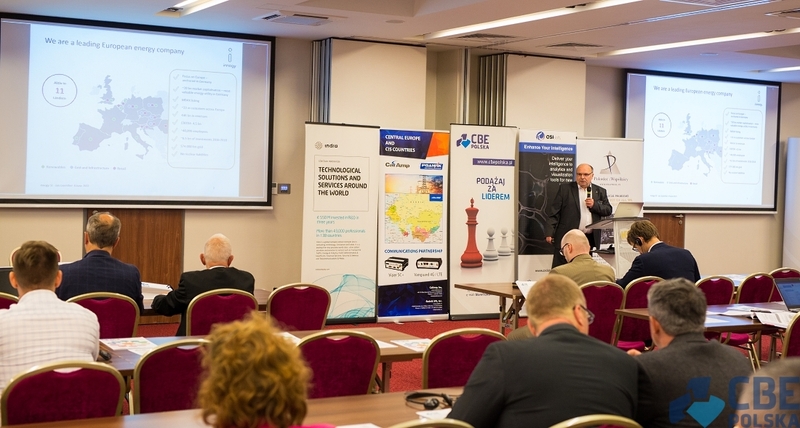 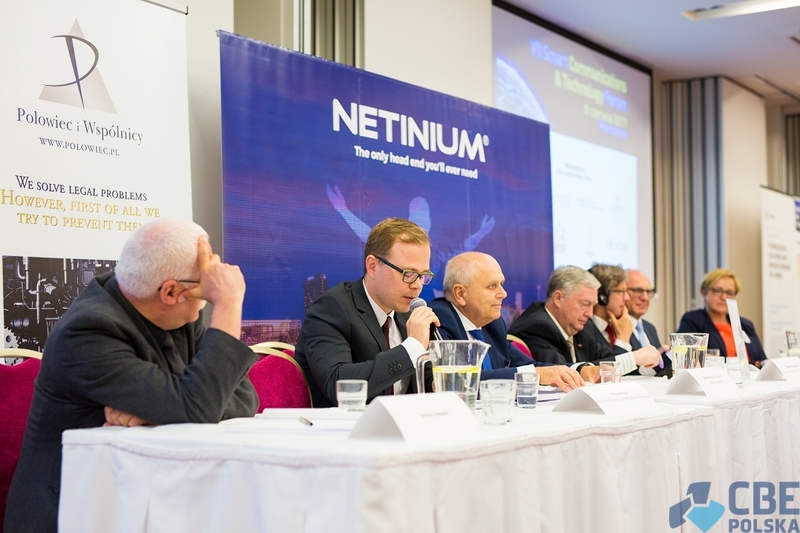 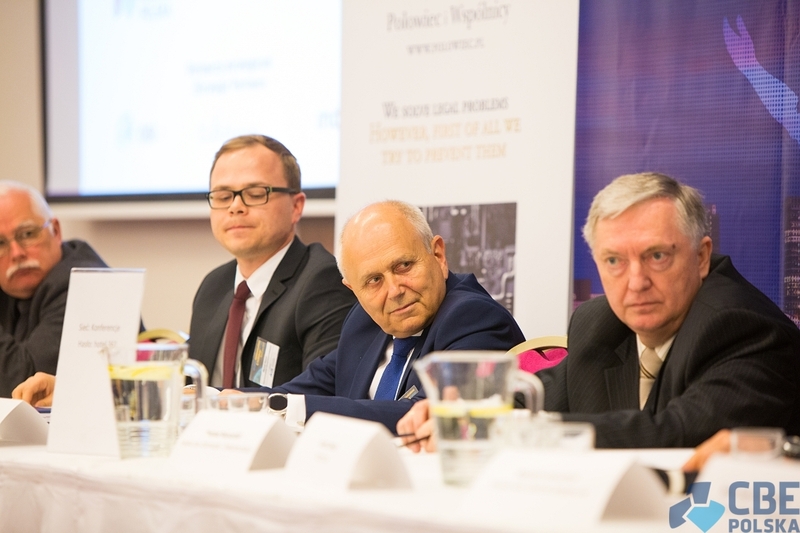 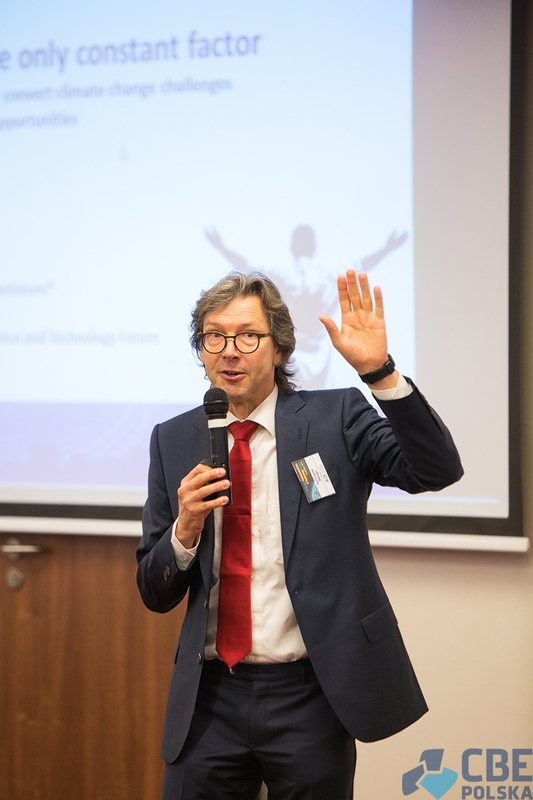 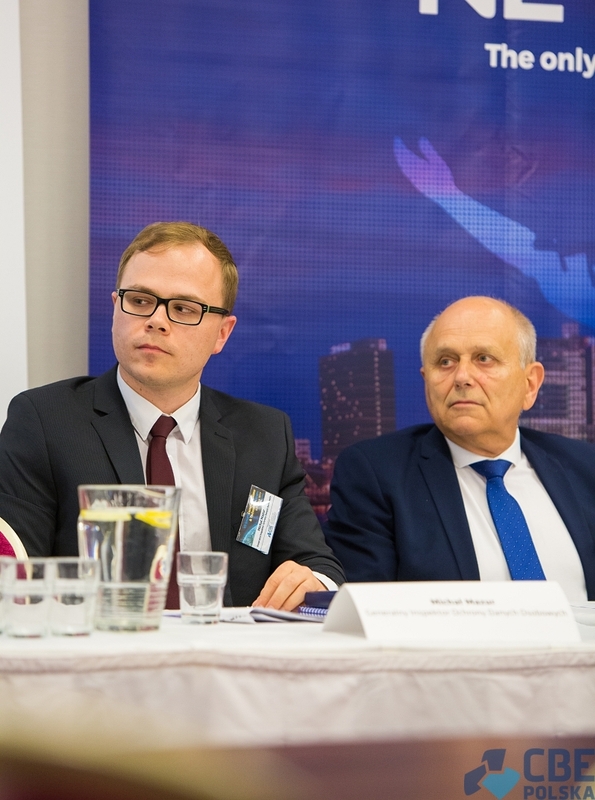 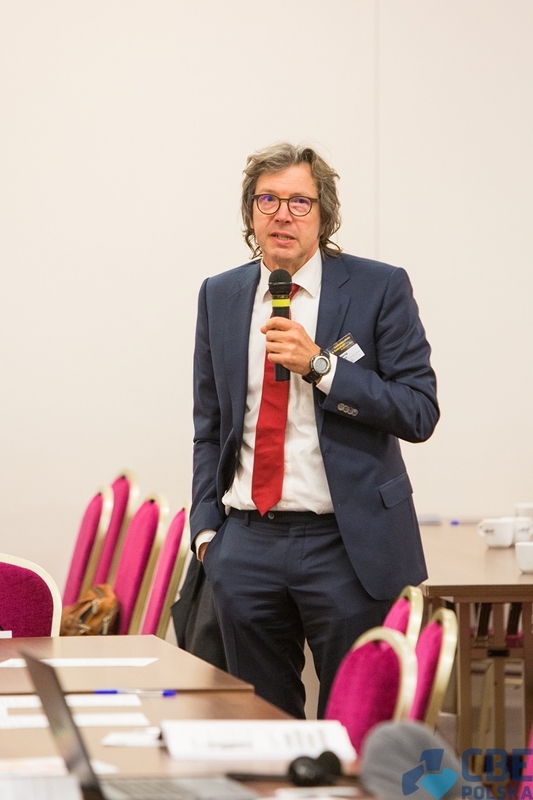 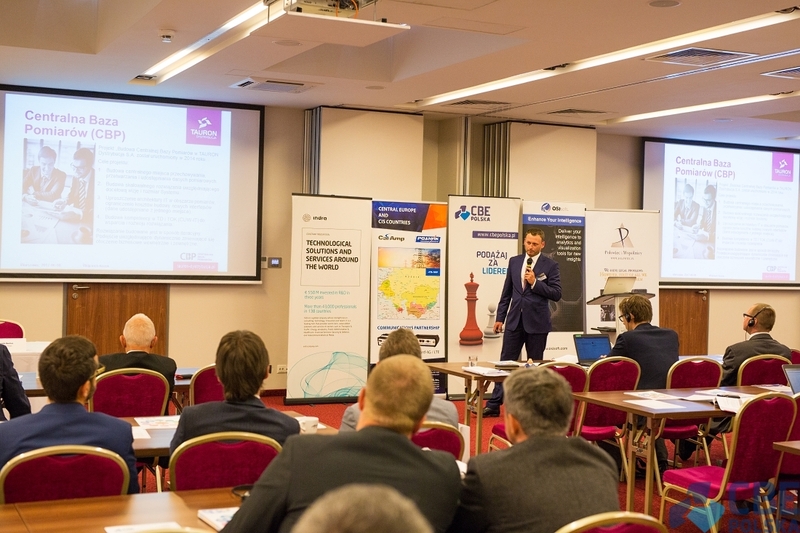 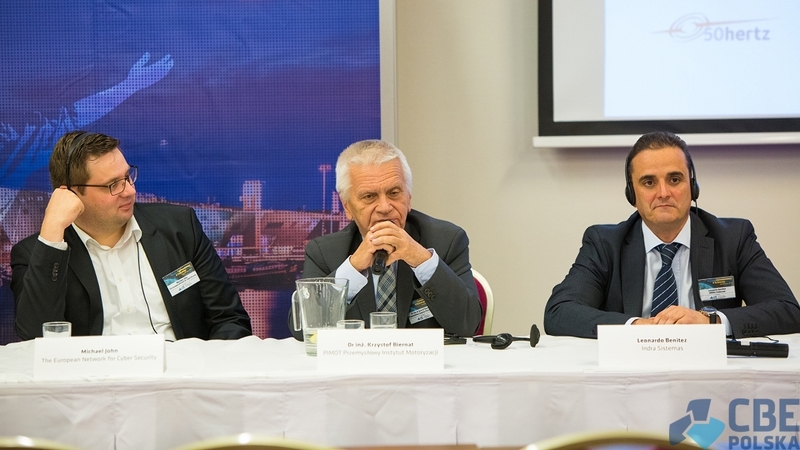 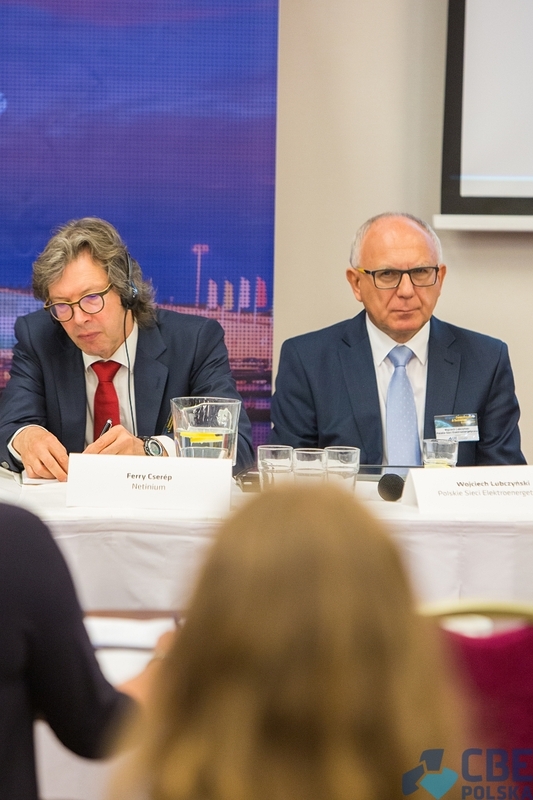 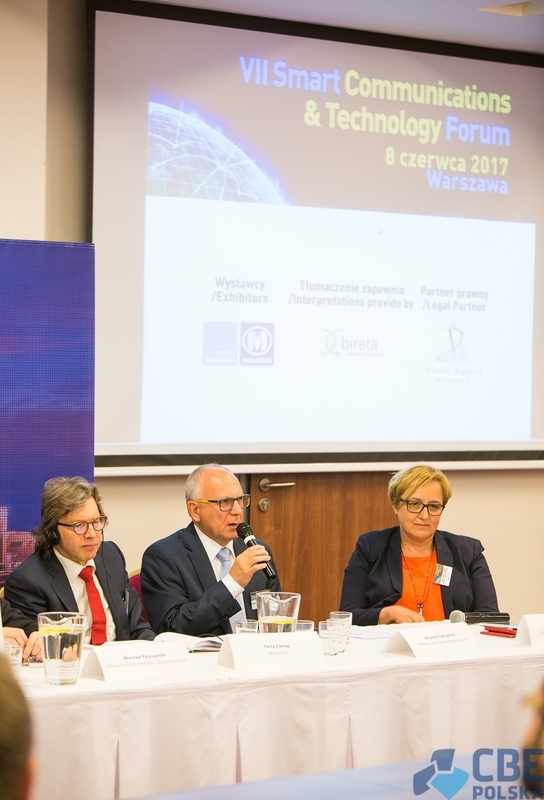 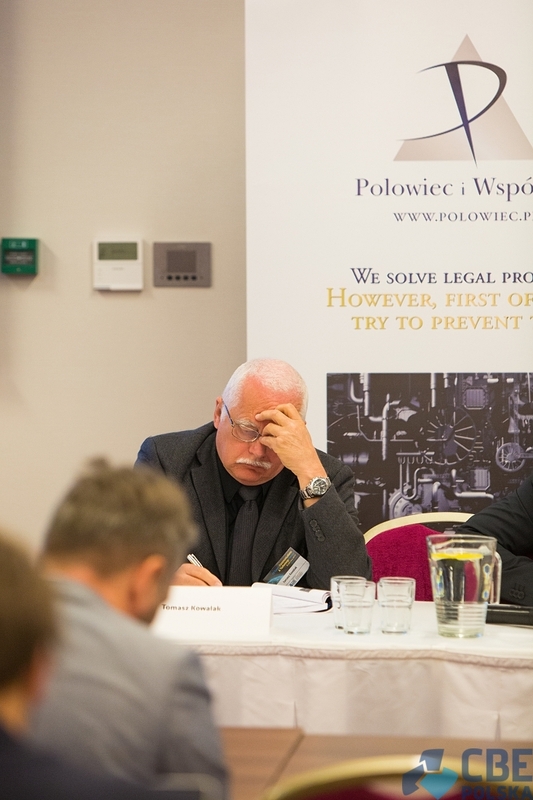 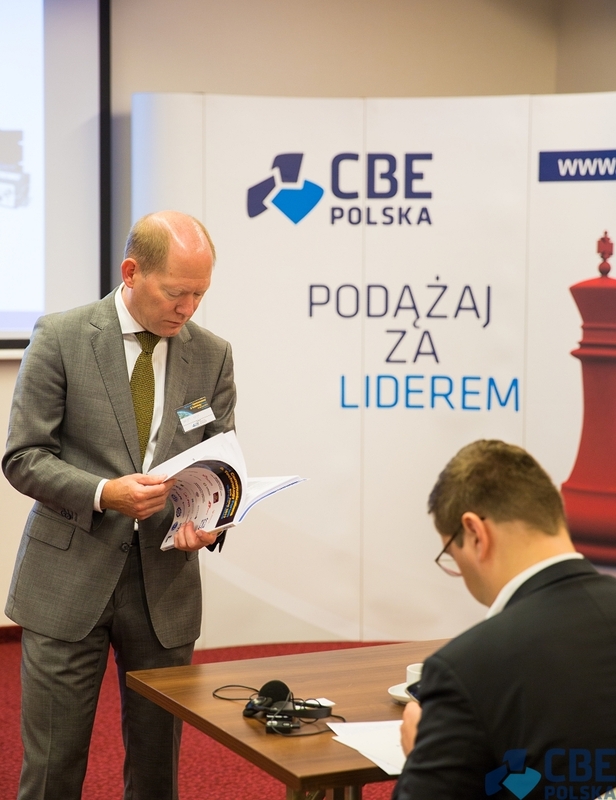 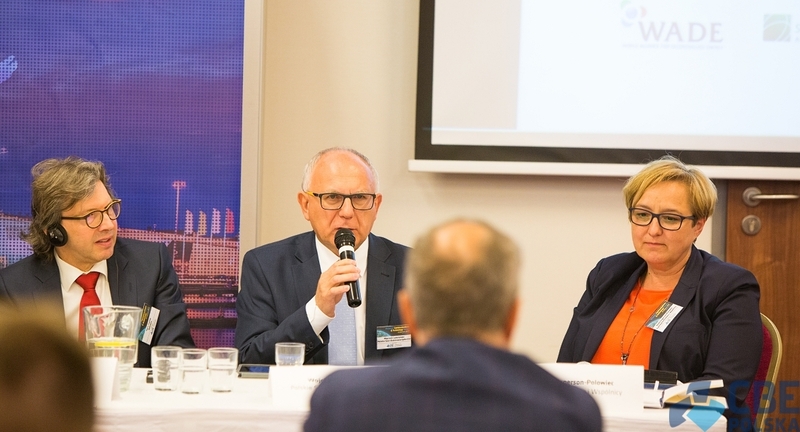 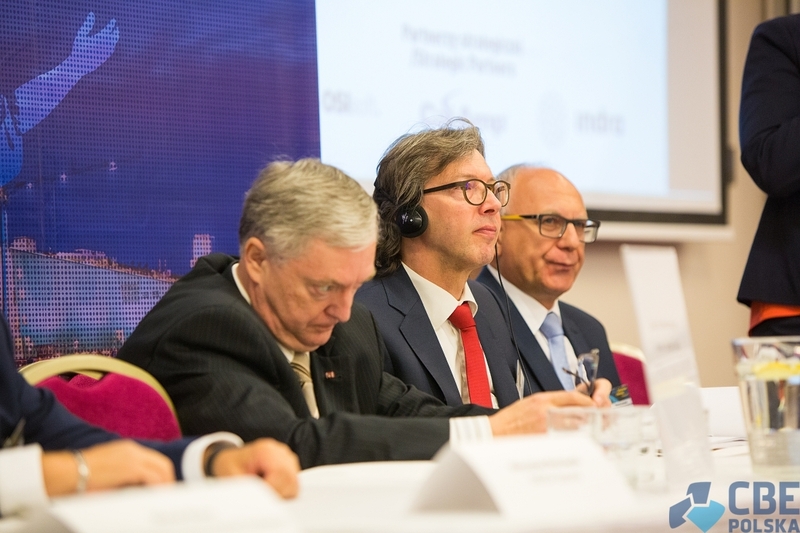 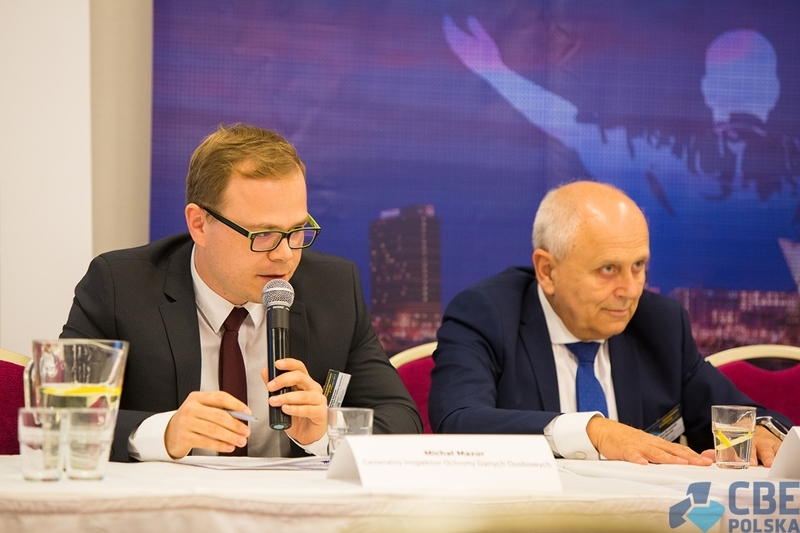 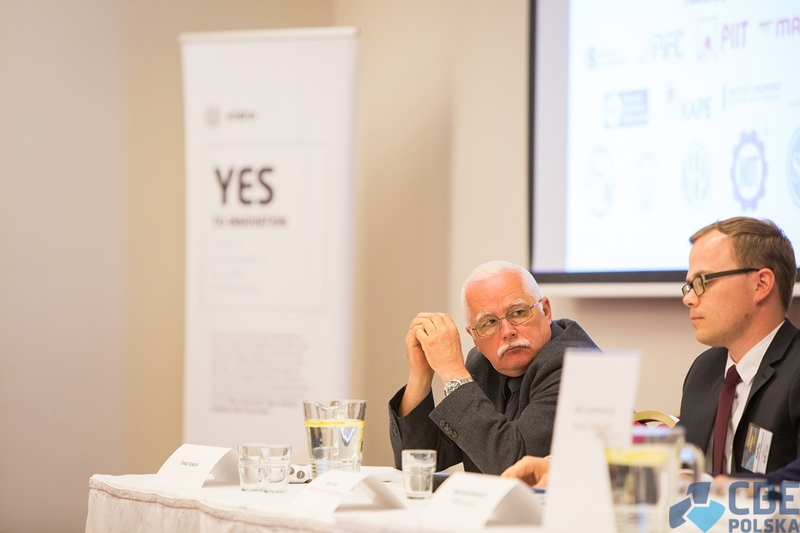 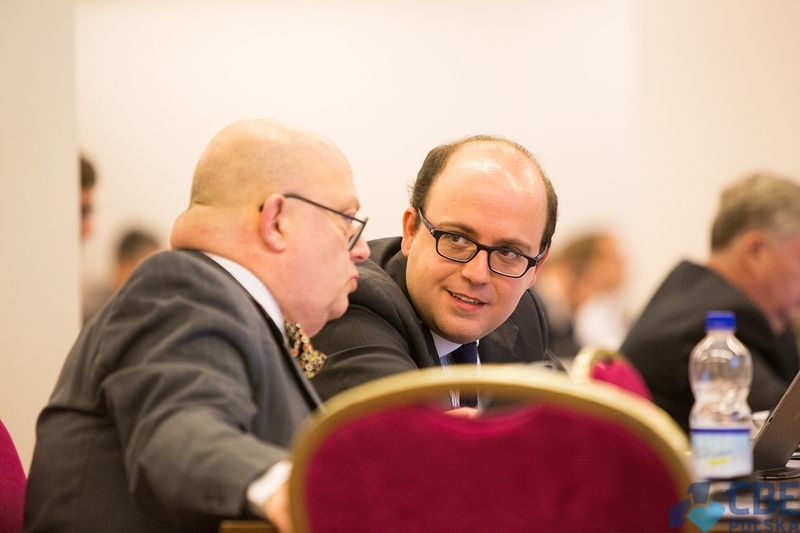 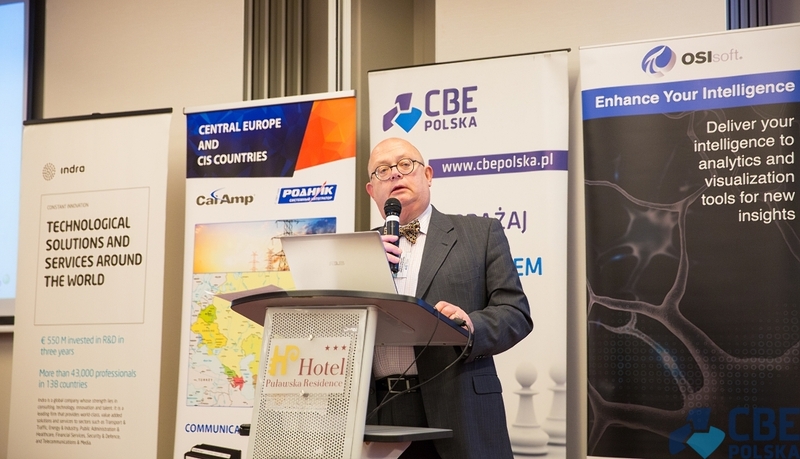 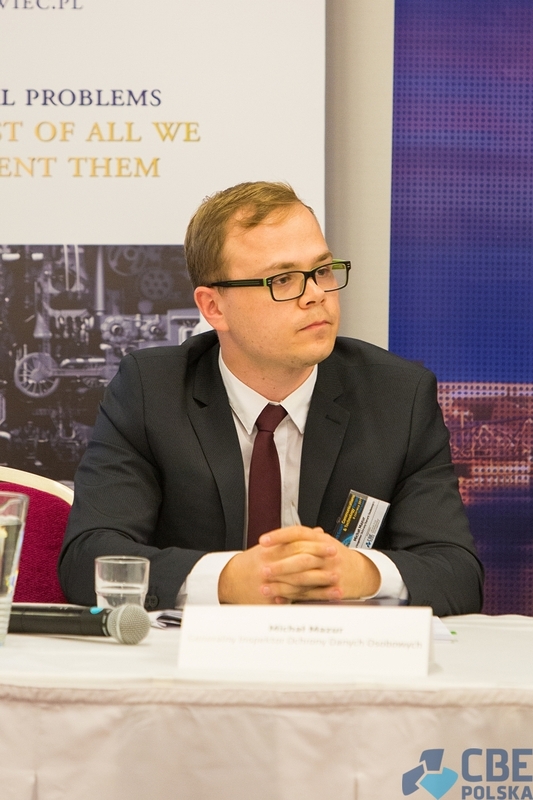 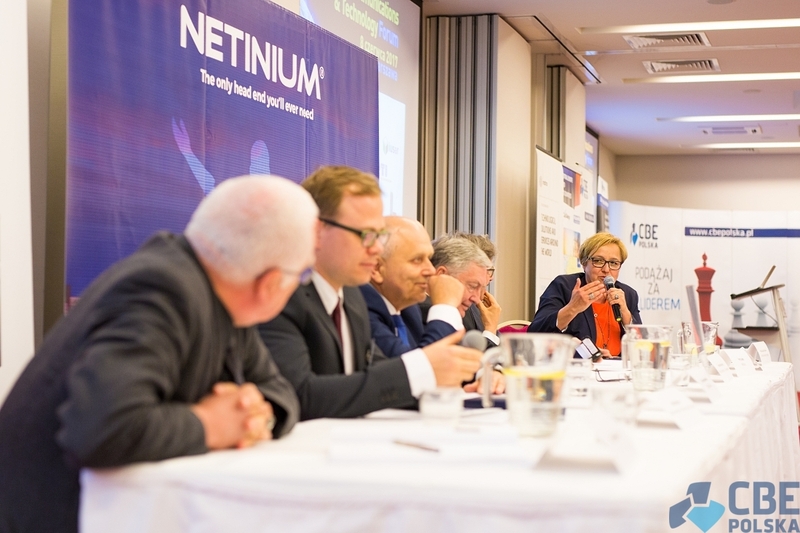 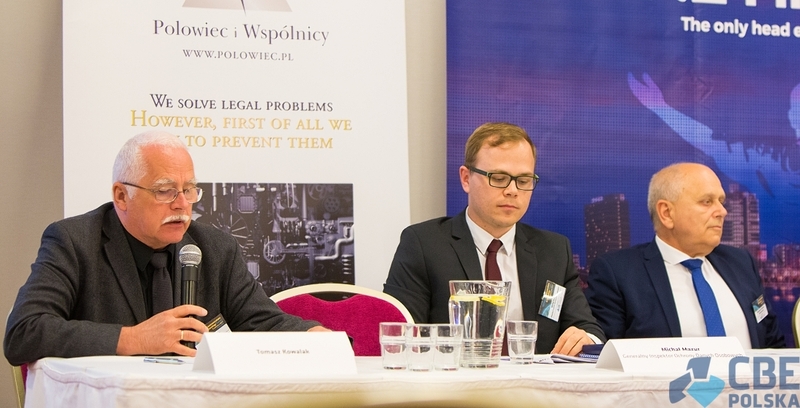 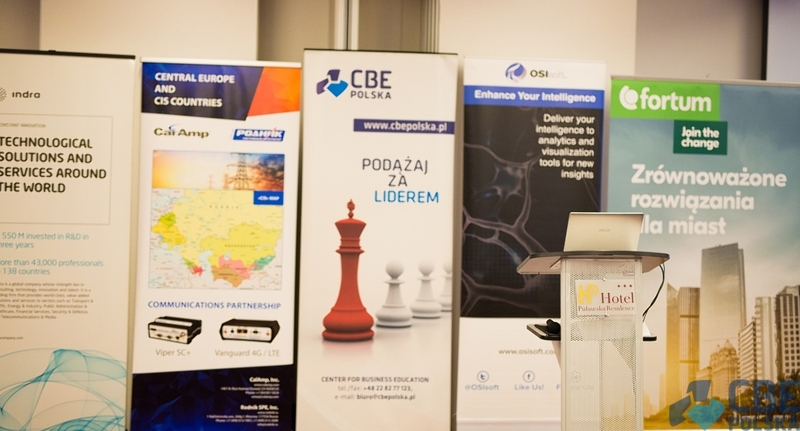 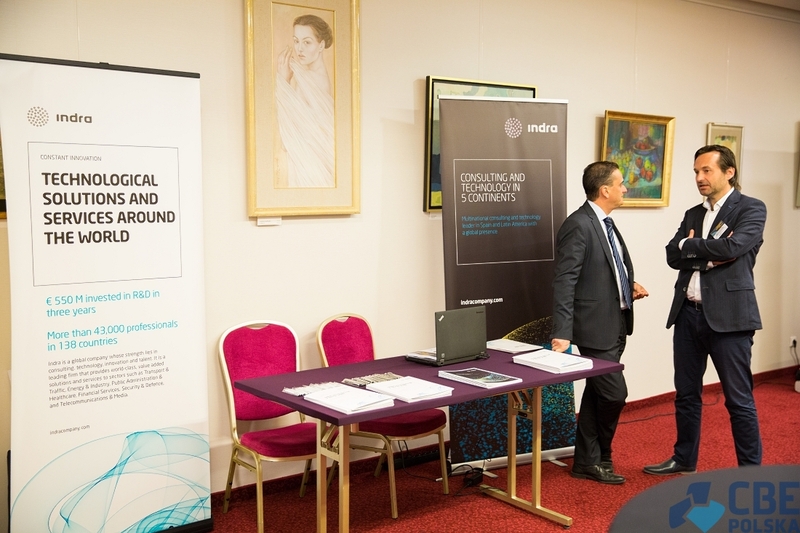 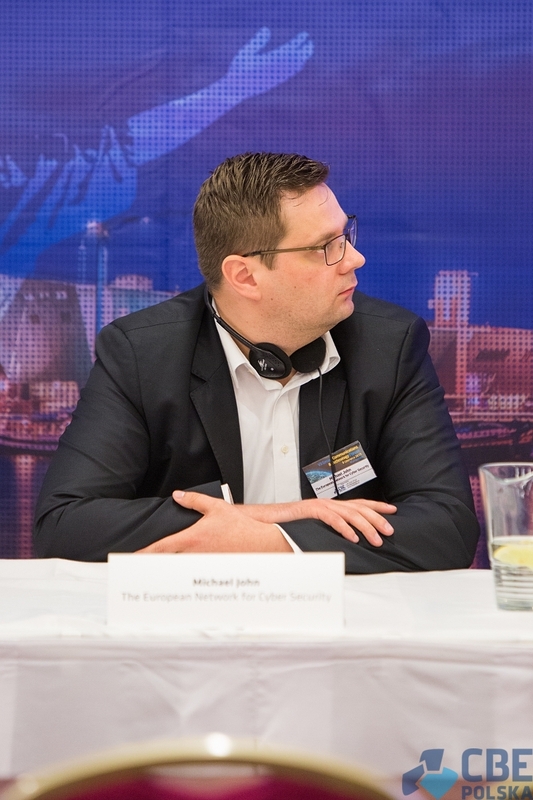 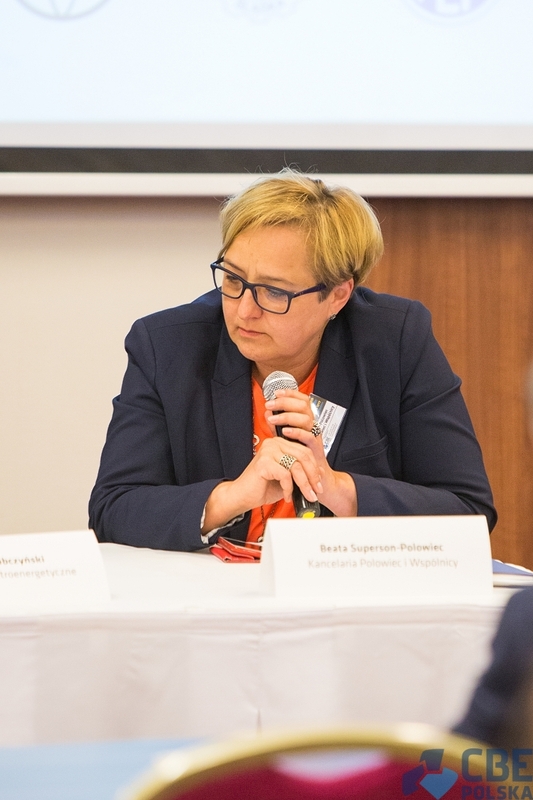 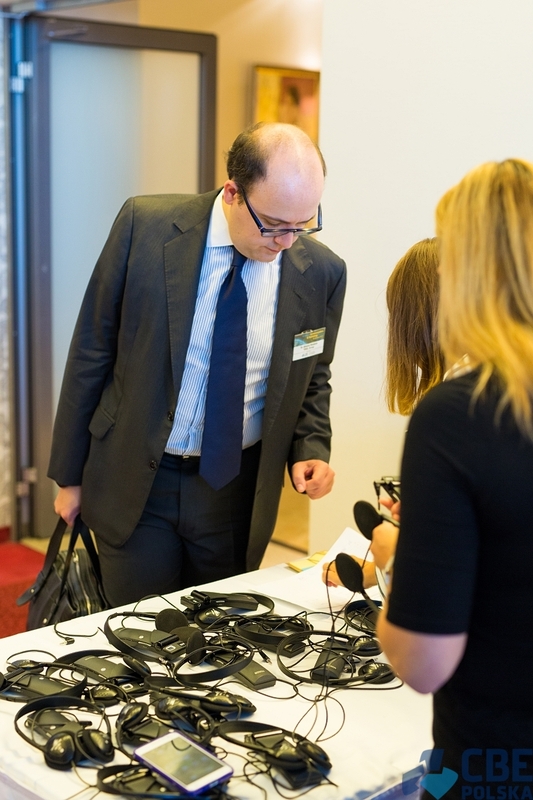 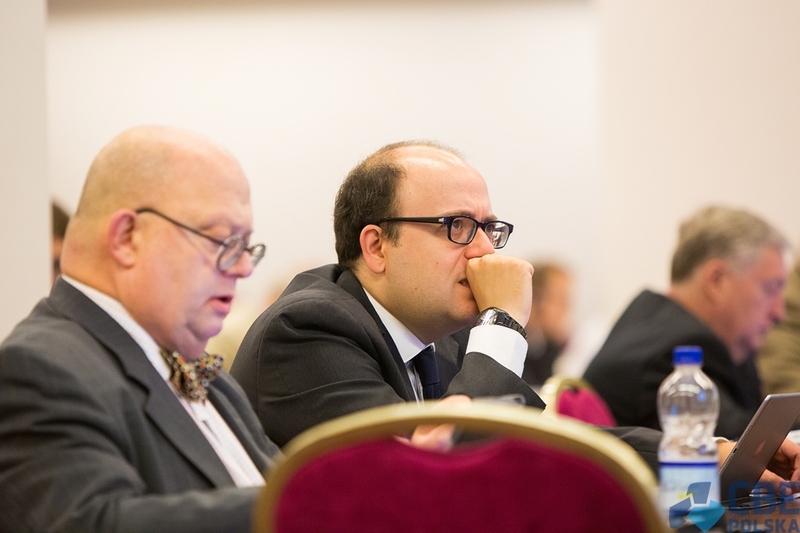 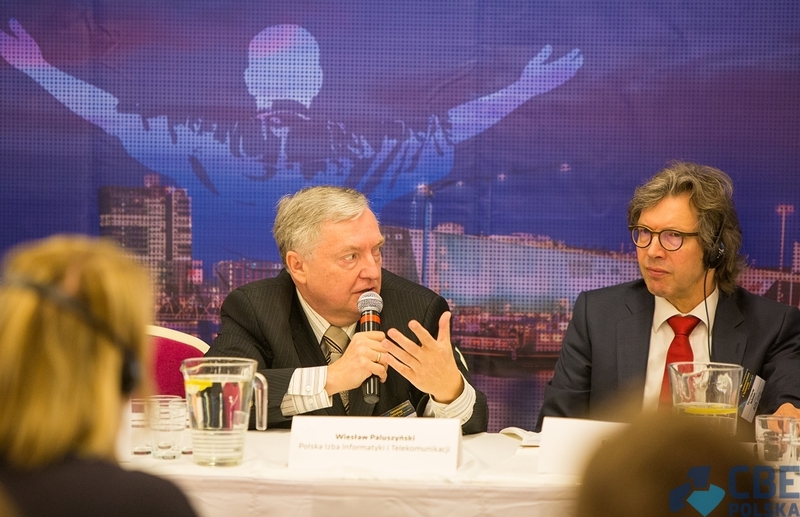 Poland has a considerable potential for this type of investments, but the legal ramifications regulating energy infrastructure have not yet lifted some barriers for the installation of key smart grid components and especially smart meters – this was one of many conclusions of our Experts during the 7th edition of the Smart Communications and Technology Forum, on June 8th, 2017 in Warsaw. 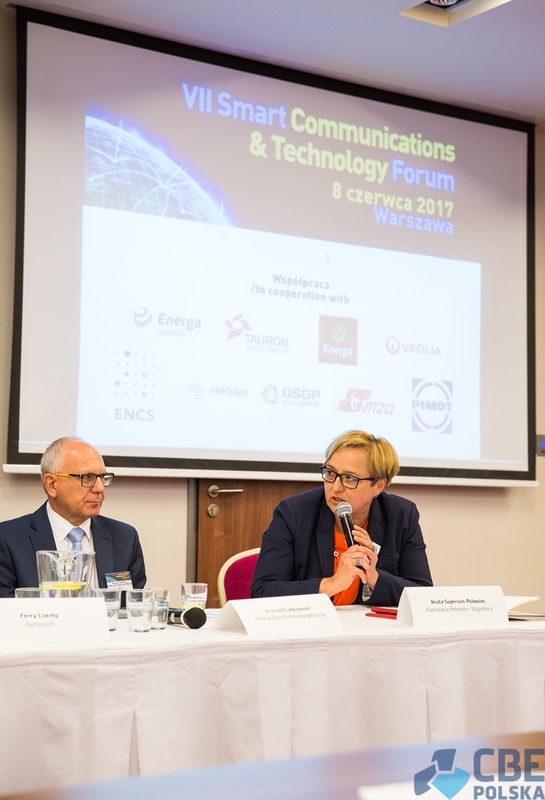 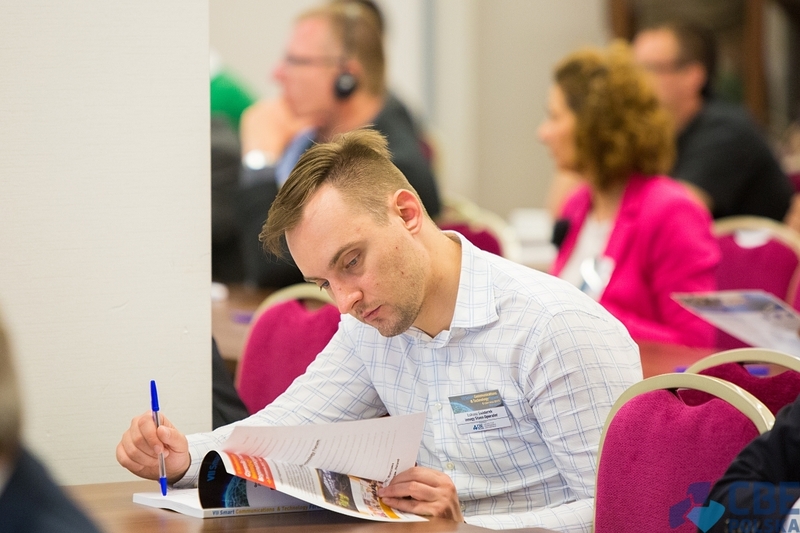 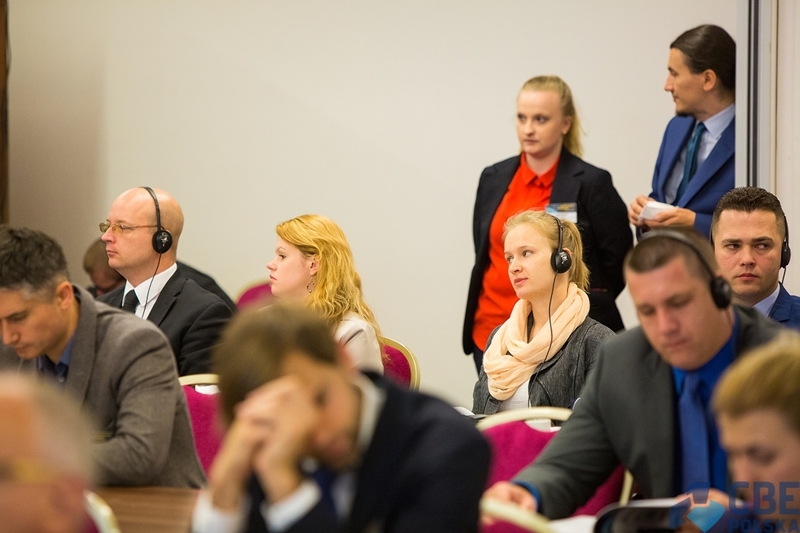 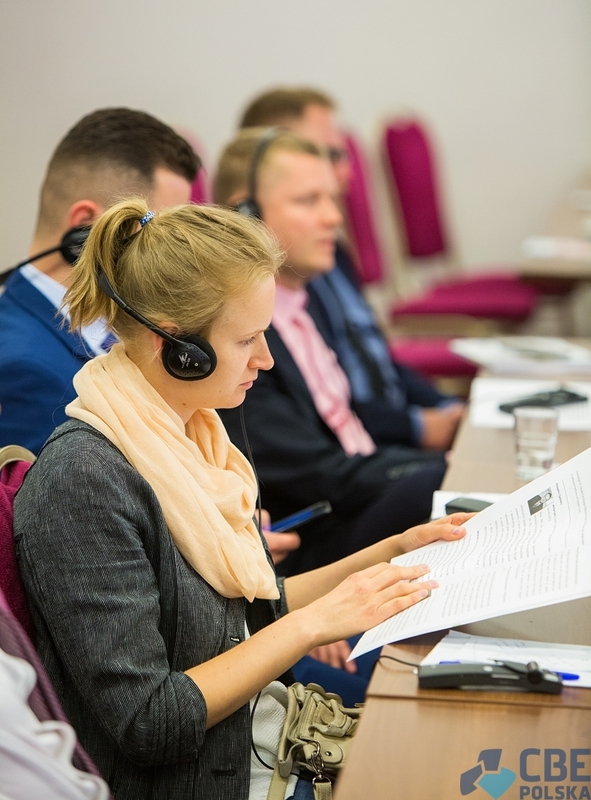 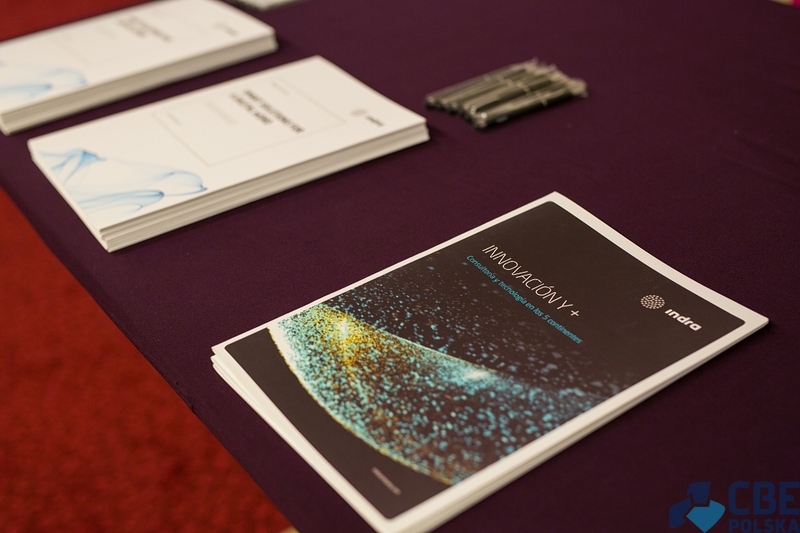 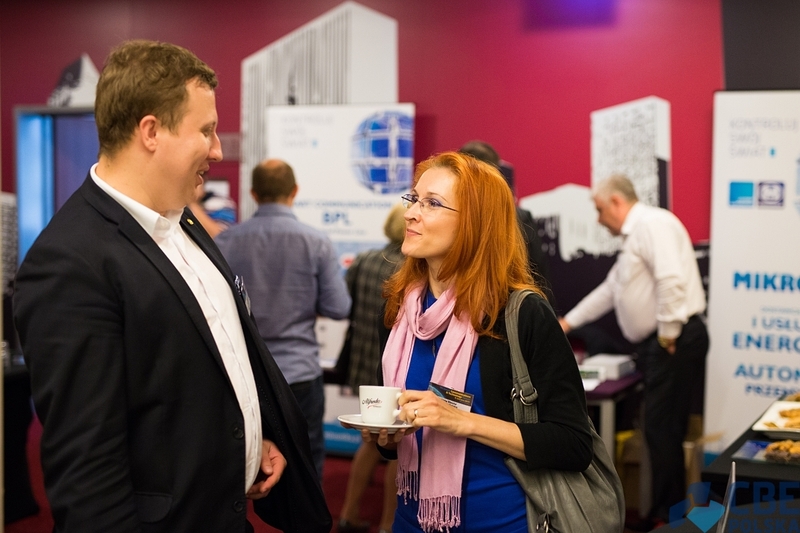 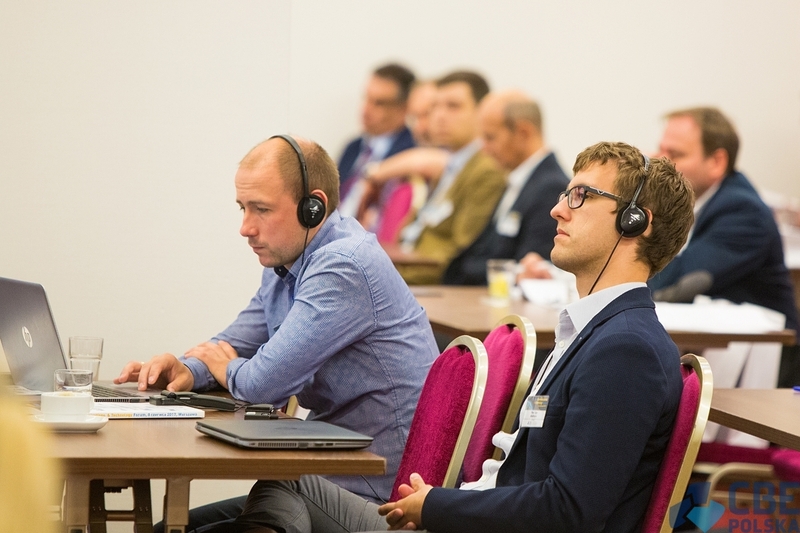 Smart and Communication and Technology Forum is an annual event taking place in Poland, dedicated to the subject of Smart Grids and Smart Metering. 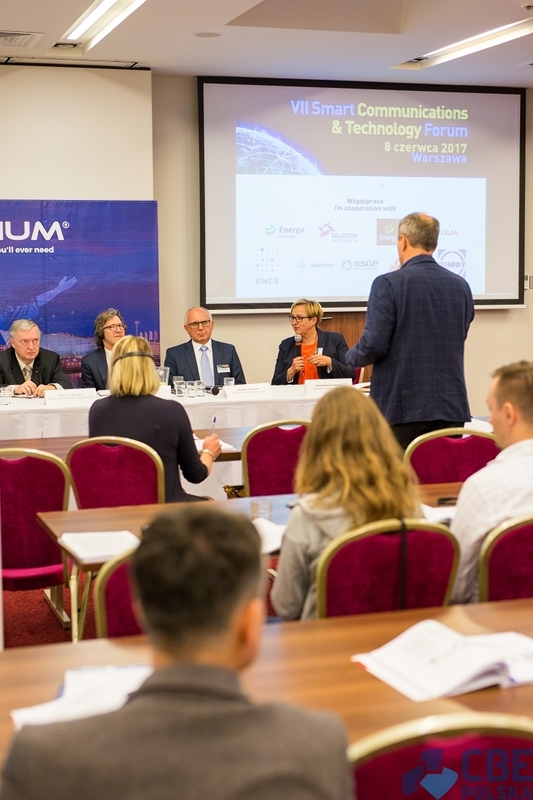 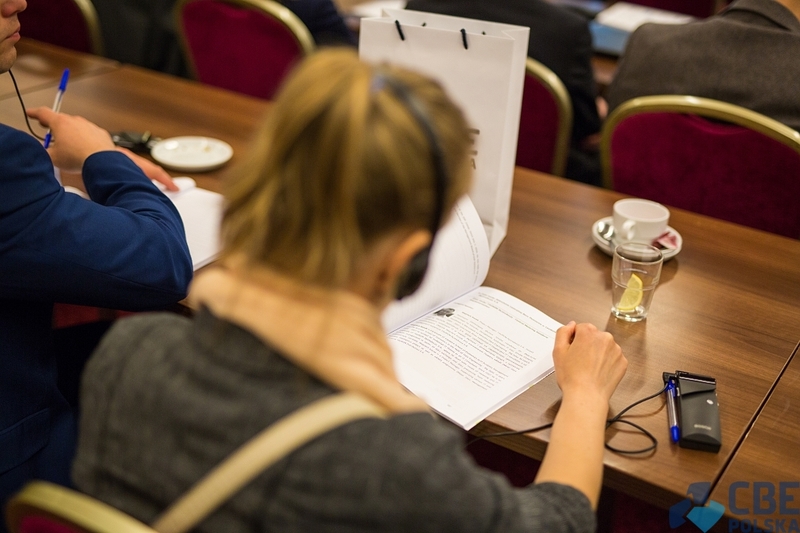 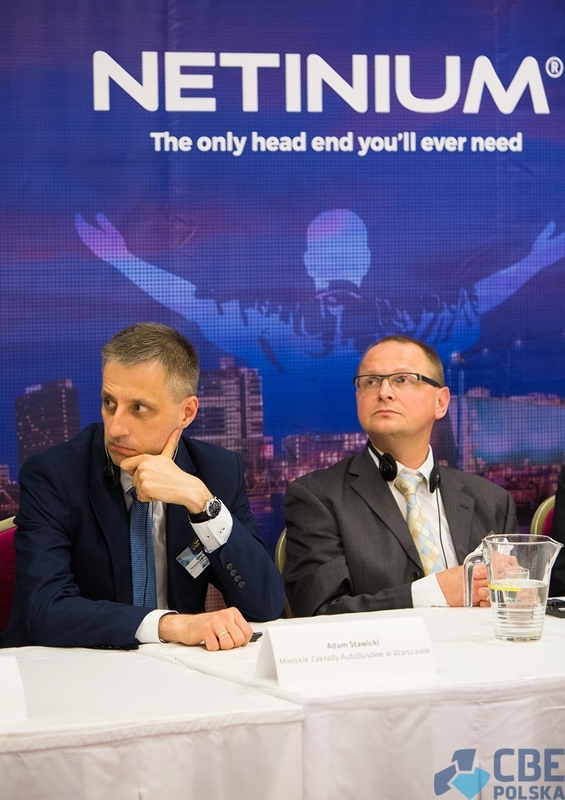 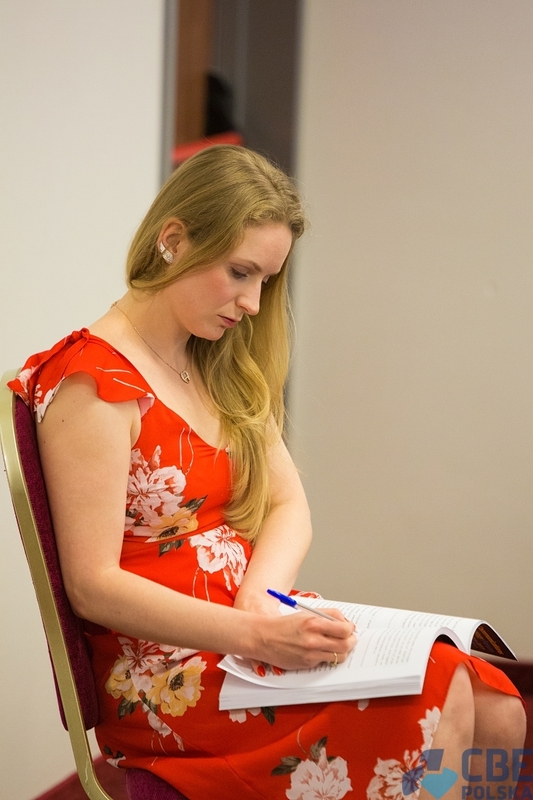 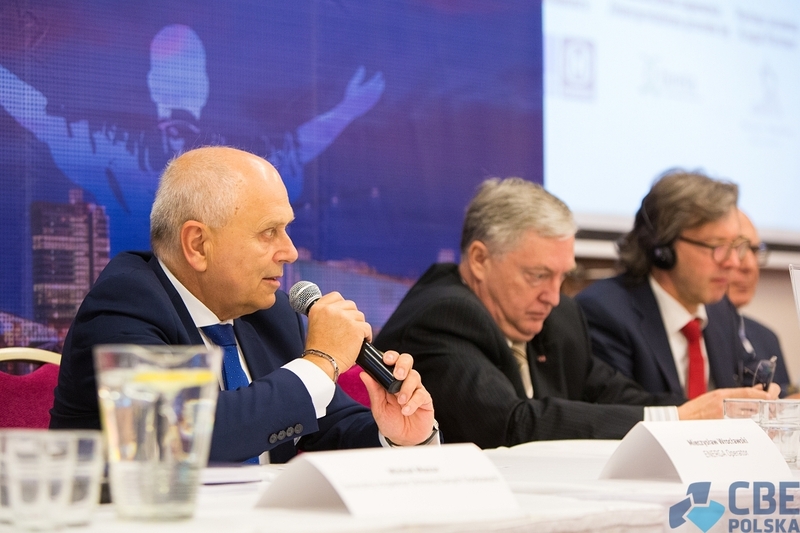 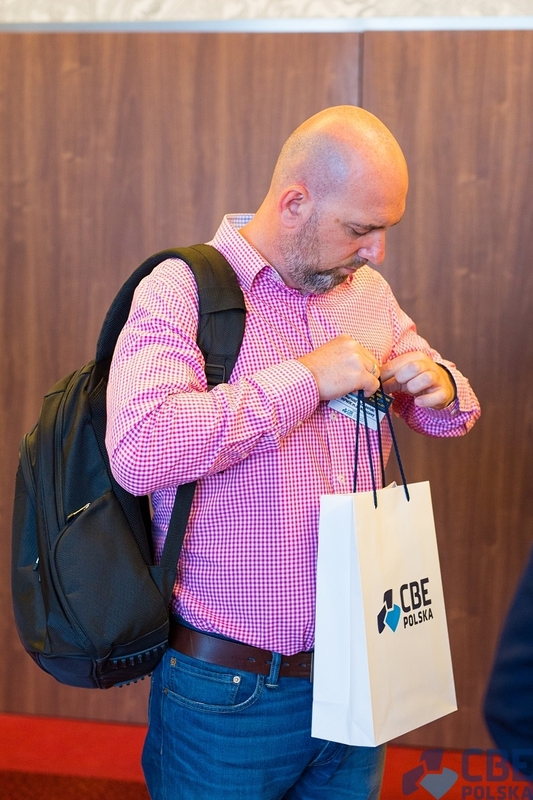 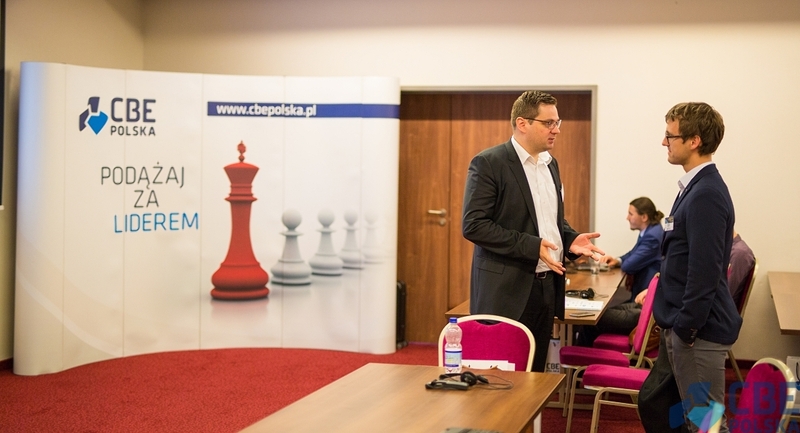 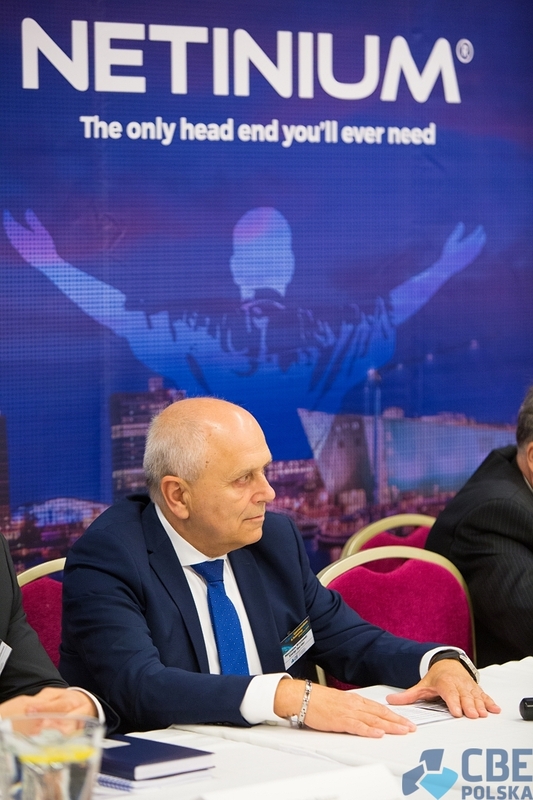 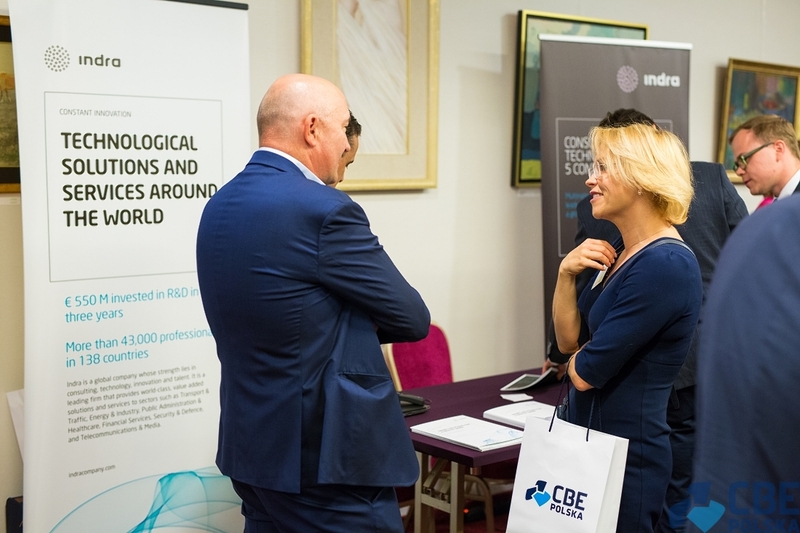 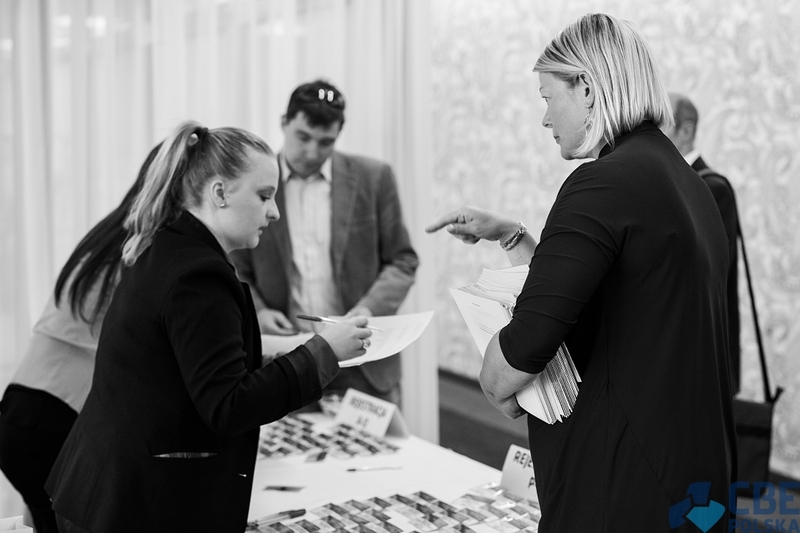 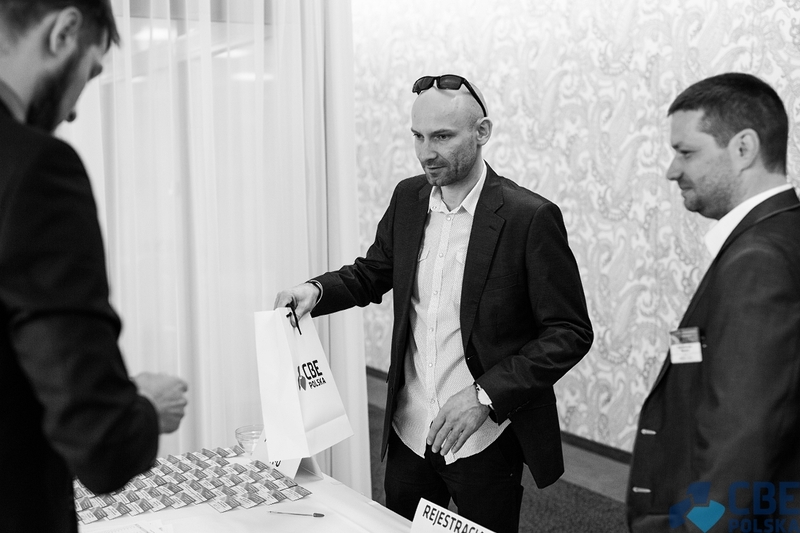 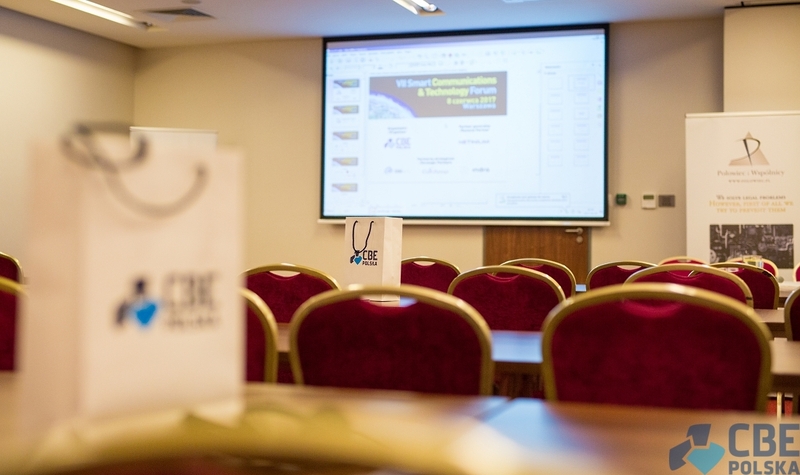 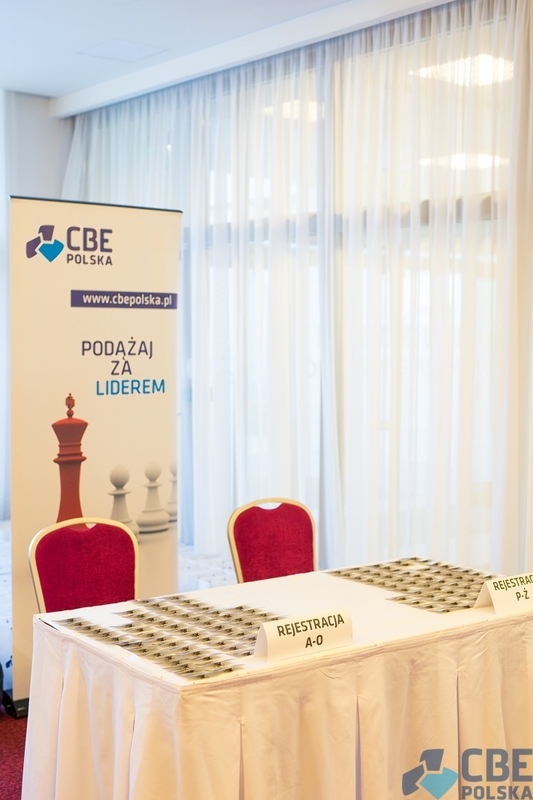 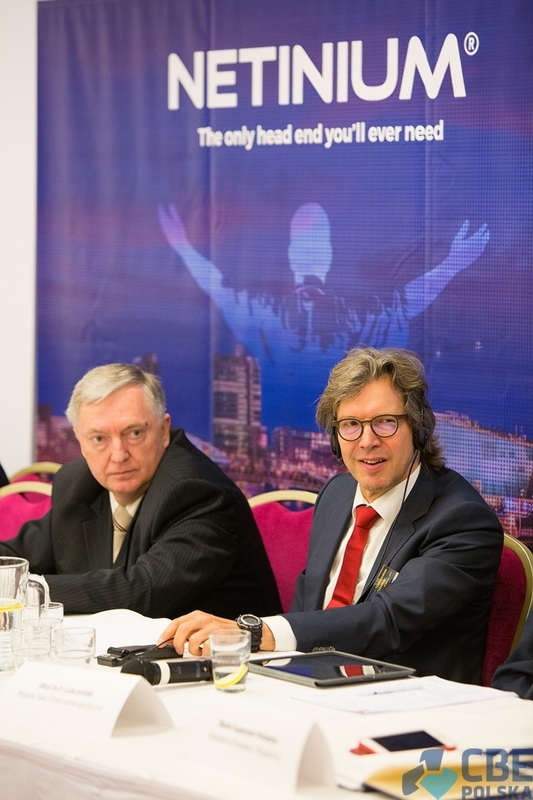 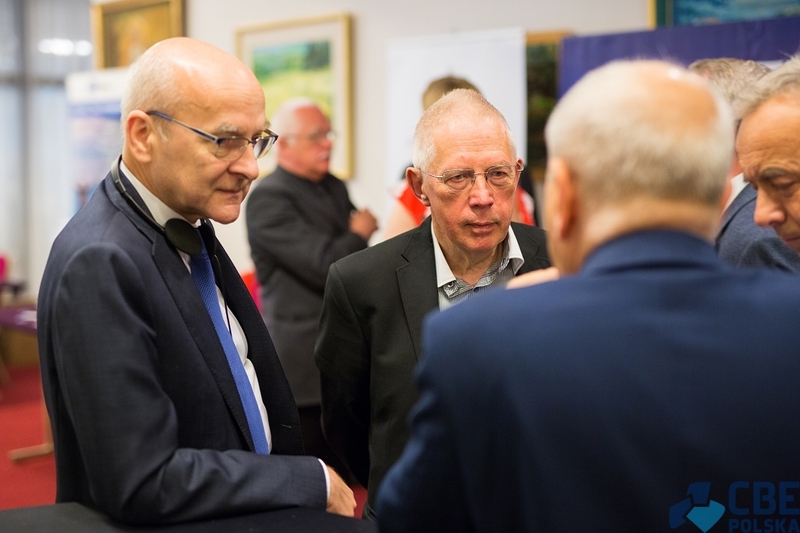 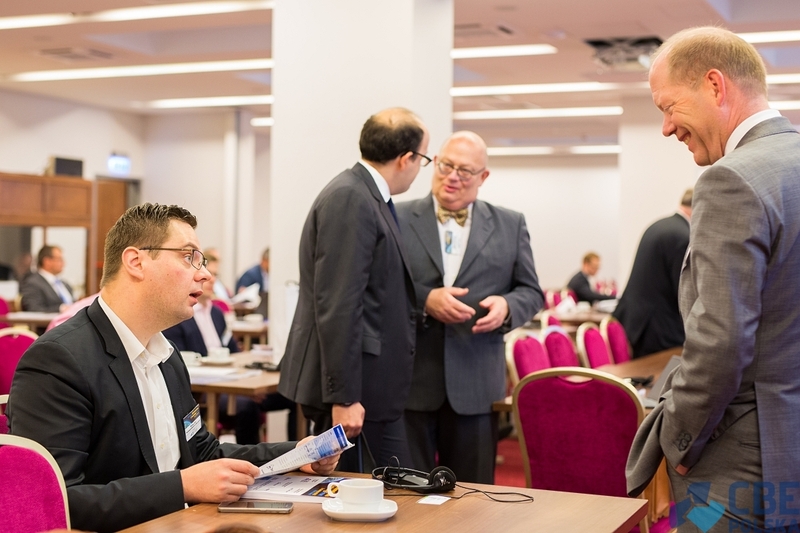 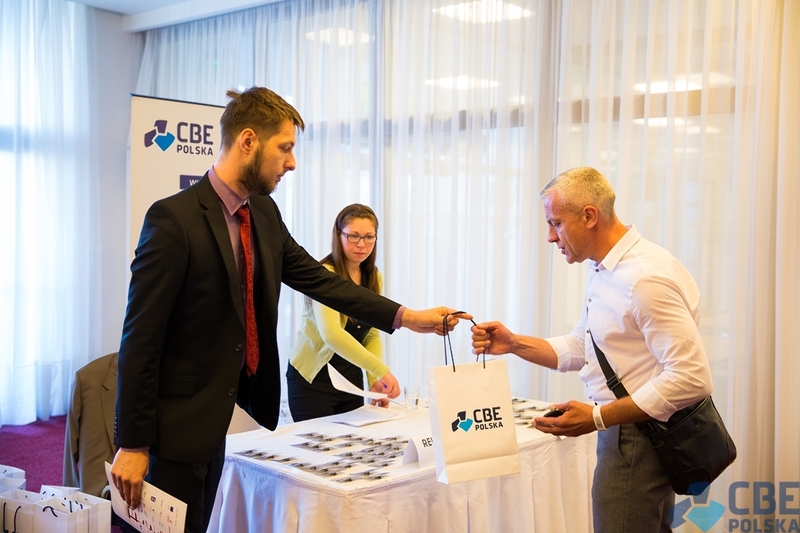 It has gradually evolved from a mostly local conference focused on the domestic market in Poland to an international event, possibly one of the biggest in the region. 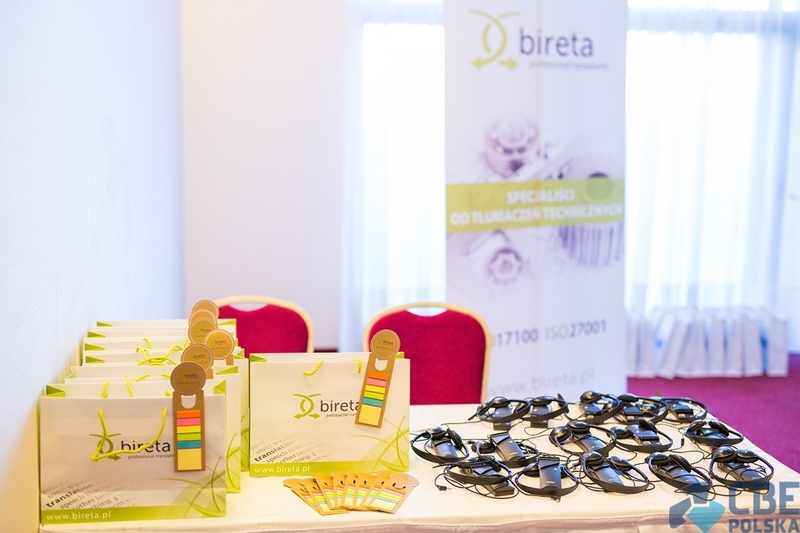 It is certainly one of the reasons that makes participation worthwhile. 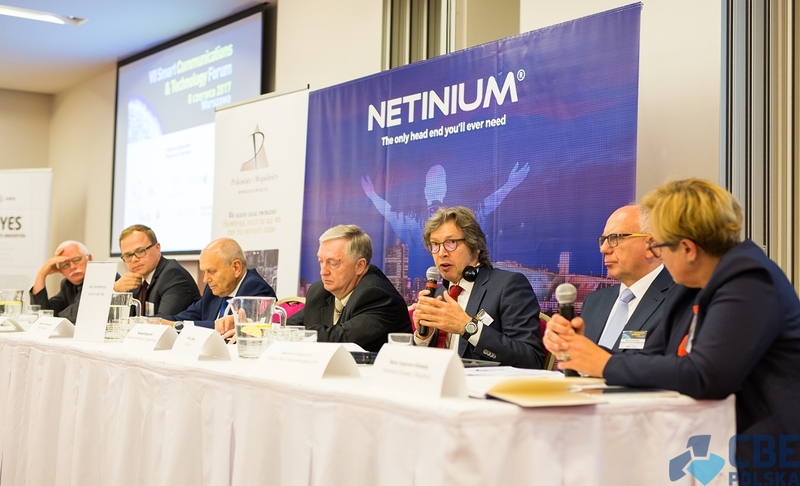 The main goal of the Forum is to invite international experts on Smart Grid and Smart Metering technology and then encourage them to exchange and share their knowledge and experience. 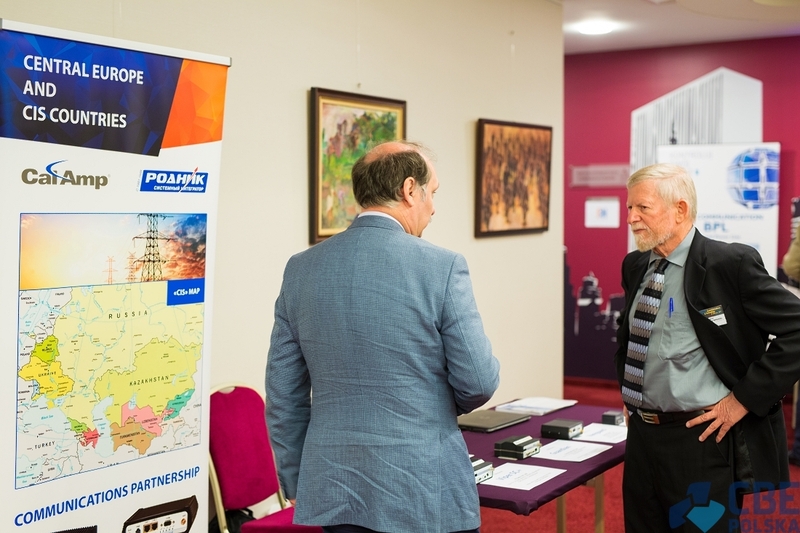 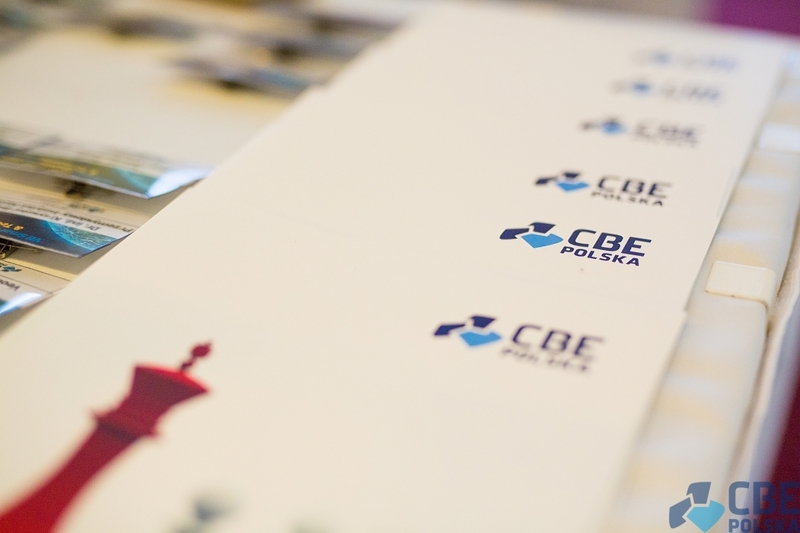 Each year we are honoured to host an event with all the mayor representatives of the market including experts on energy and natural gas markets, representatives of the public sector and administration, scientists, engineers, technology developers, financial institutions as well as government officials. 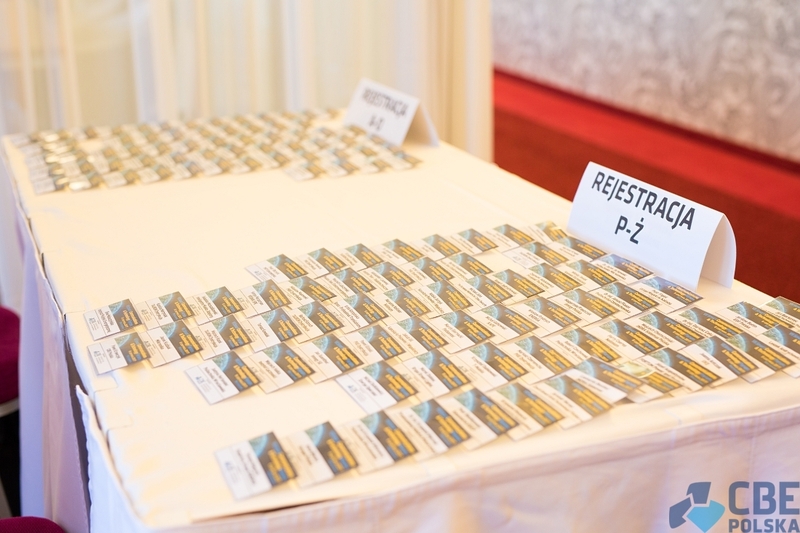 We have had over 1000 participants so far. 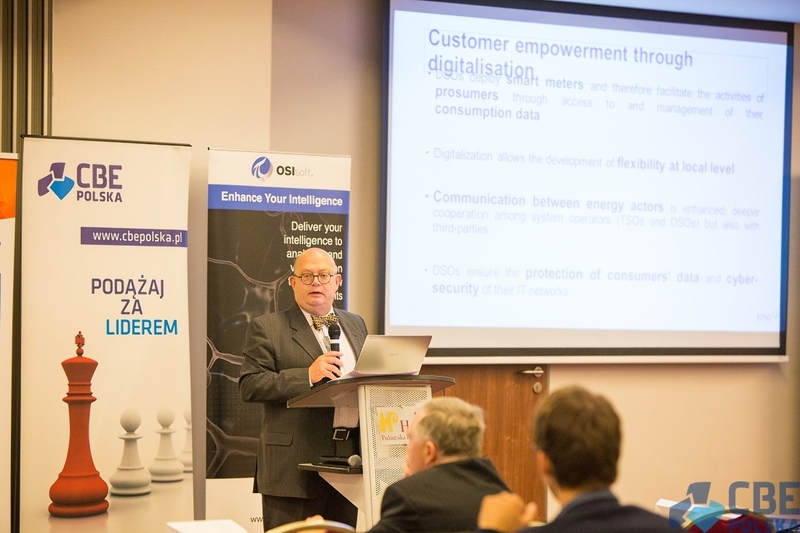 EDSO - Customers empowerment through digitization. 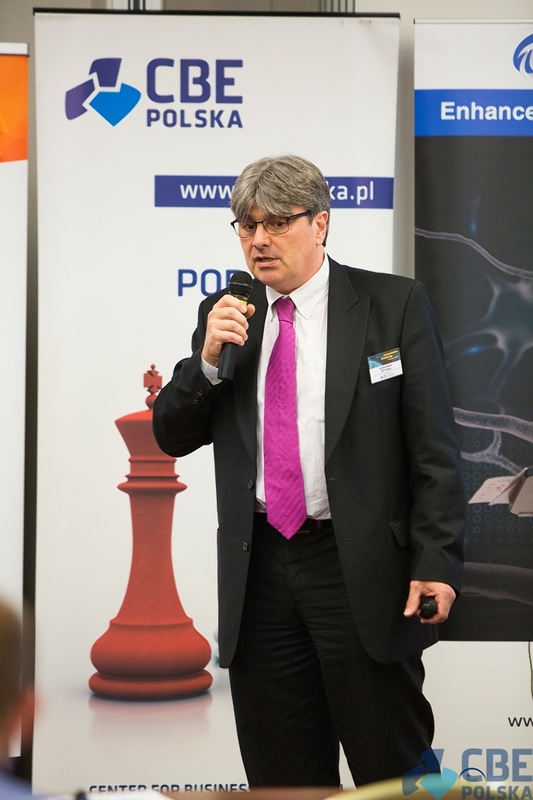 Our first Speaker was Roberto Zangrandi, Secretary General of EDSO for Smart Grids. 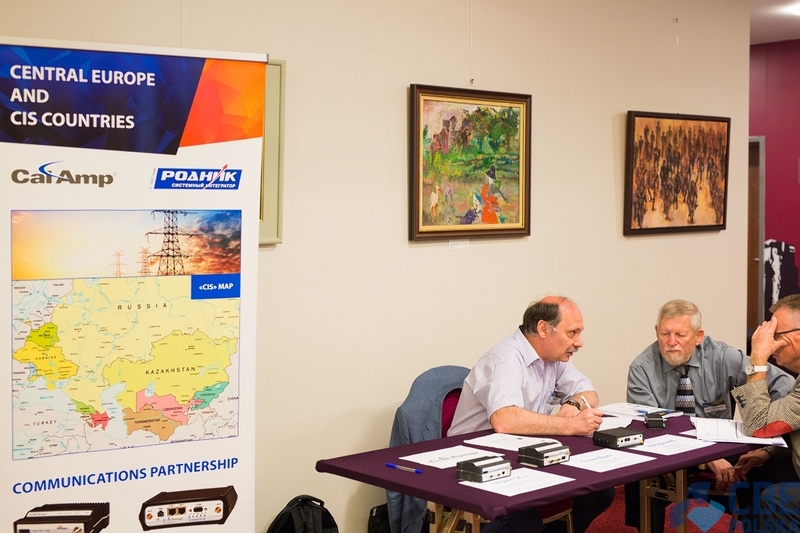 Organization comprised of more than 34 operators on the distribution grids (DSOs) from all over Europe. 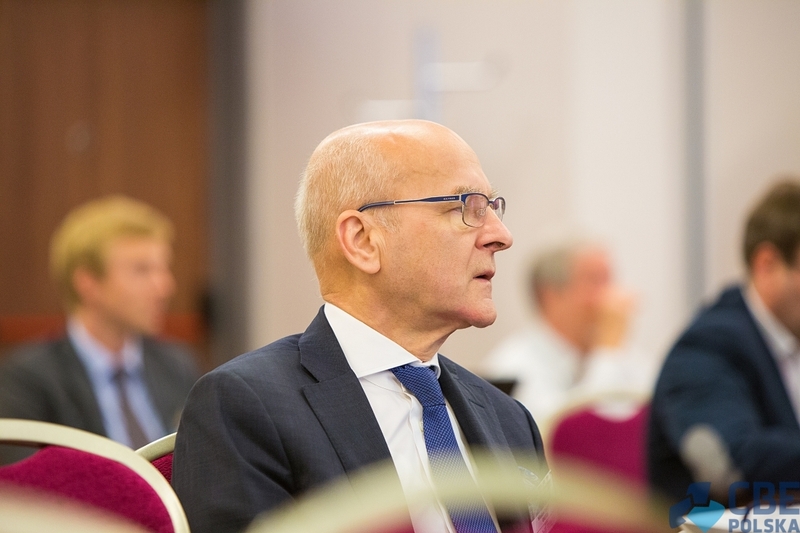 The subject of Mr. Zangrandi's presentation was the ongoing digitalization of the European energy distribution networks and, consequently, the transformation of the role of the consumer / prosumer - no longer as a passive recipient, but as an active participant within the system. 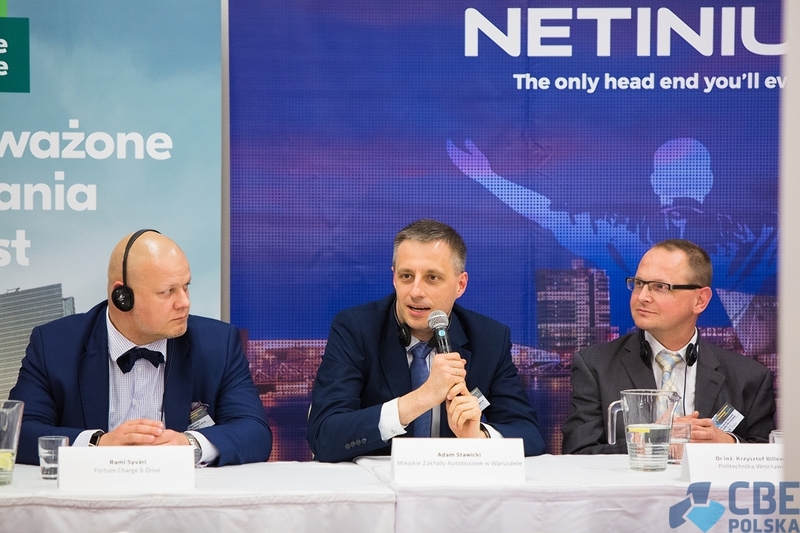 In addition, the process of network digitization allows greater system flexibility at the local level, which is an important advantage for both the operator and the consumer. 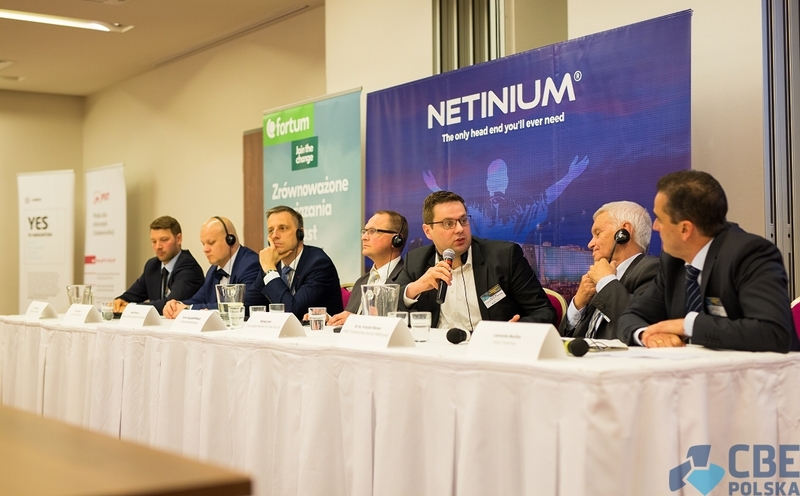 The role of DSO in this process inevitably also includes the protection of consumer data and the cyber-security of the network. 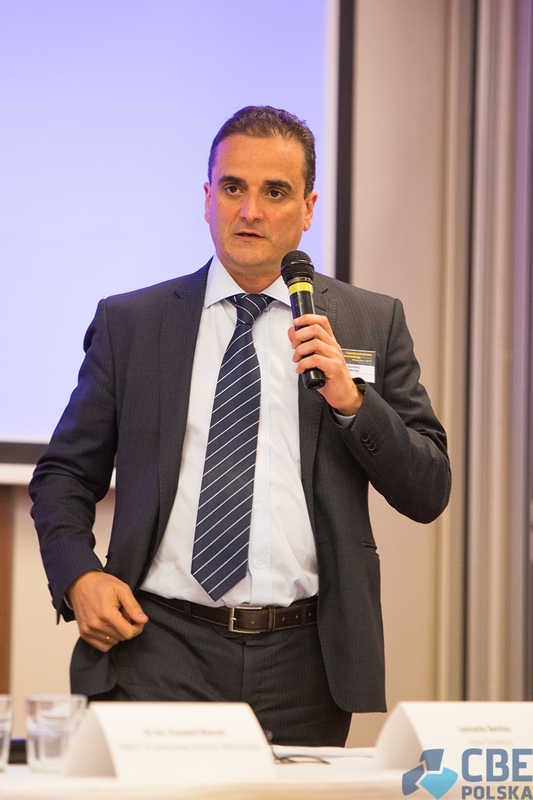 According to Roberto Zangrandi, smart meters, delivering the real picture of the system that they control, lead to improvements in network maintenance and optimization. 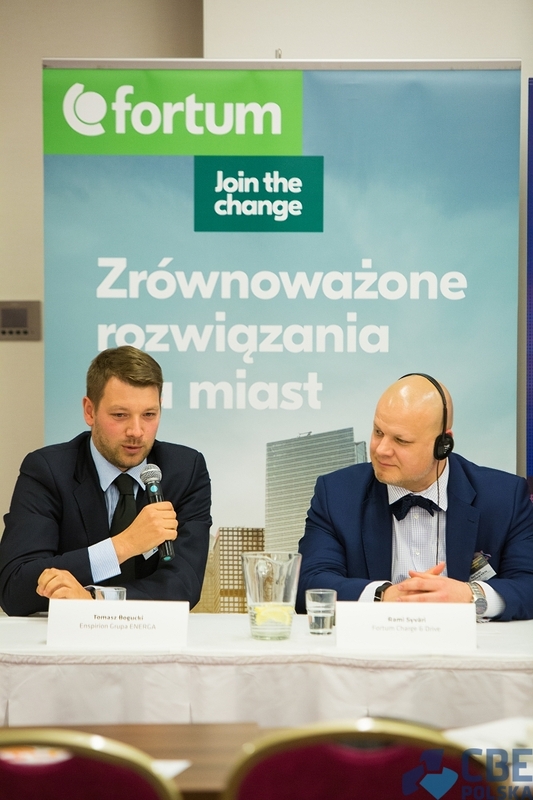 The consumer not only receives accurate data on energy demand, which in turn leads to a reduction in energy consumption, but smart meters also make it easier to use additional services like efficient charging of a private electric vehicle, the integration of renewable energy installations, the management of home energy storage systems. 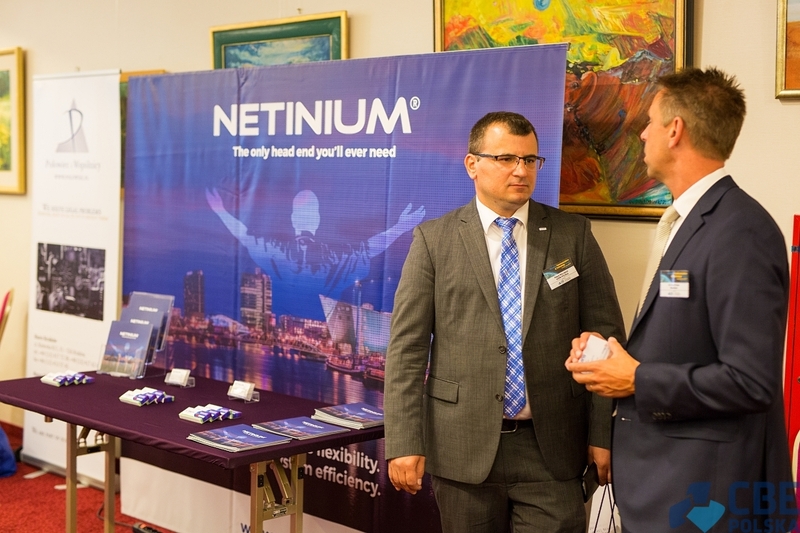 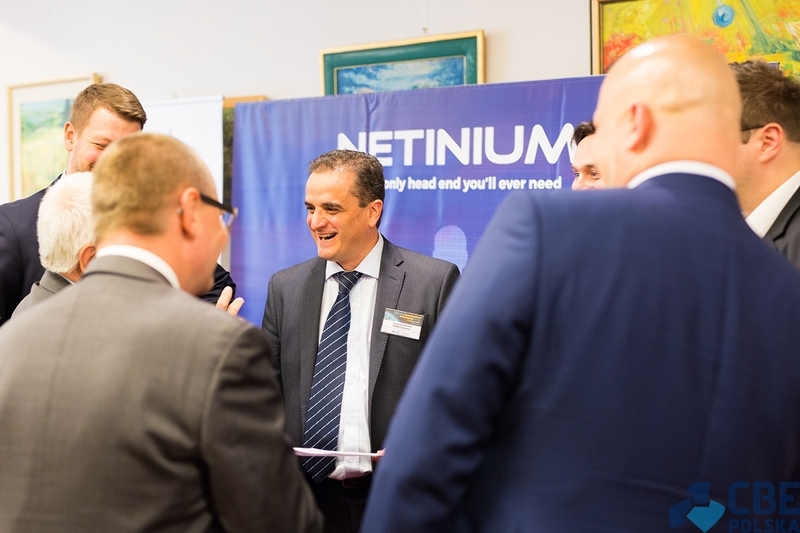 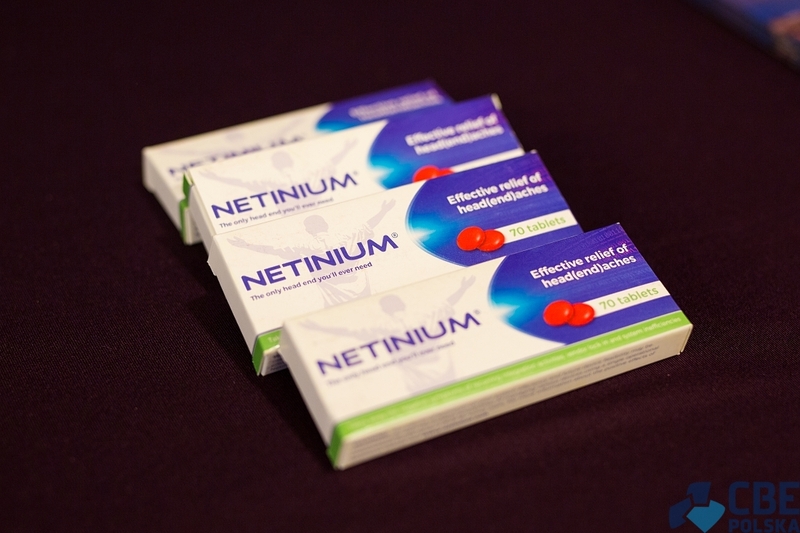 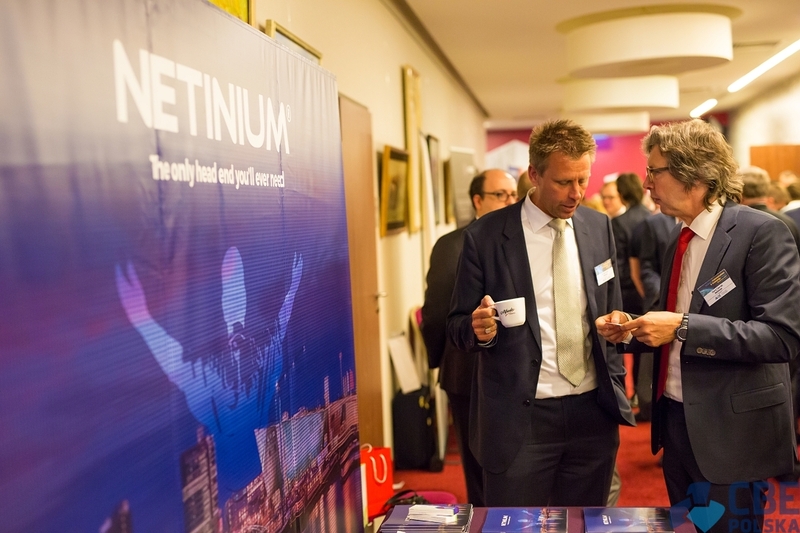 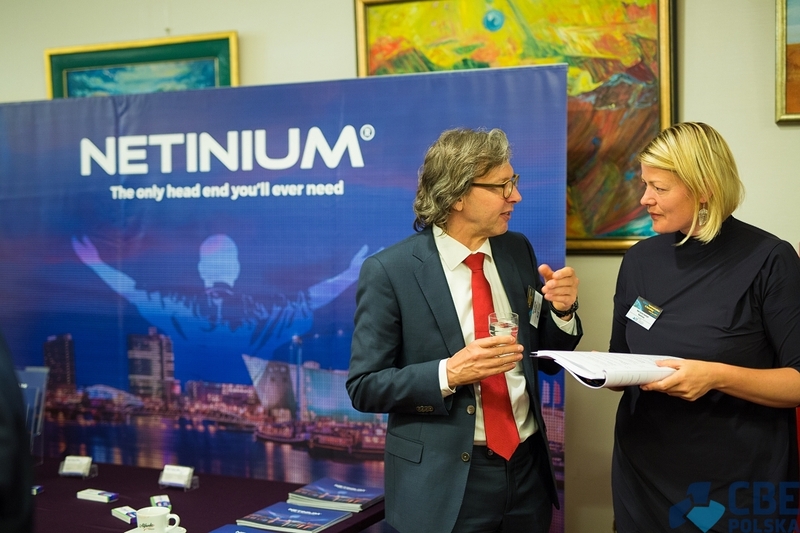 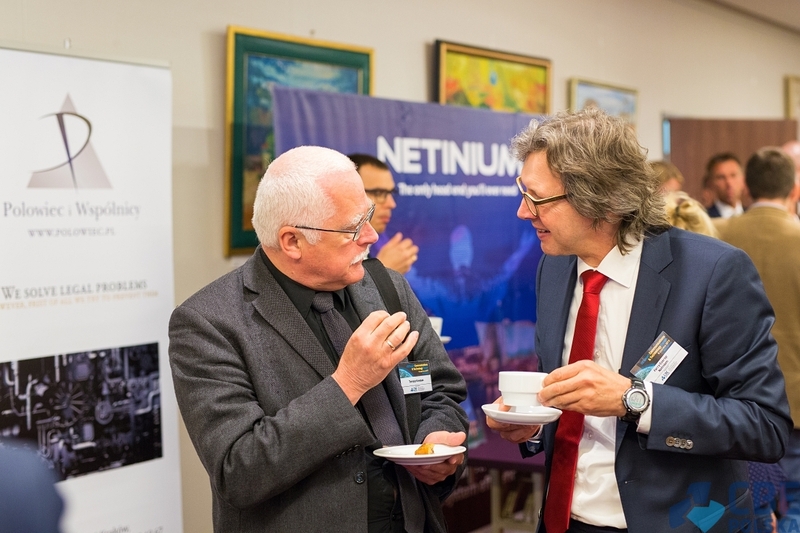 NETINIUM B.V. - How to transform climate change challenges into opportunities? 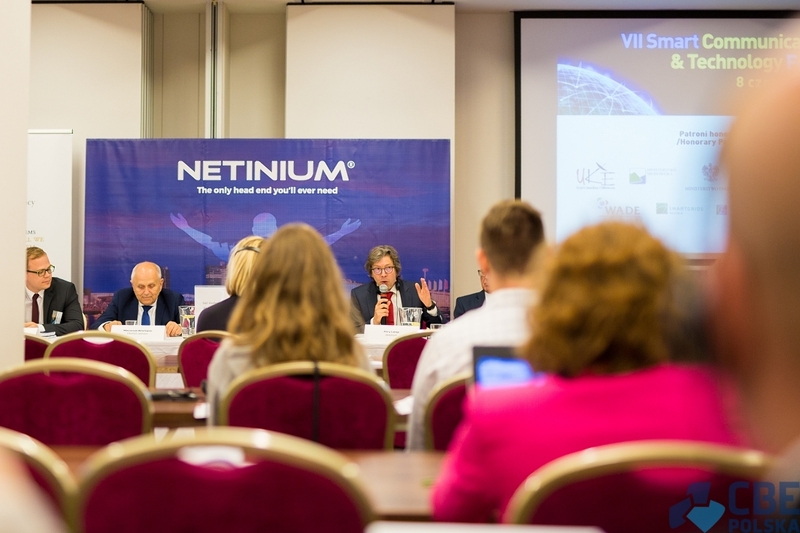 The unstoppable evolution in smart device technology demands a software infrastructure that can manage an increasingly diverse asset base. 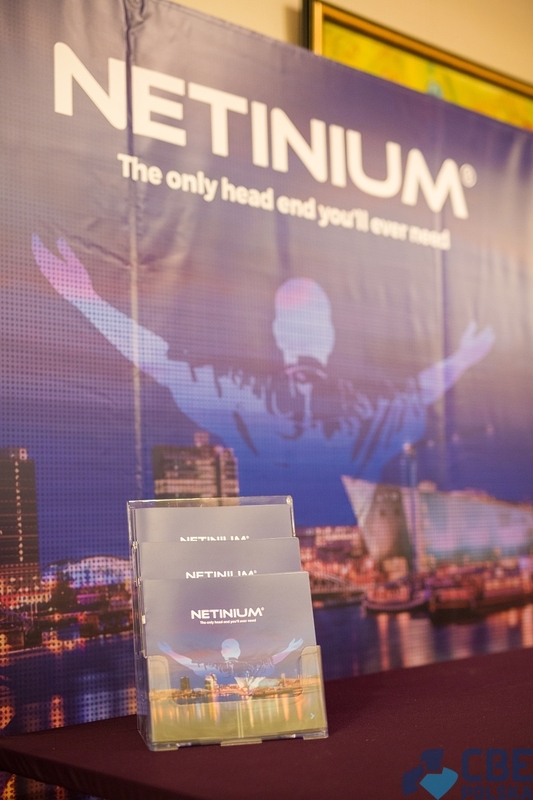 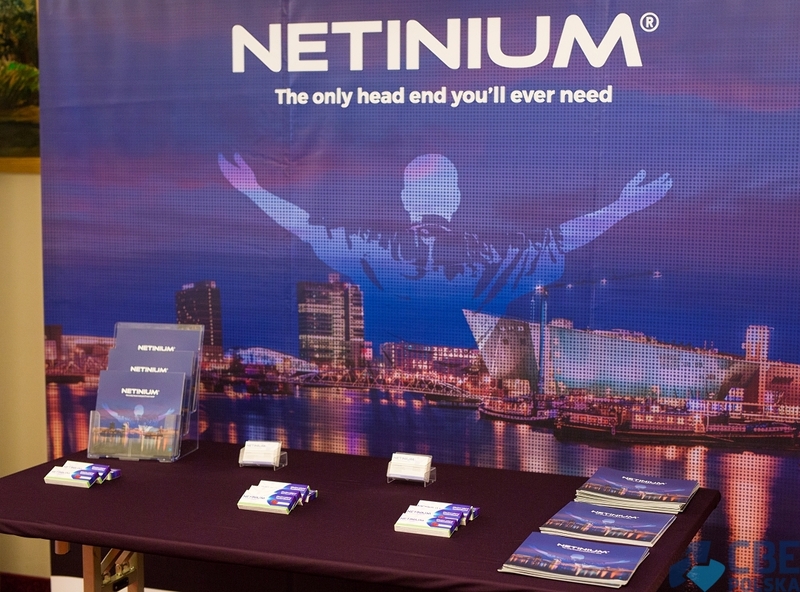 Through their cooperation with Alliander – the largest DSO in the Netherlands – Netinium has created one of the most flexible, interoperable smart devices network. 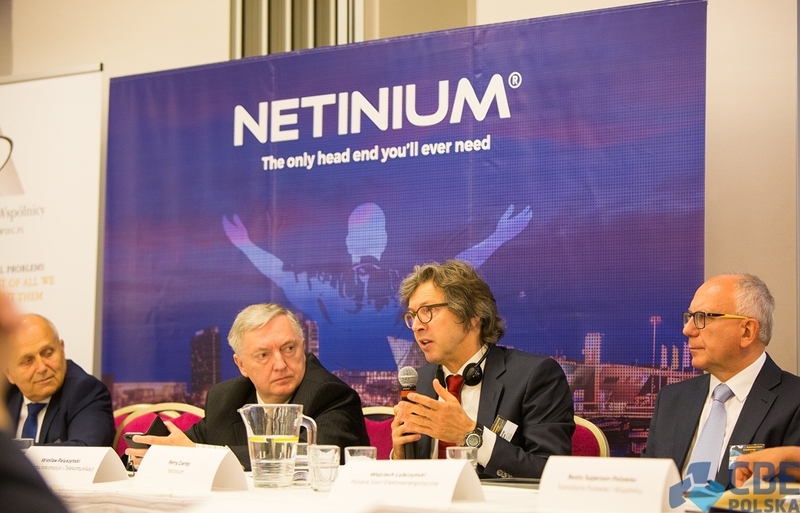 Until today Alliander and Netinium have implemented over 2 million smart meters in 6 out of 12 regions in the Netherlands. 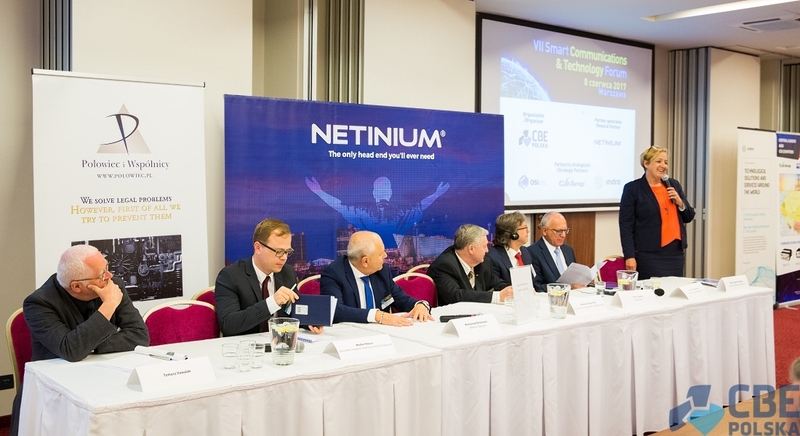 They are planning to install 6 million more by 2020. 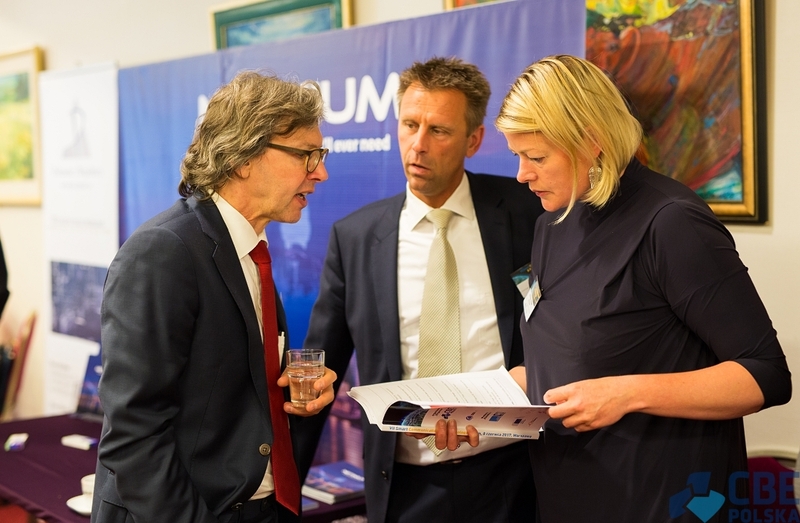 Currently, in the Netherlands, all trains are powered by wind power, and in 8 years all buses will be converted from diesel engines to electric motors. 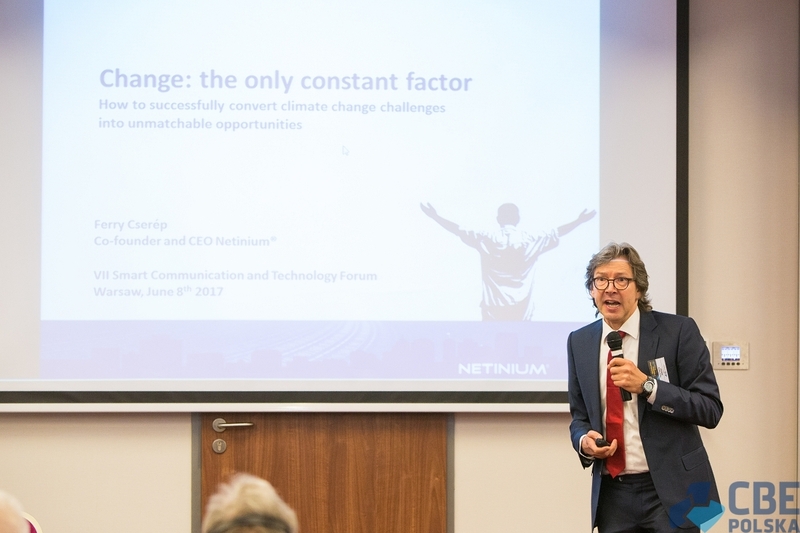 The challenge for the Netherlands today is not how to implement this technology, but how to do it on a large nationwide scale, with every house having solar panels on the roofs, all vehicles being electric, and the heat being generated not from the combustion of gas, but by using f.eg. 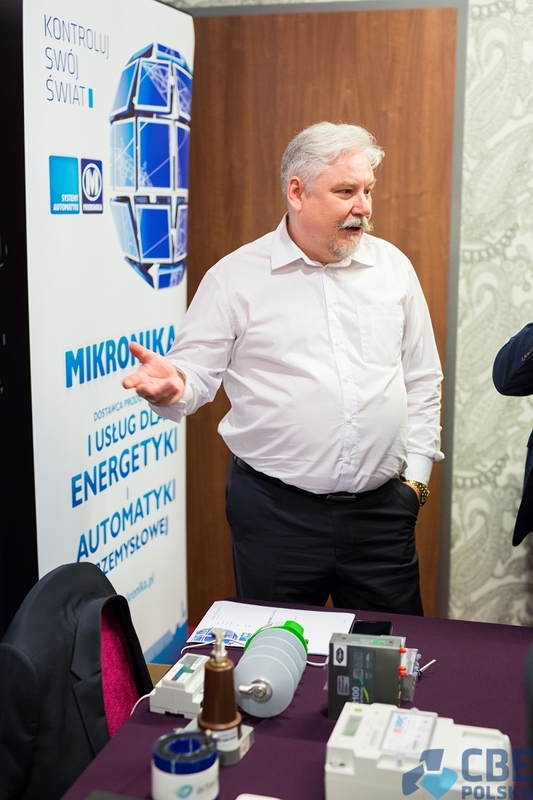 heat pumps. 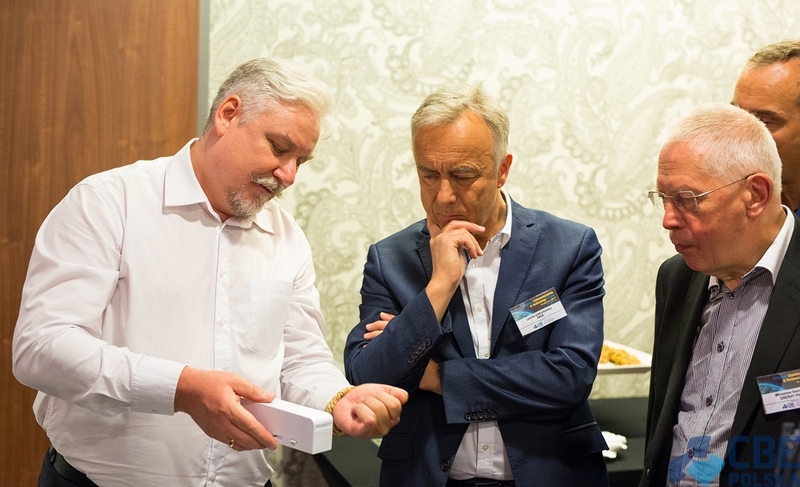 Such a day is coming, and the solution must begin with legal ramifications that could establish framework for this technological revolution, as well as DSO's ability to integrate millions of new devices while maintaining operational efficiency. 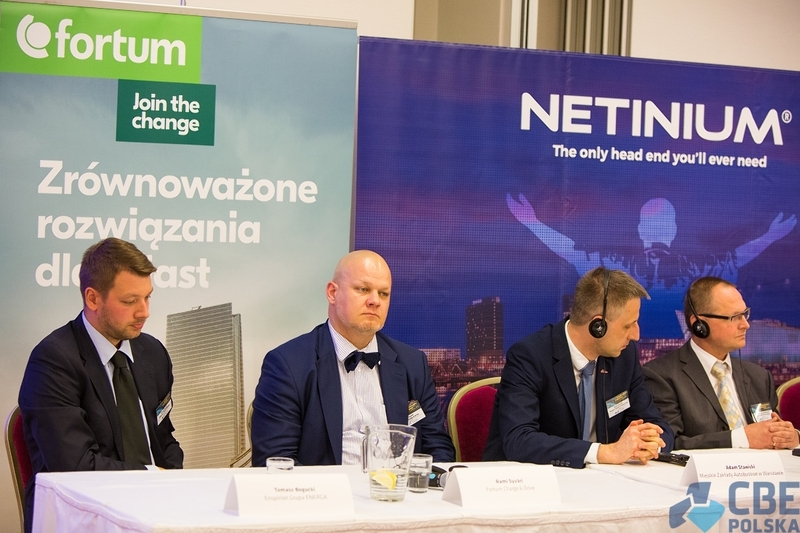 The changes that take place through the reduction of fossil fuels usage and the implementation of "Smart Grid / Smart Metering" solutions can produce great opportunities, but only those who are prepared for them will be able to take advantage of those opportunities fully. 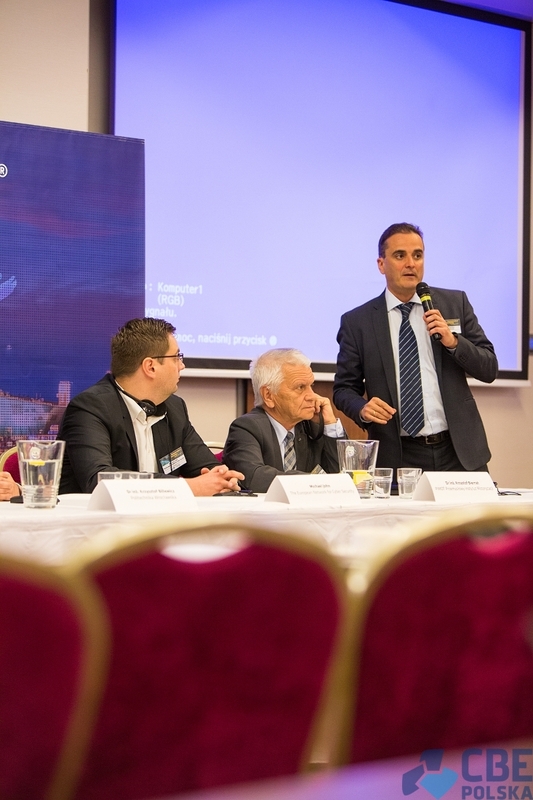 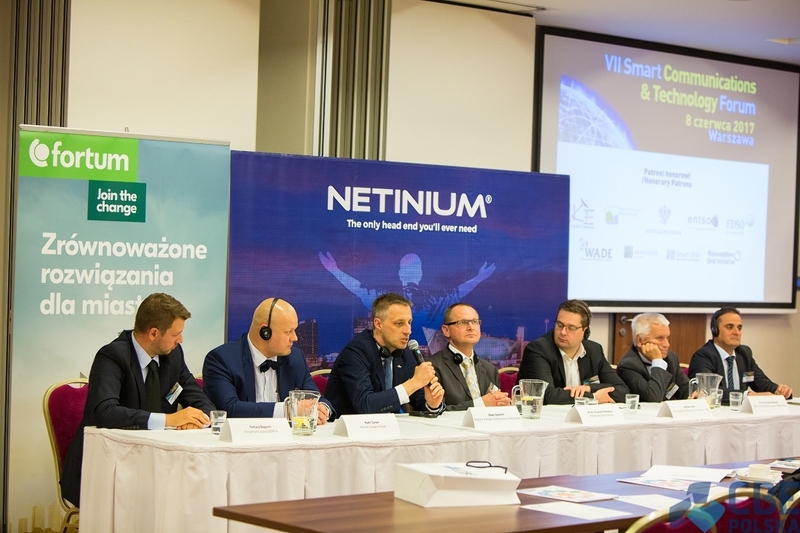 Discussion Panel - The development and implementation of the Smart Grid / Smart Metering in Poland. 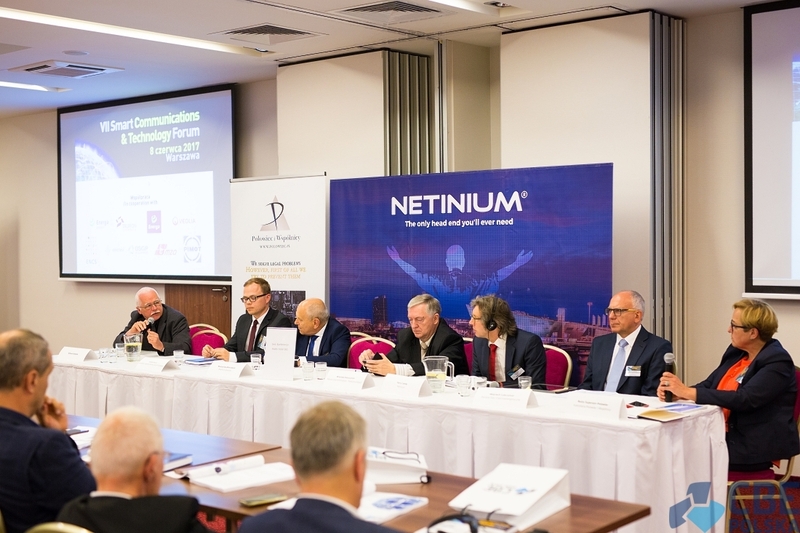 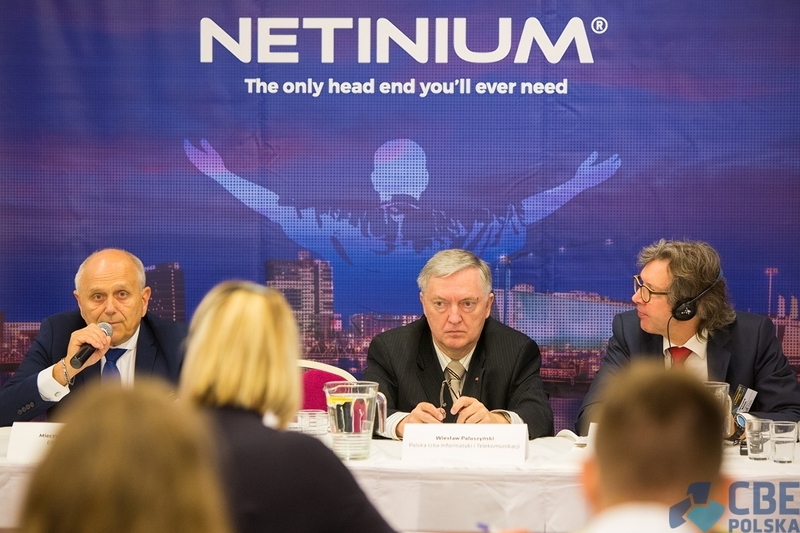 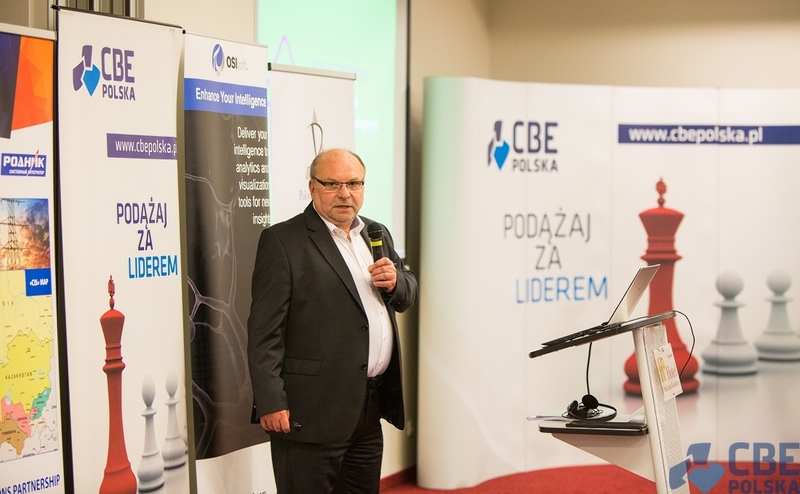 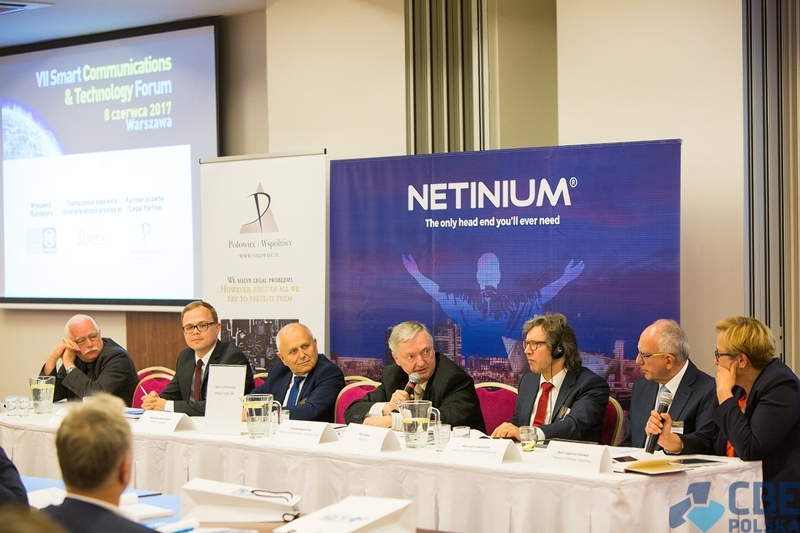 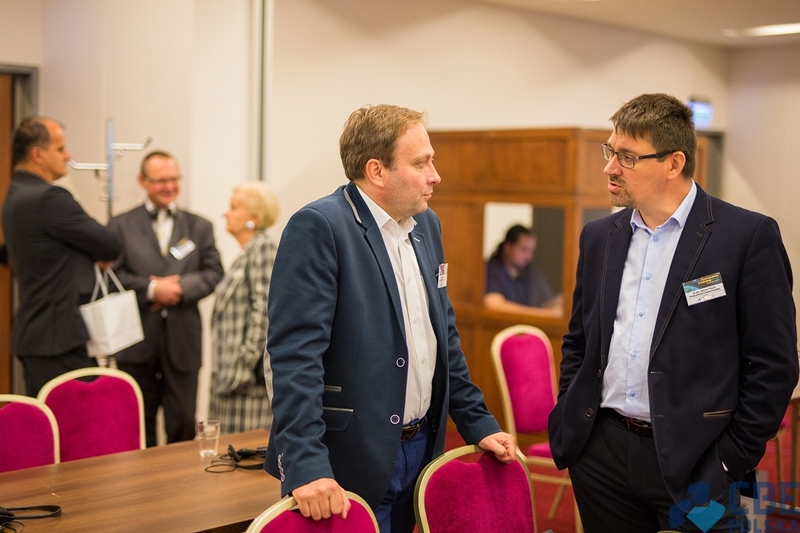 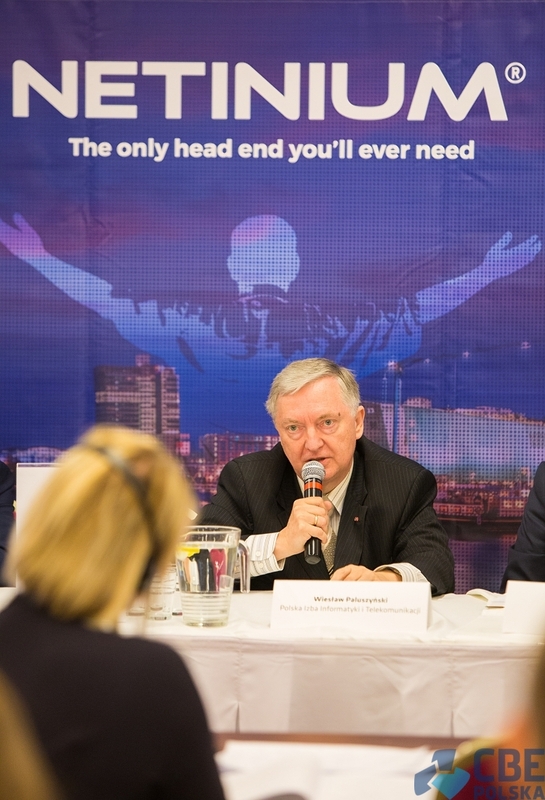 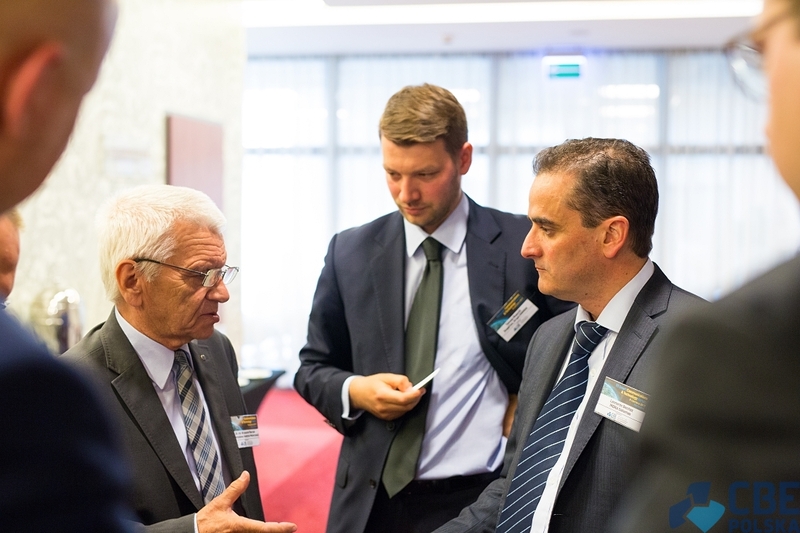 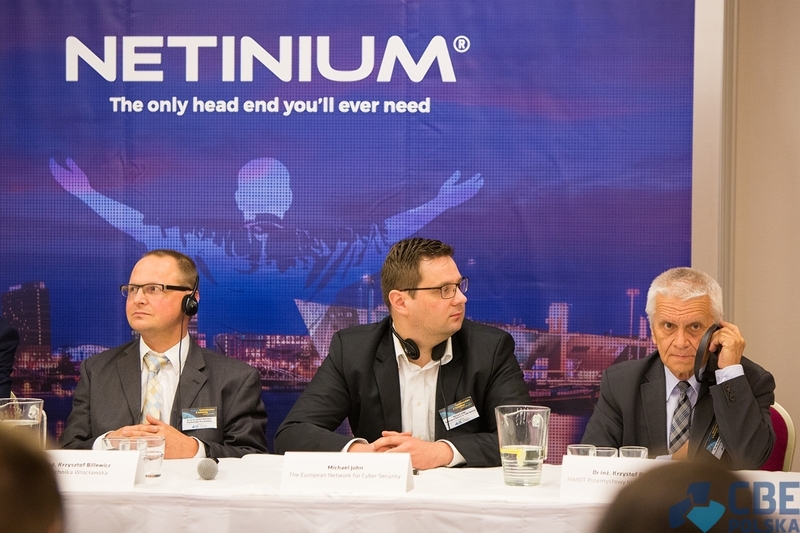 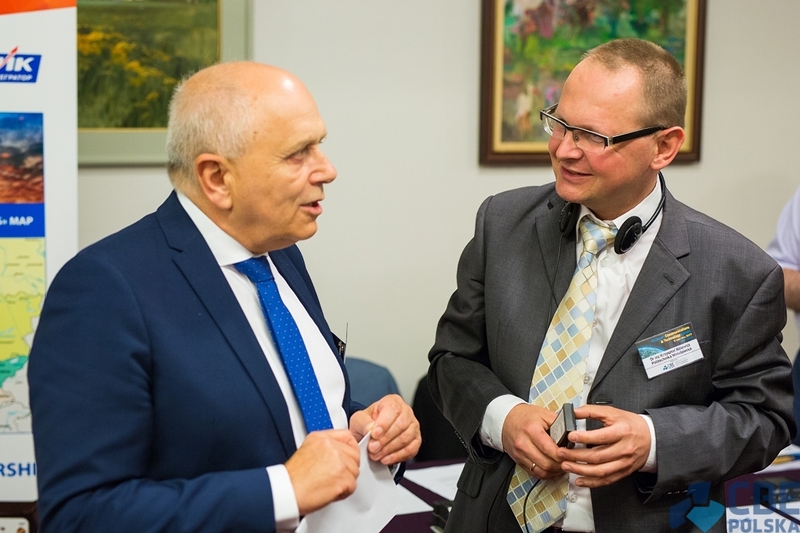 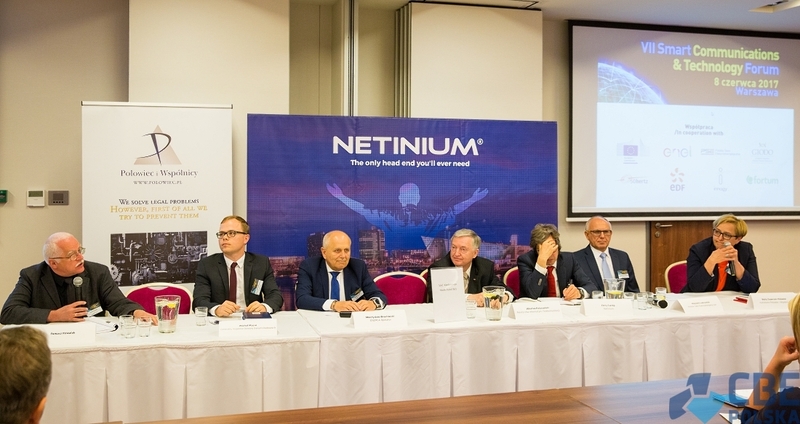 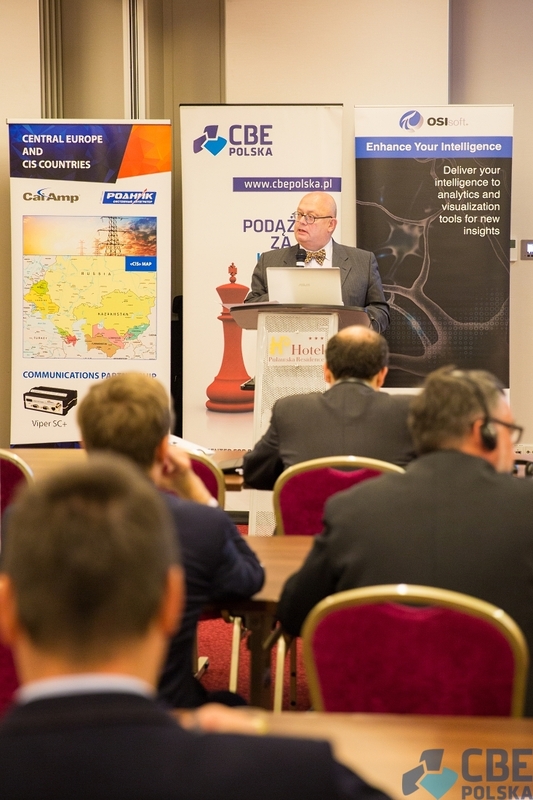 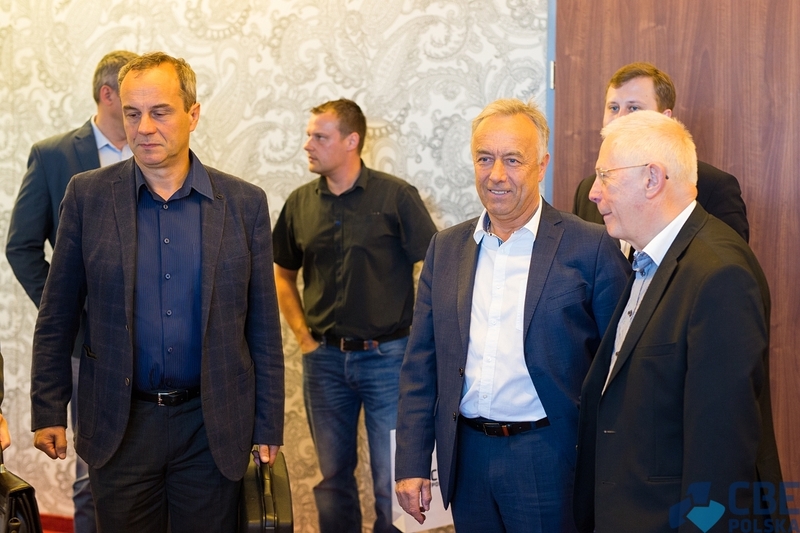 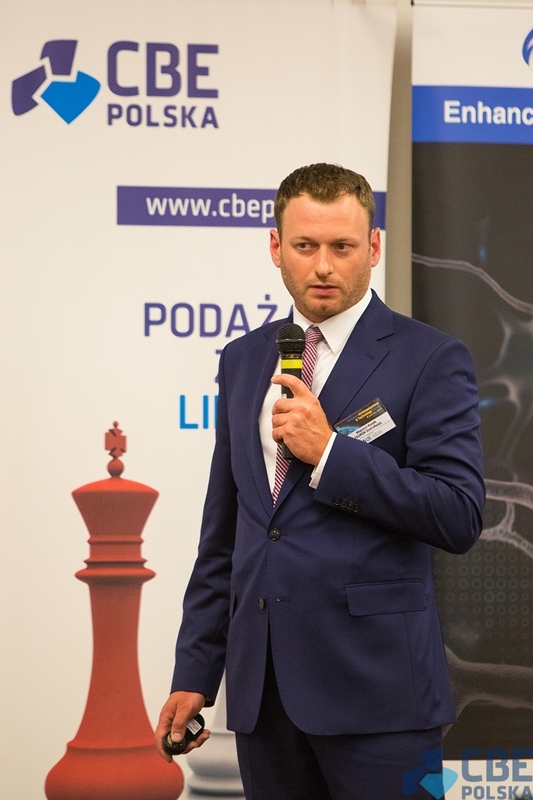 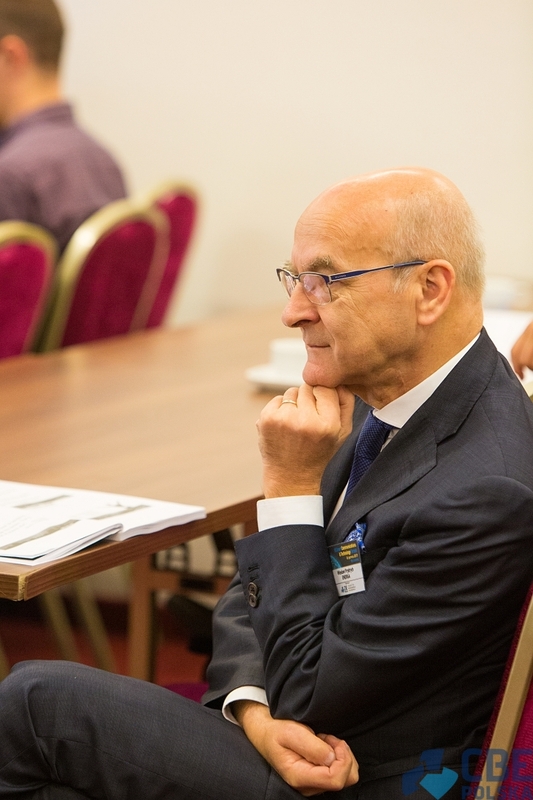 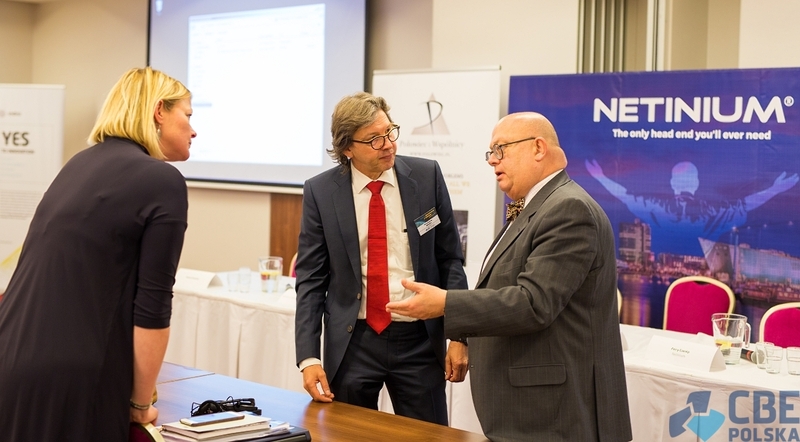 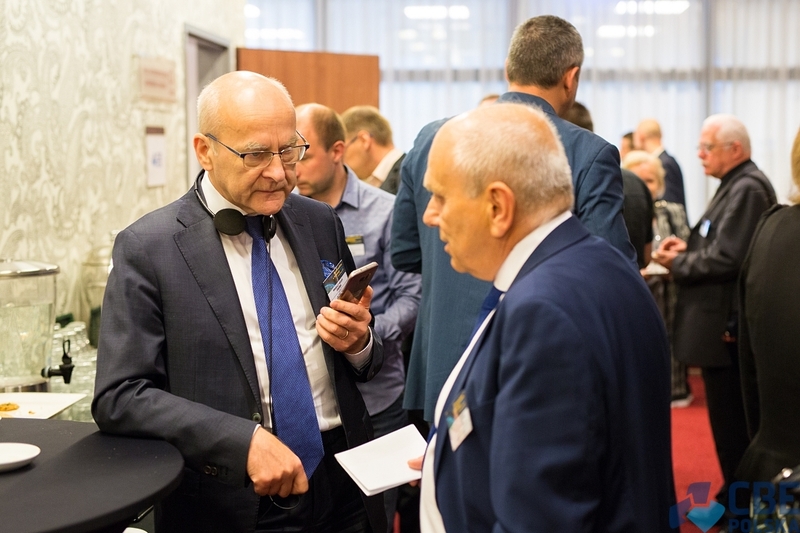 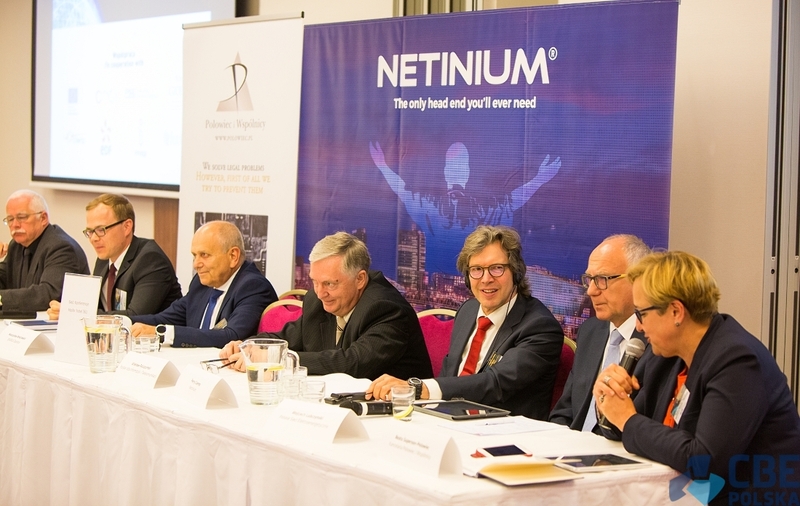 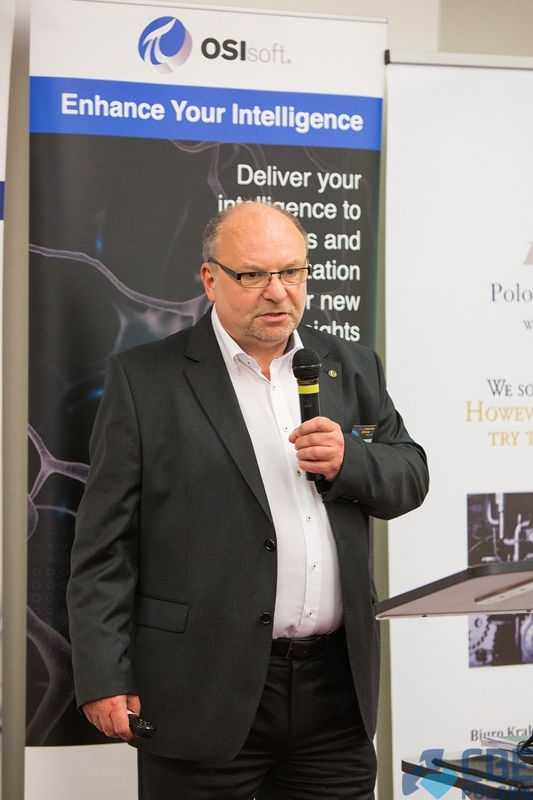 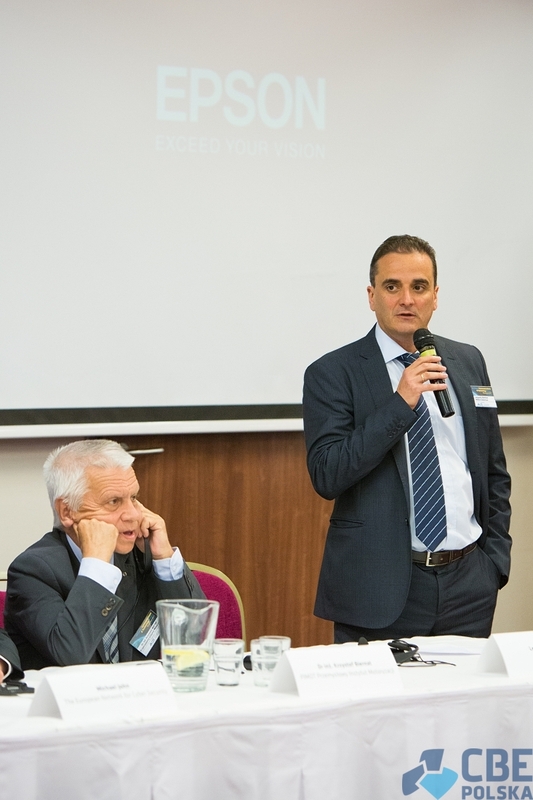 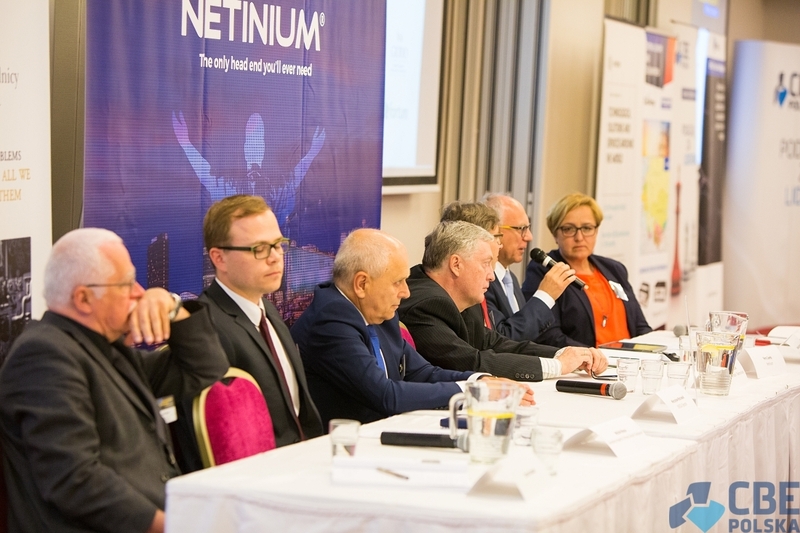 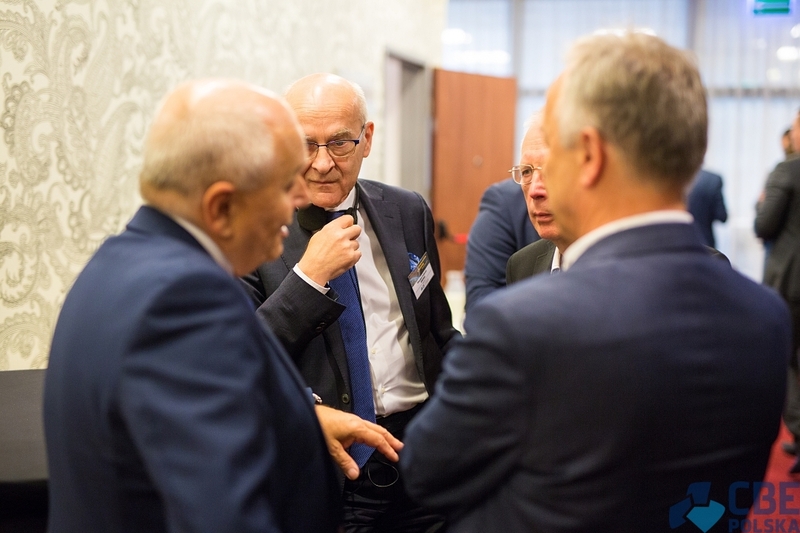 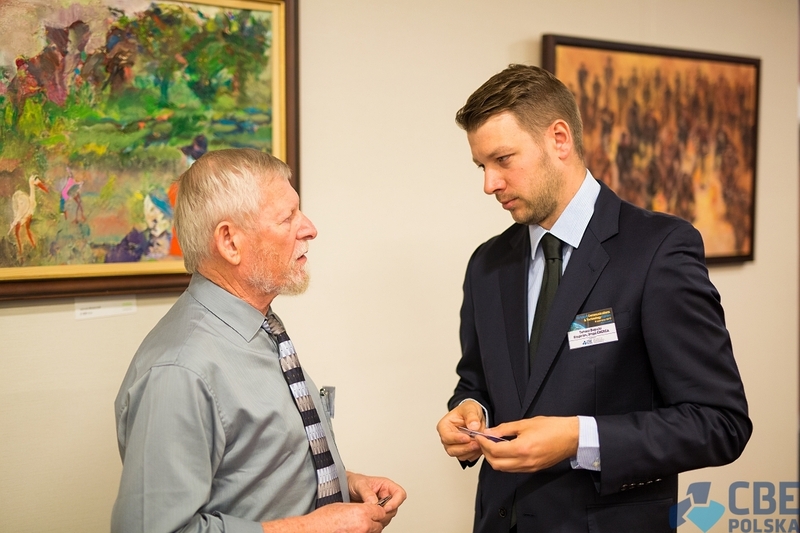 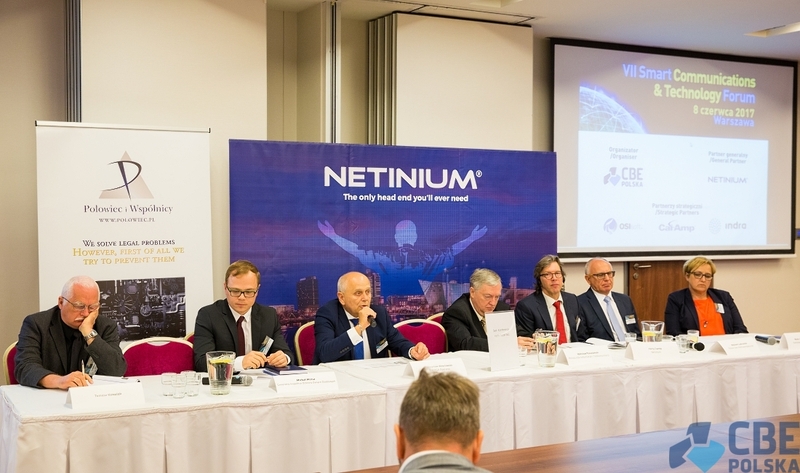 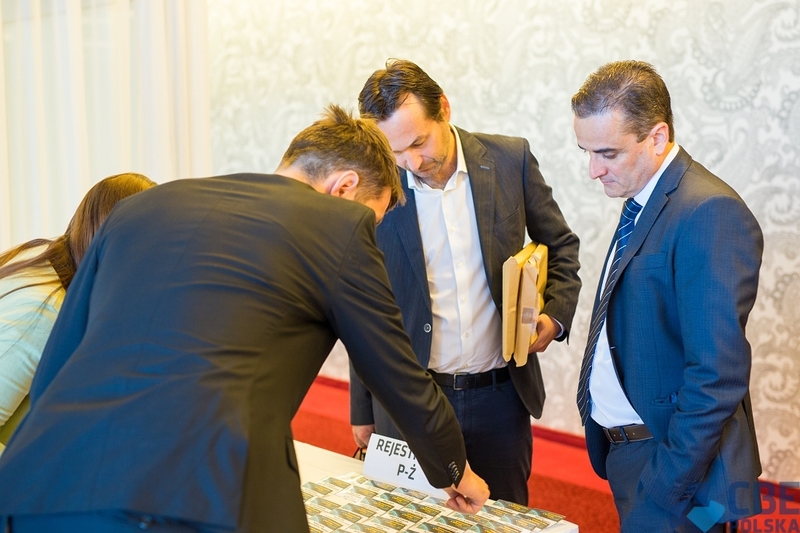 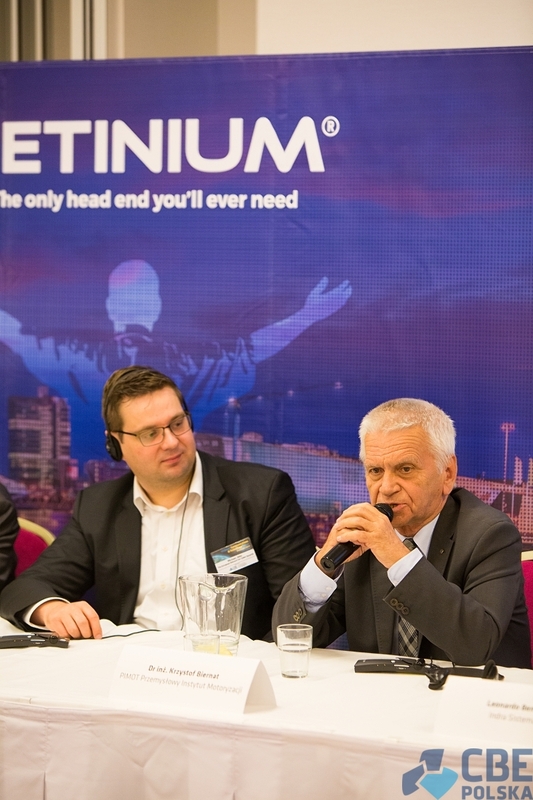 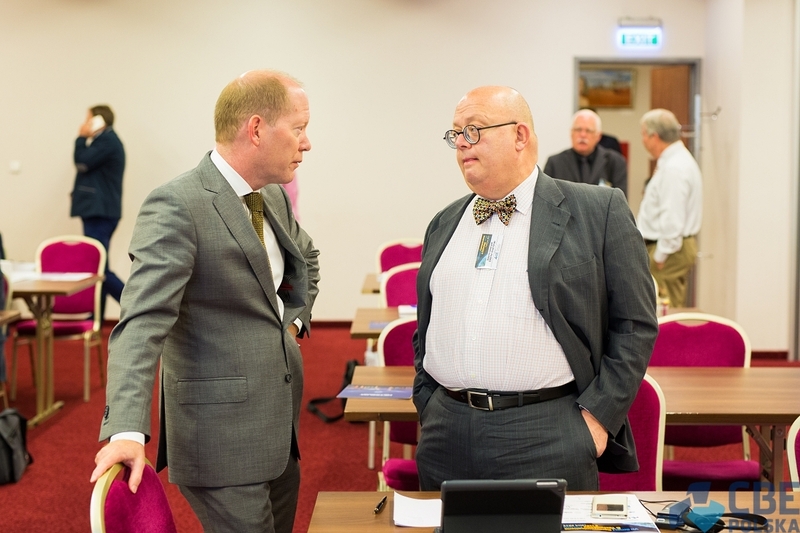 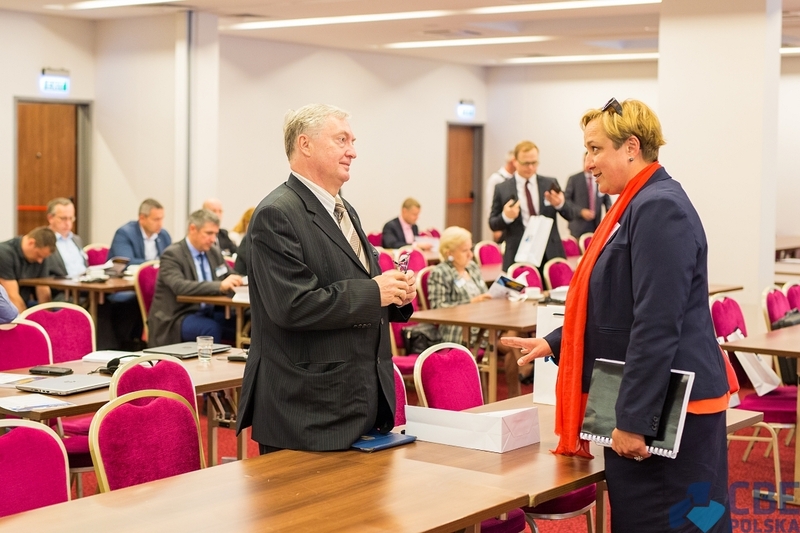 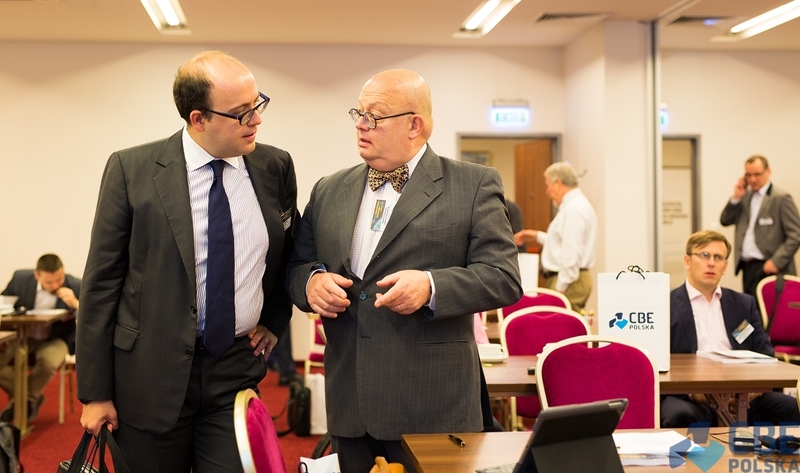 Ferry Cserèp – CEO, Netinium B.V.
As pointed out by Mieczysław Wrocławski the expectations for support from the DSOs are enormous. 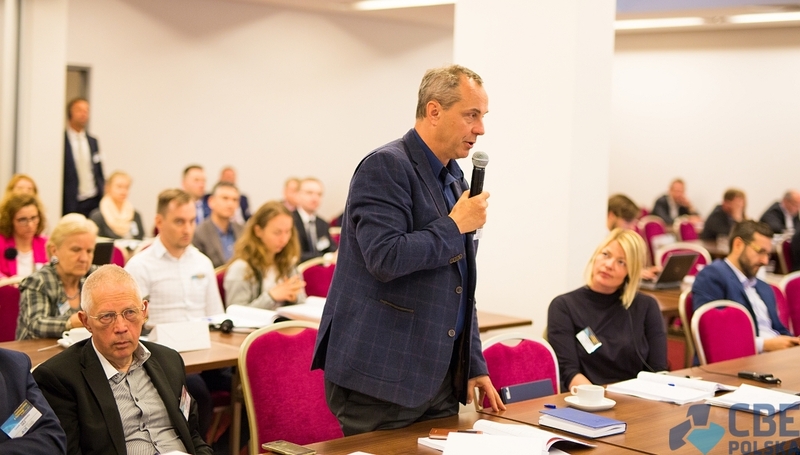 Consumers and Prosumers demand help, and for the DSO to realize such demands detailed information is necessary. 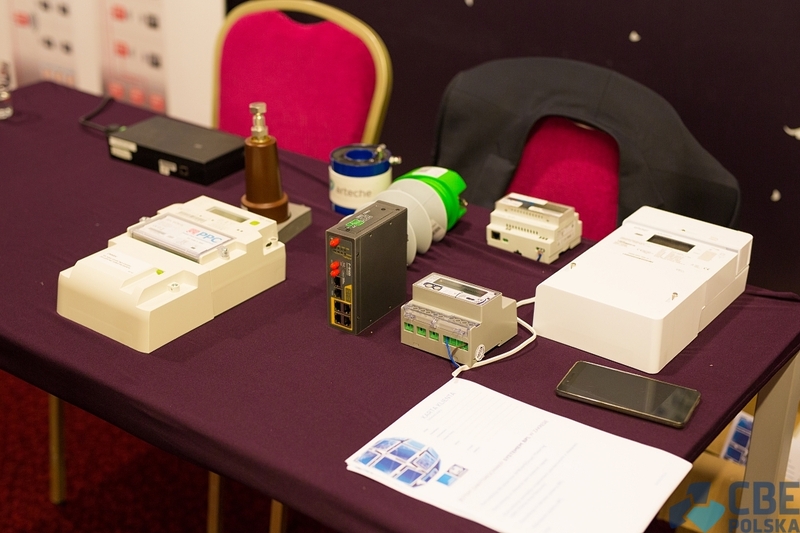 Information that can be gathered only by the smart metering systems. 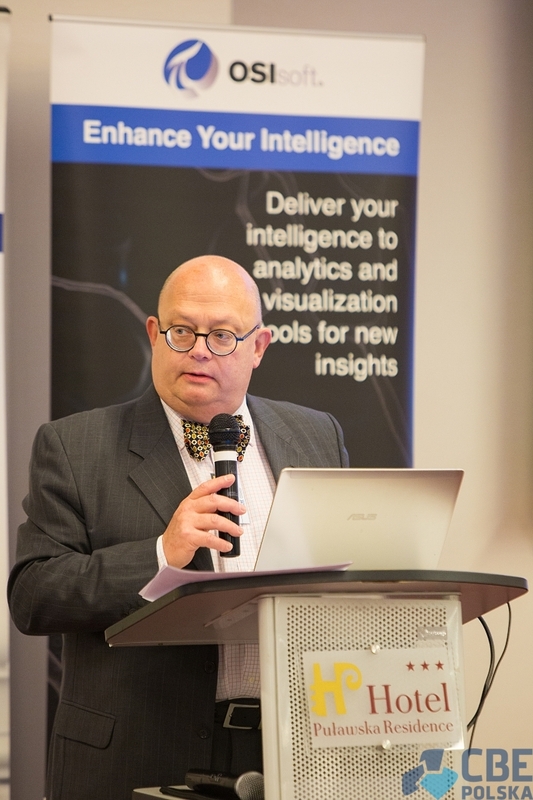 This includes data on the energy demand and grid parameters enabling efficient grid management. 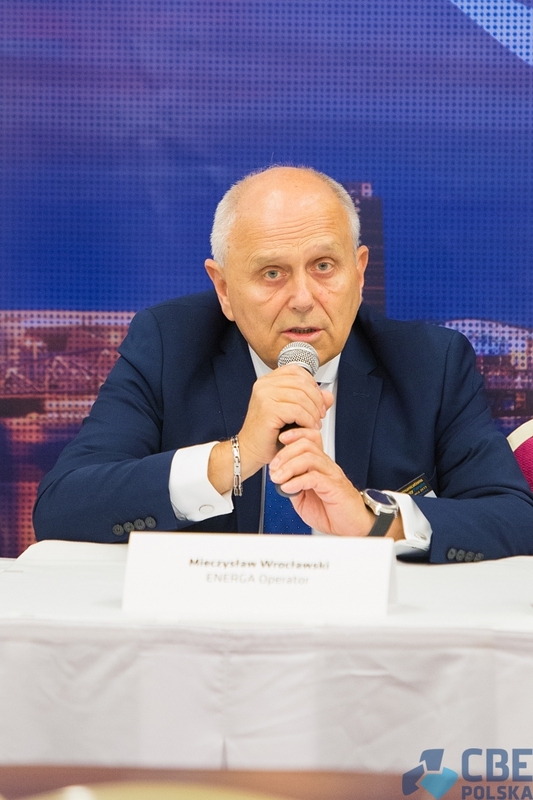 "Presently, ENERGA has had installed almost 1 million smart meters, with 3 million being the total number of all ENERGA's customers.(...) 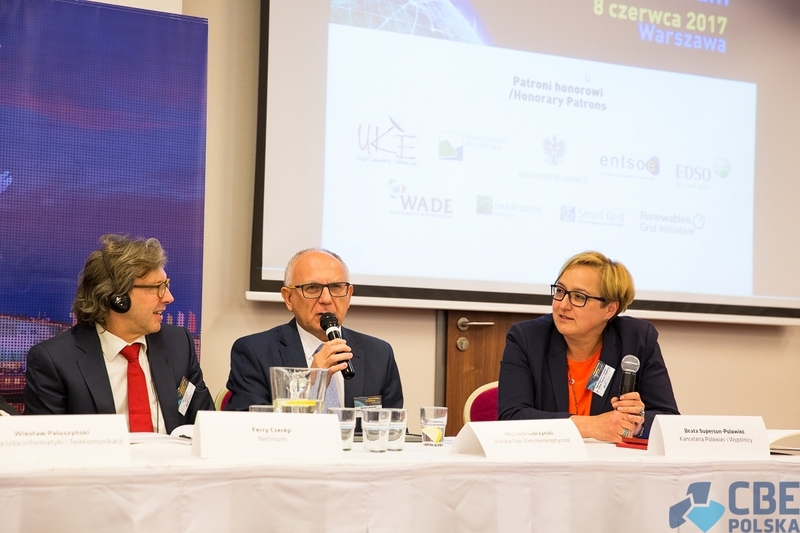 The challenge that we face now is not how to collect data, but how to use that data later on to optimize the grid management systems and the distribution networks." 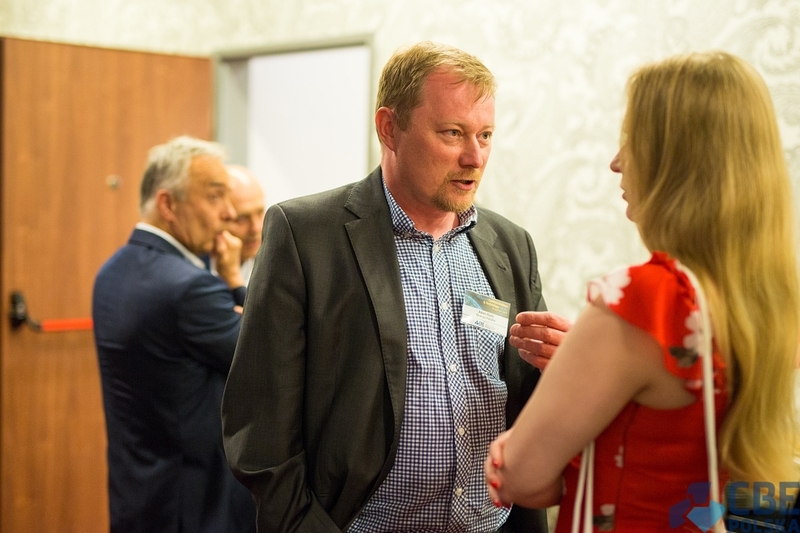 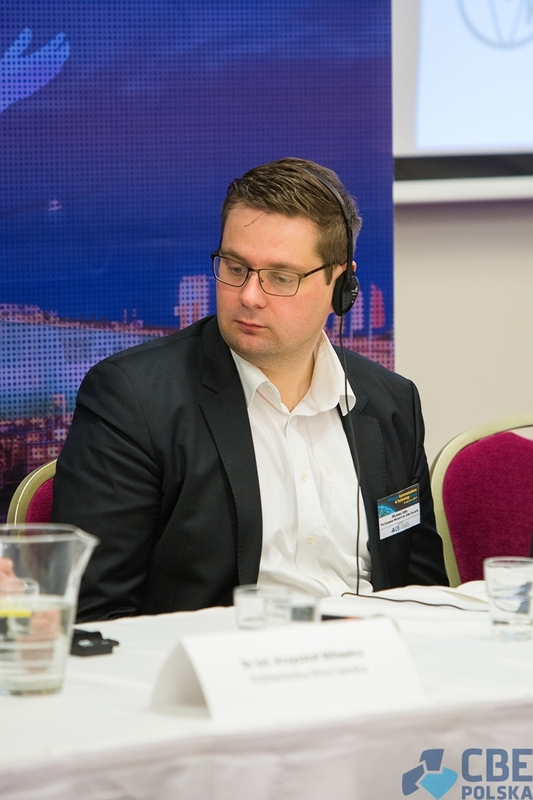 Dr Tomasz Kowalak, added: "the biggest mistake now, would be to implement the Smart Metering technology and use it only to send people bills on their energy usage." 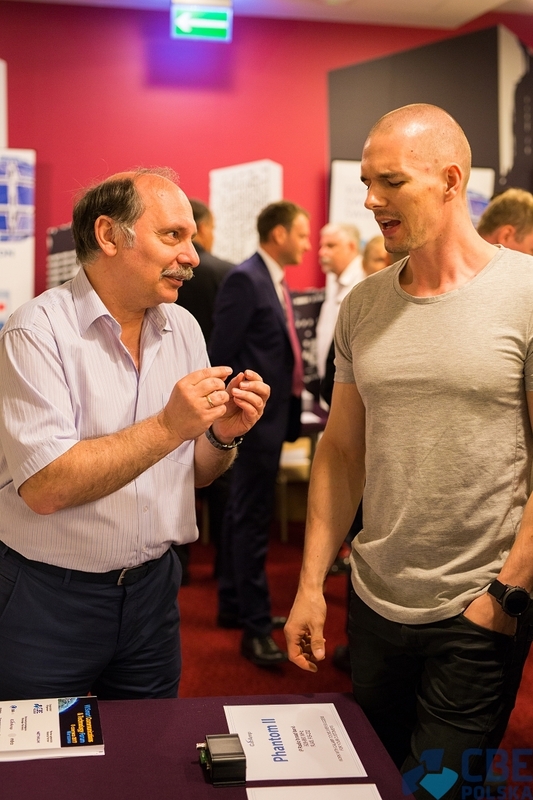 The possibilities of this technology are massive, and we should make the best of it. 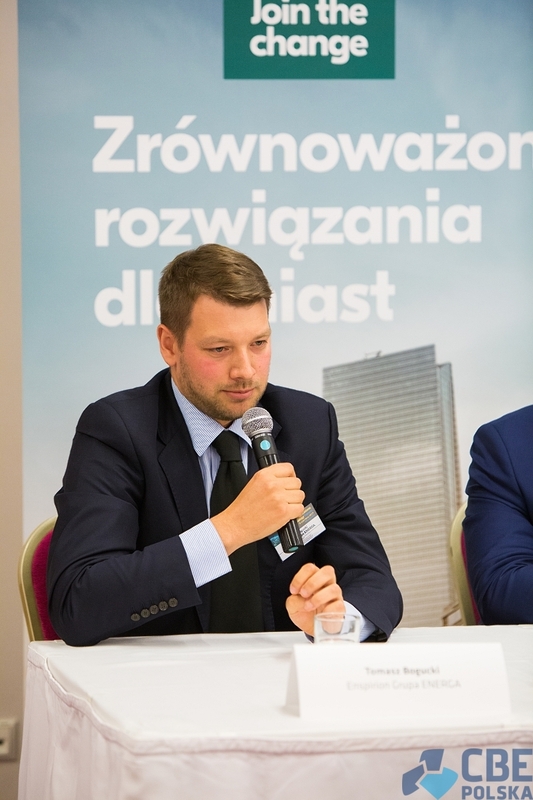 Wojciech Lubczyński, representing Polish TSO (PSE S.A.), stated that PSE is trying for some time now to convince the officials about the necessity of creating some legal ramifications for smart metering in Poland, which would in turn enable more active participation by consumers / prosumers: "Current projects made by ENERGA or TAURON – like Smart Wroclaw – are the first step in the right direction, what we lack however is the national level decision, strategy that would allow this technology to reach the nationwide scale." 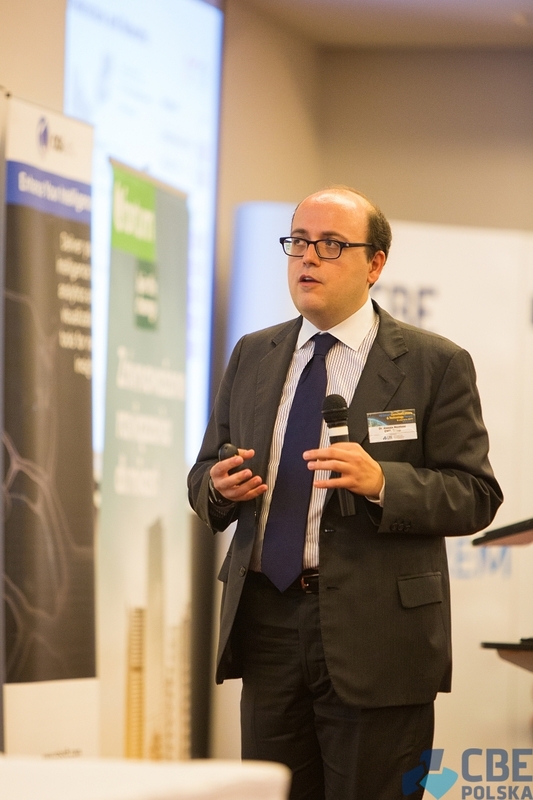 Our next Speaker was Dr. Alessio Montone, Head of Global Smart Metering Solutions, representing the ENEL Group. 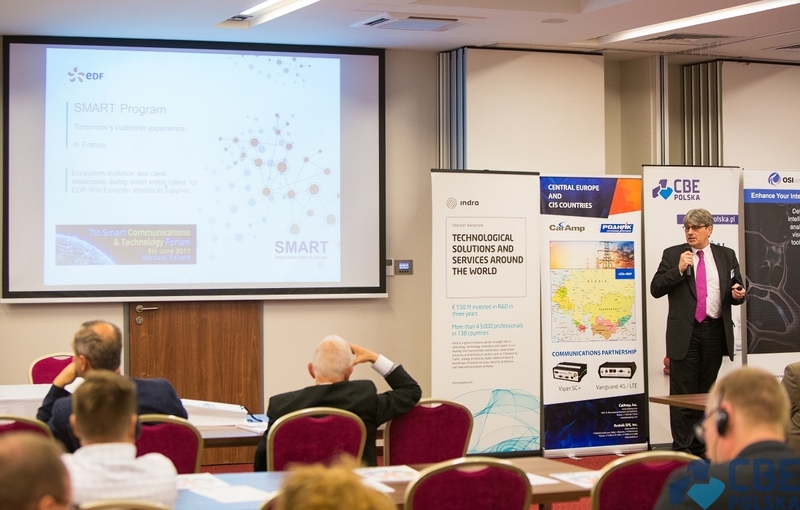 In his presentation he talked about Smart Grid network projects in Spain, Italy and South America. 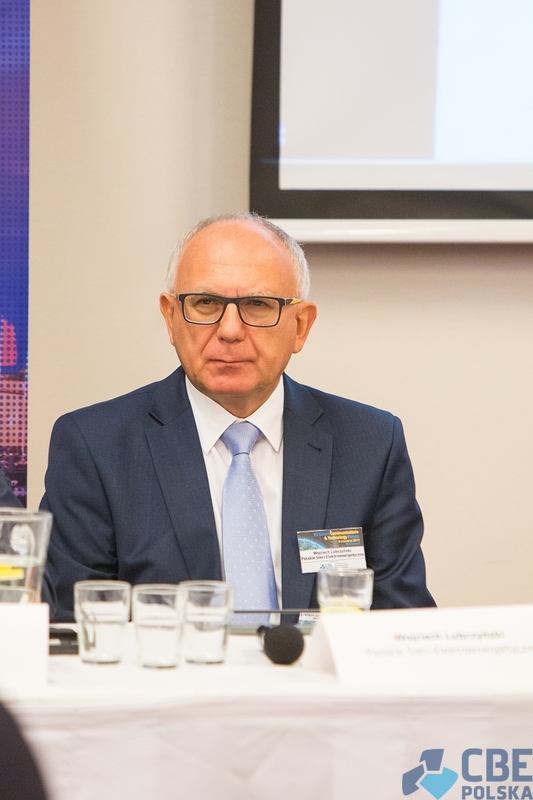 The creation of Smart Grid infrastructures in Europe and South America (Brazil, Argentina, Colombia, Peru, Chile) has enabled ENEL to "learn" and develop certain practices and standards that have allowed it to create more reliable and automated power grids. 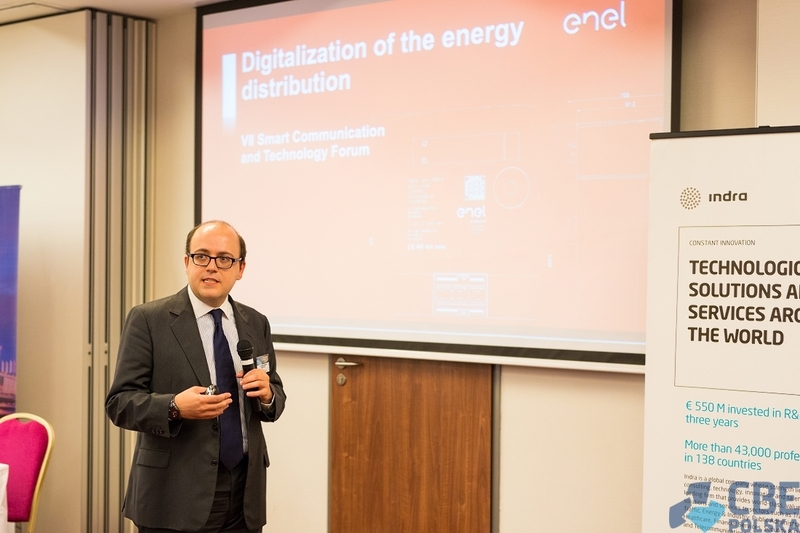 ENEL's strategy of network digitalization was originally divided into three stages. 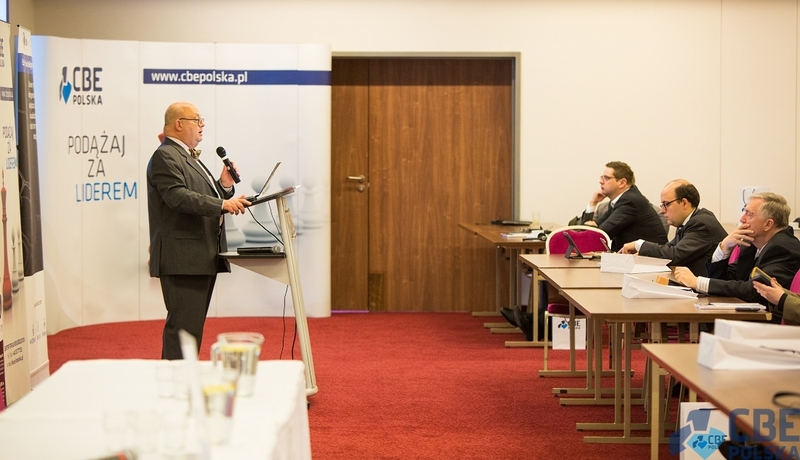 The first was the process of system implementation, devices - implementation of automation processes, intelligent metering. 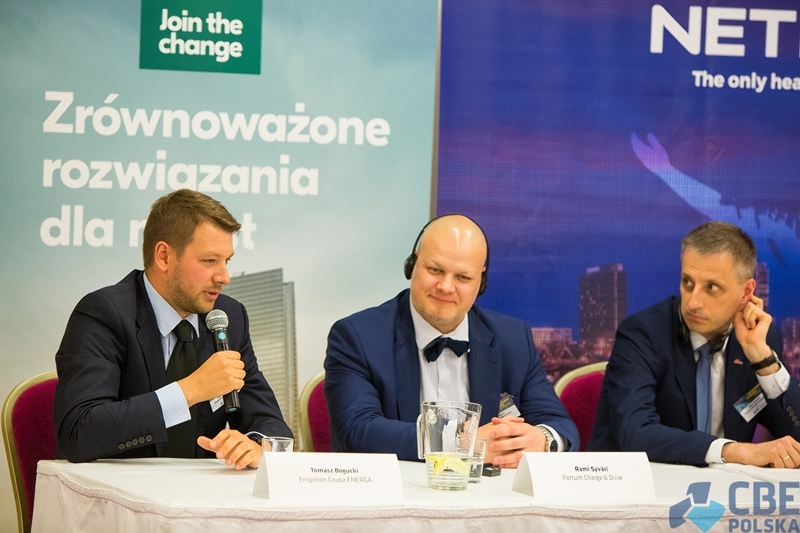 The second stage, were IoT solutions, integration of electric vehicle infrastructure, management and full control of urban installations (f. eg. 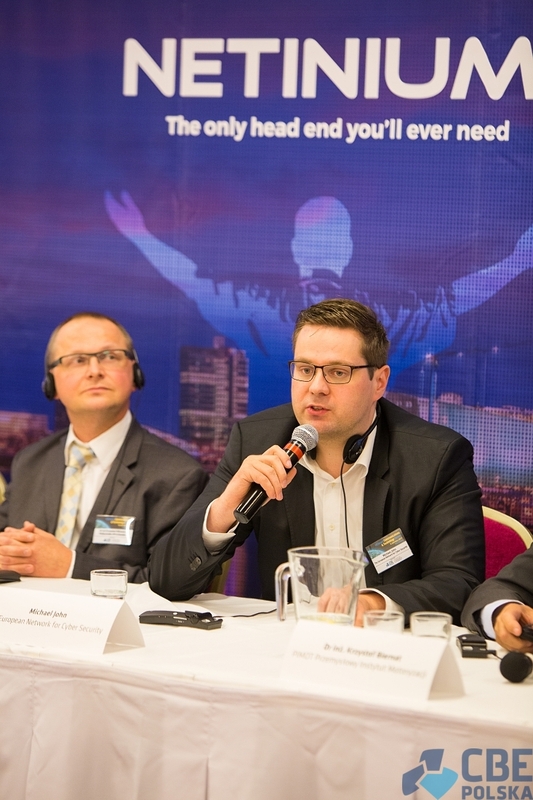 street lights). 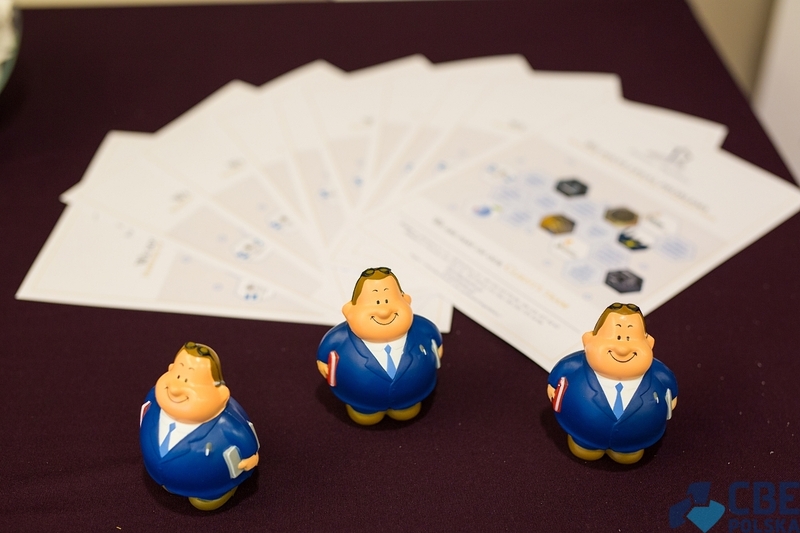 During the third stage, when the company was already receiving huge amounts of data from customers, data from the network and from connected devices, the system was undergoing the process of optimization and efficiency improvement (Big Data). 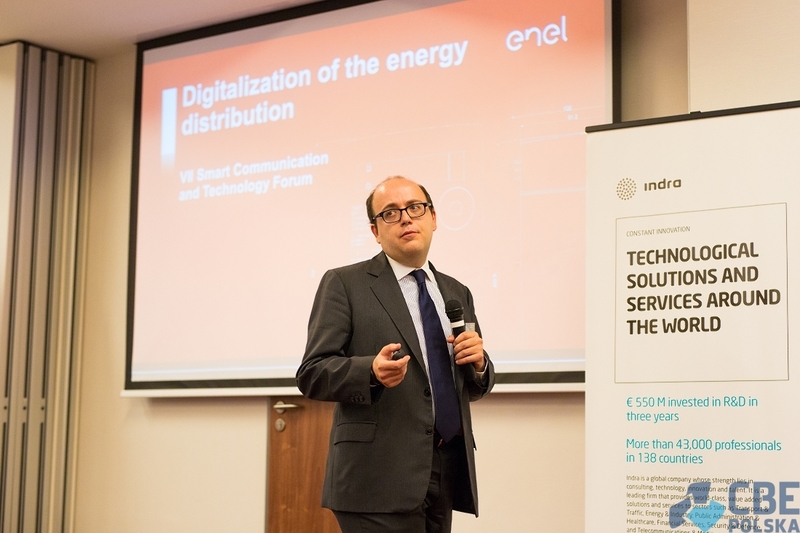 In Italy and Spain, where ENEL had started its smart meter implementation and energy system automation projects, by 2016 they managed to reduce their SAIDI (energy interruptions factor) by 60%, and the cost of their customers reduced by almost 50%. 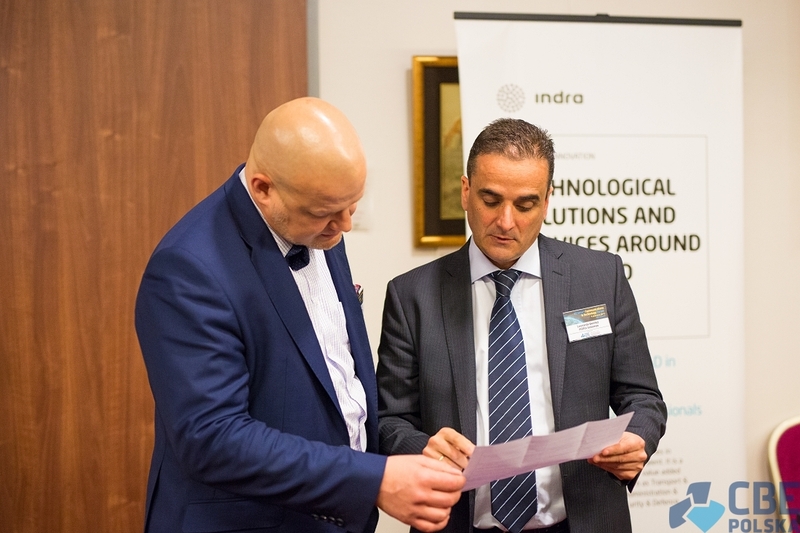 Today, in Spain, ENEL has 10 million smart meters installed, and in Romania, through the implementation of network automation, they have improved the reliability of the power grid by reducing SAIDI by 50%. 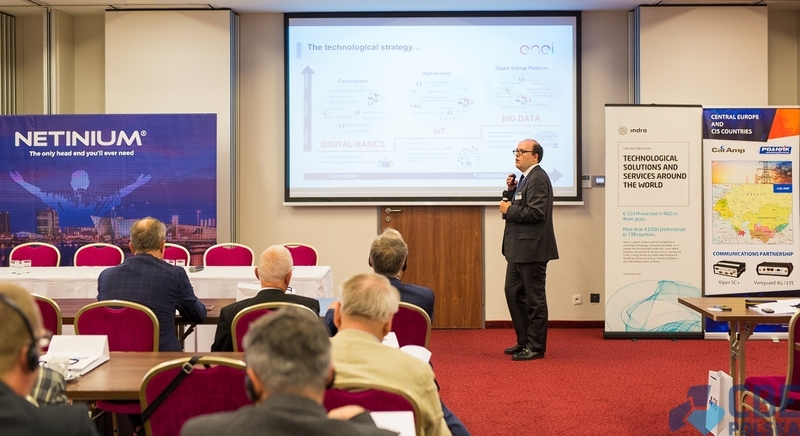 Presently, ENEL as the world's largest manufacturer of intelligent metering systems has installed more than 40 million of its meters worldwide. 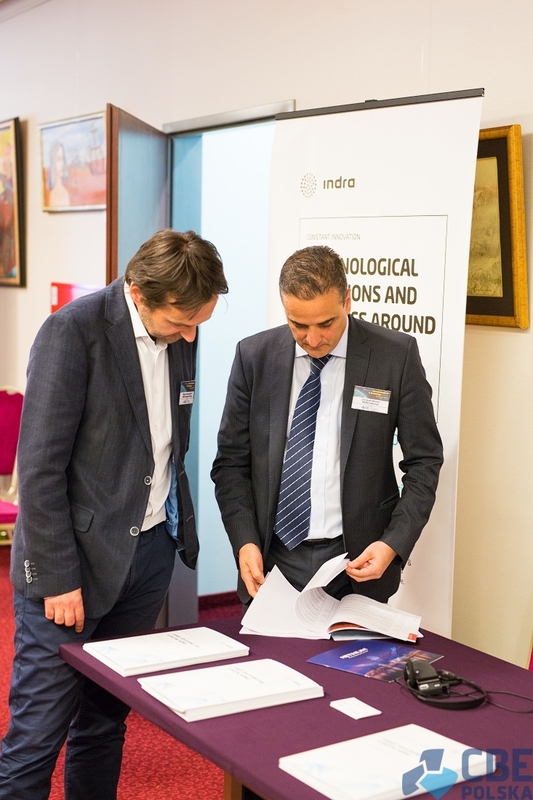 This year, the company will install additional 2 million second-generation meters in Italy and by 2019 additional 18 million in 8 other countries. 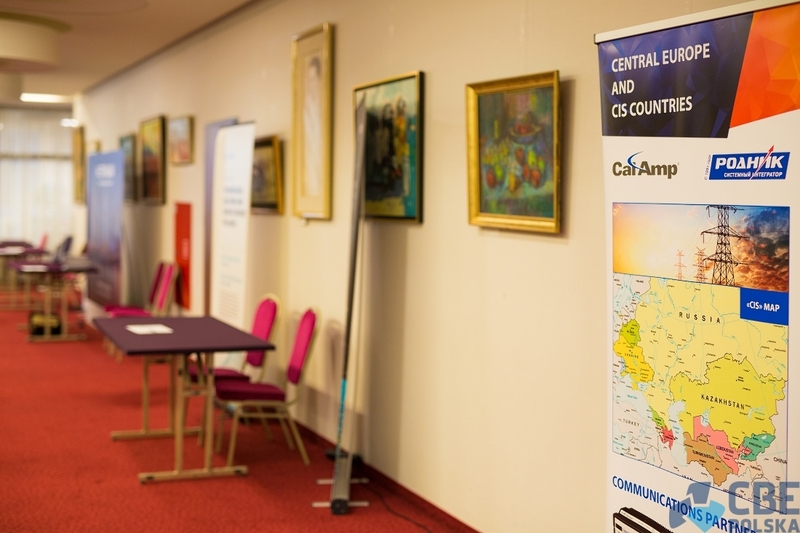 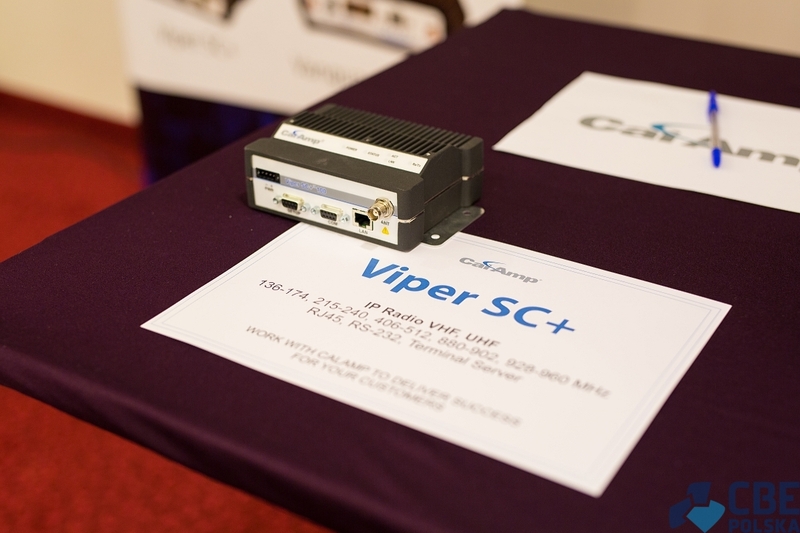 CalAmp – Smart Grid Wireless Communication Solutions. 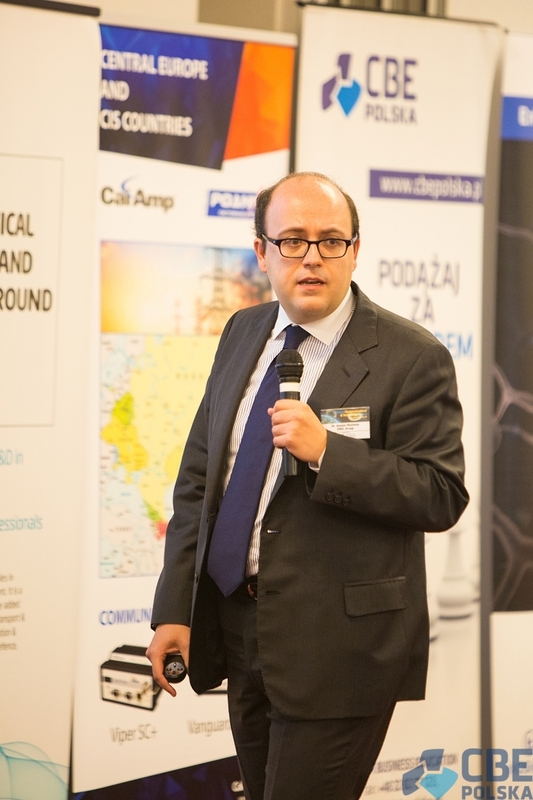 Our next Speaker was Boaz Amir, World Wide Wireless Sales Director, CalAmp Wireless Networks Inc., USA. 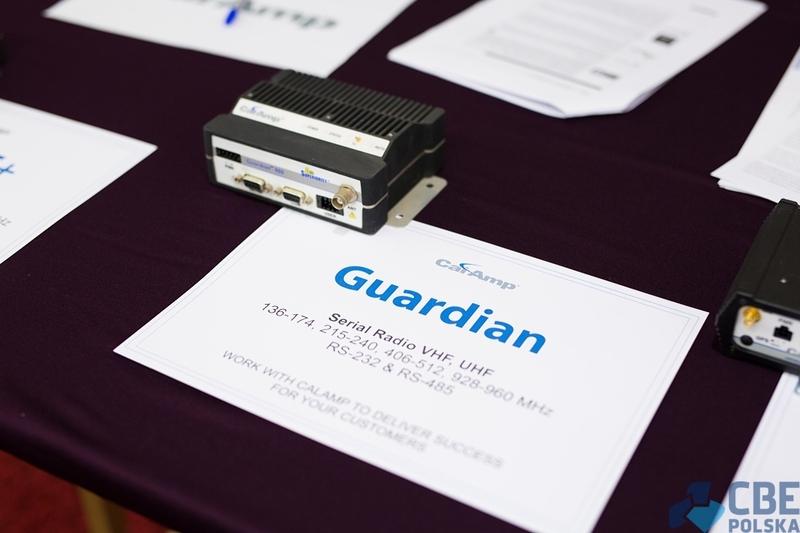 CalAmp assembles the wireless communications solutions from an extensive portfolio of devices, scalable cloud service enablement platforms and targeted software applications. 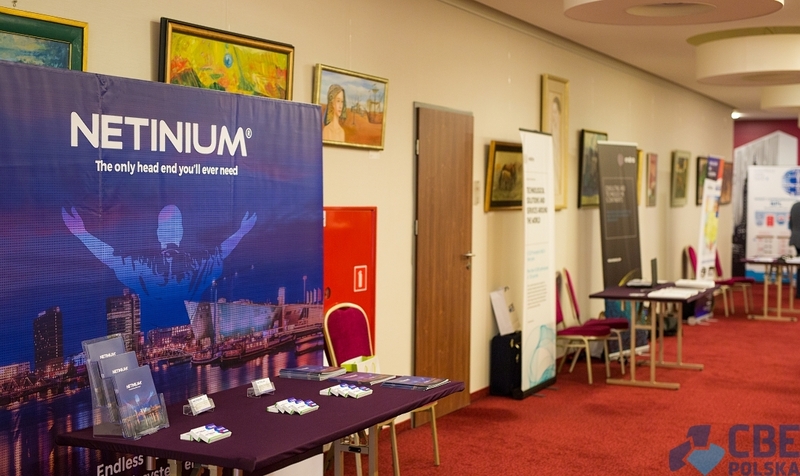 They are uniquely able to couple and de-couple the various components of a solution to facilitate the most compelling implementation for our customers. 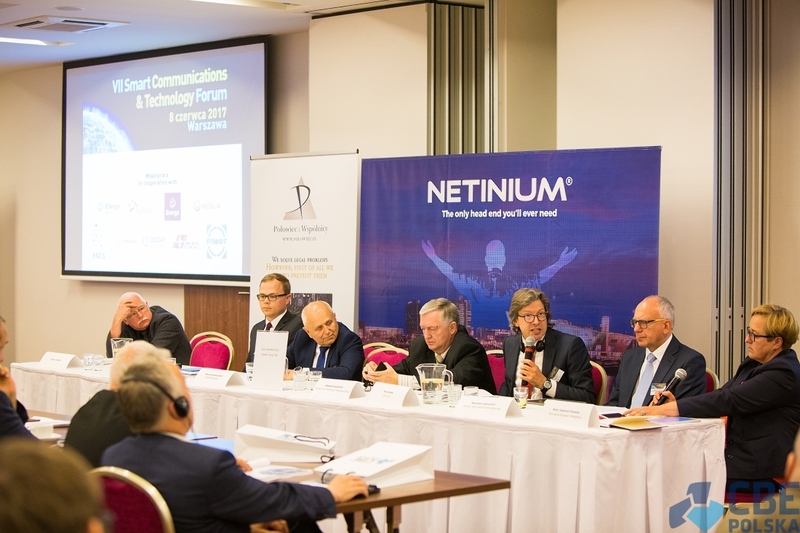 To further ensure success, they maintain a strong partner ecosystem with the world's best complementary solution providers and targeted channel partners, as well as tier-one domestic (in the USA) and international wireless carriers. 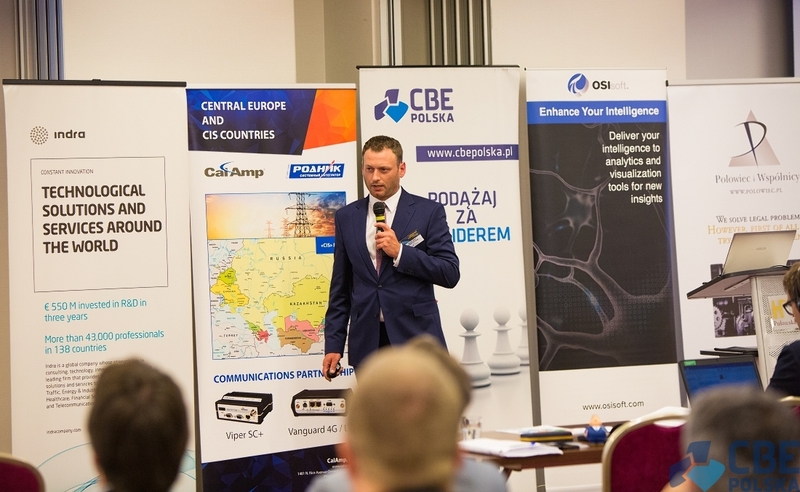 These solutions enable customers to optimize their operations by collecting, monitoring, and efficiently reporting business-critical data and desired intelligence from high-value mobile and remote assets. 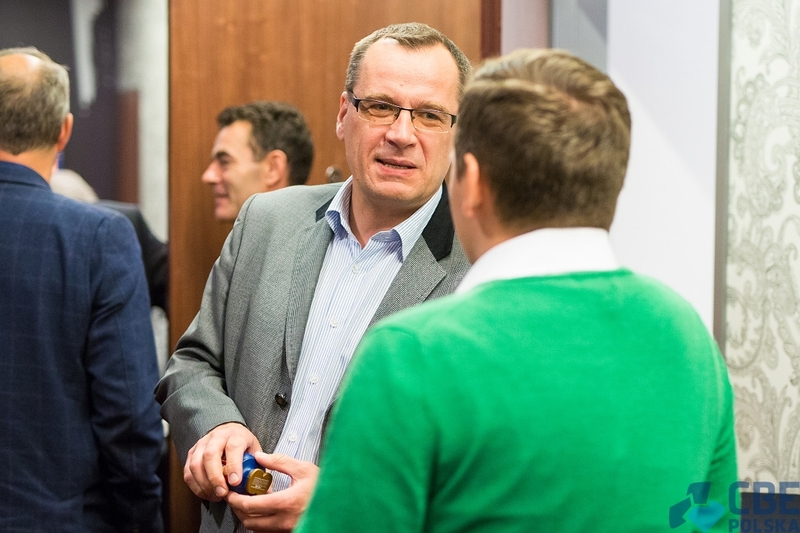 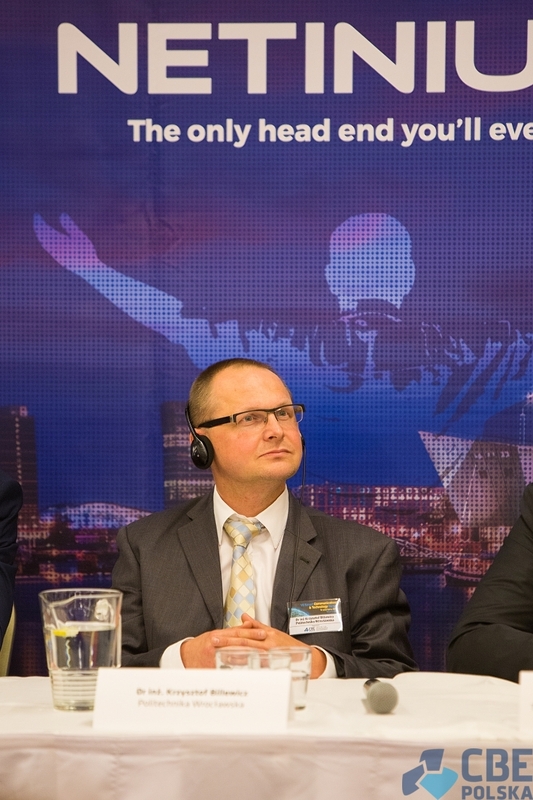 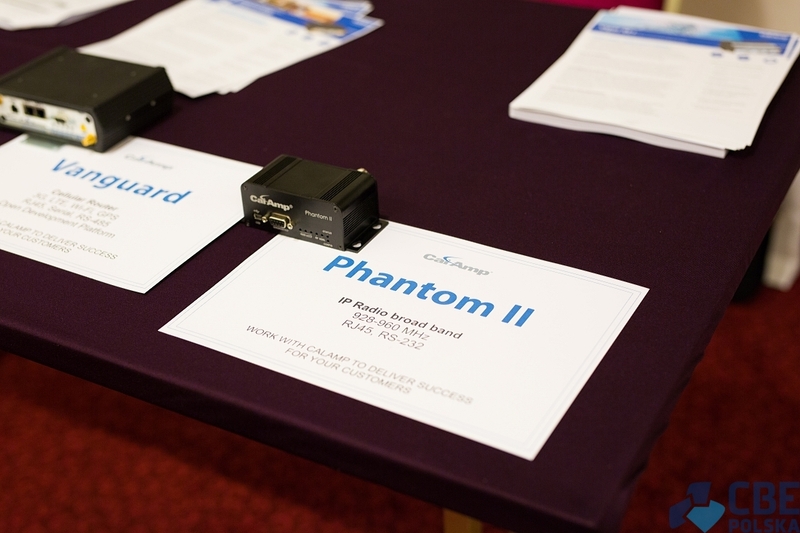 Florian Reinke was representing 50 Hertz Transmissions GmbH. 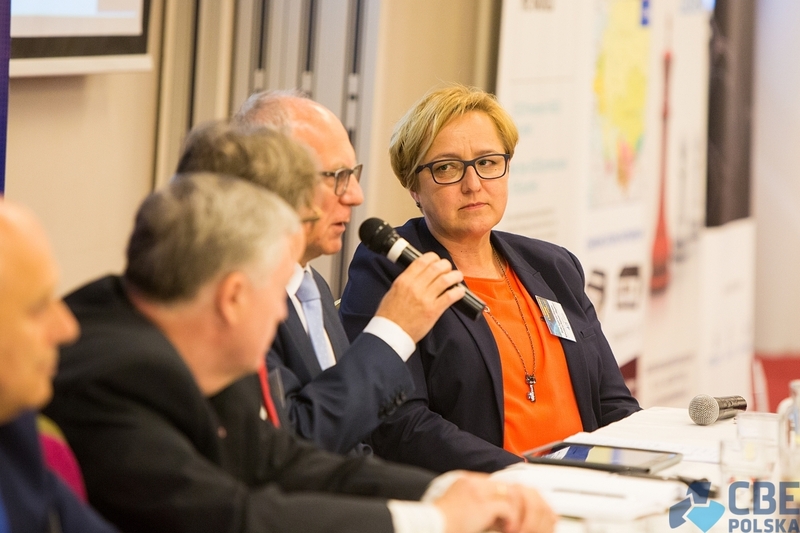 50 Hertz is one of four TSOs in Germany. 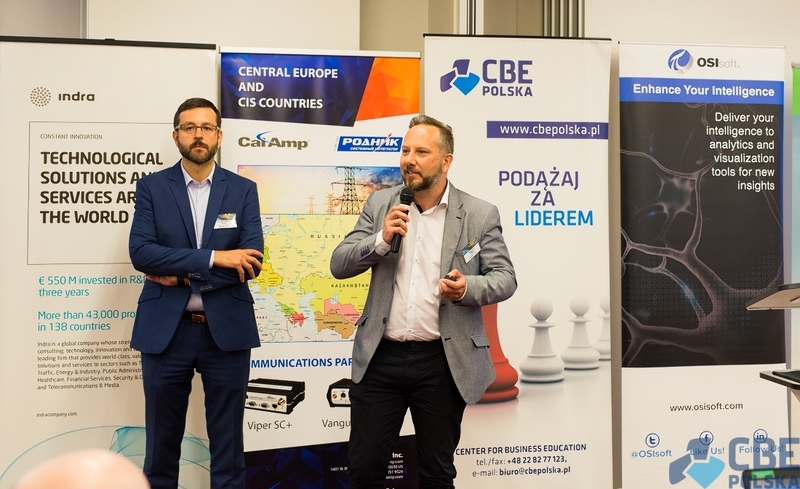 The network they are managing is connected directly to neighbouring countries such as Poland, the Czech Republic and Denmark. 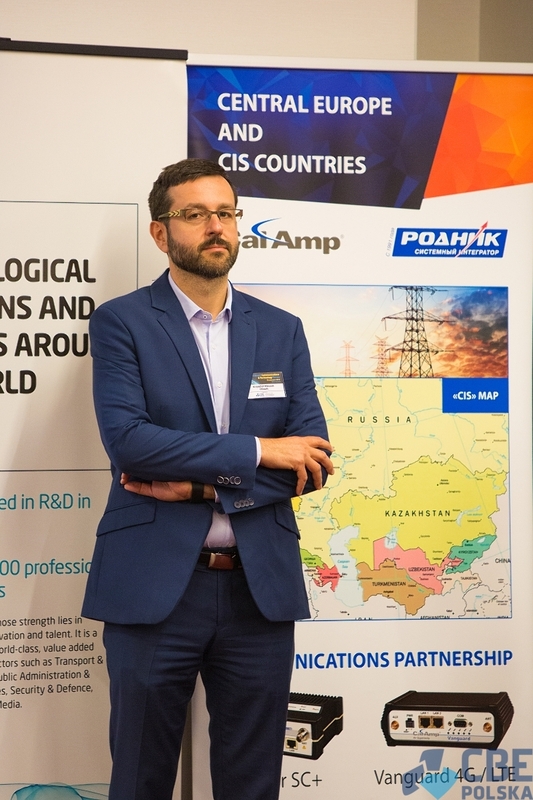 The company's transmission network covers an area of more than 109,360 km² and supplies energy to approximately 18 million people. 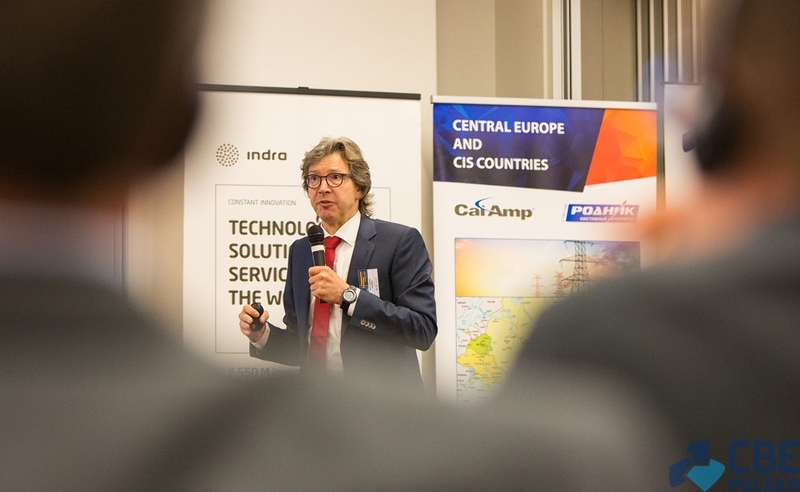 In his presentation Mr. Reinke talked about recent changes in regulations and the energy market in Germany in terms of automation and network digitalization. 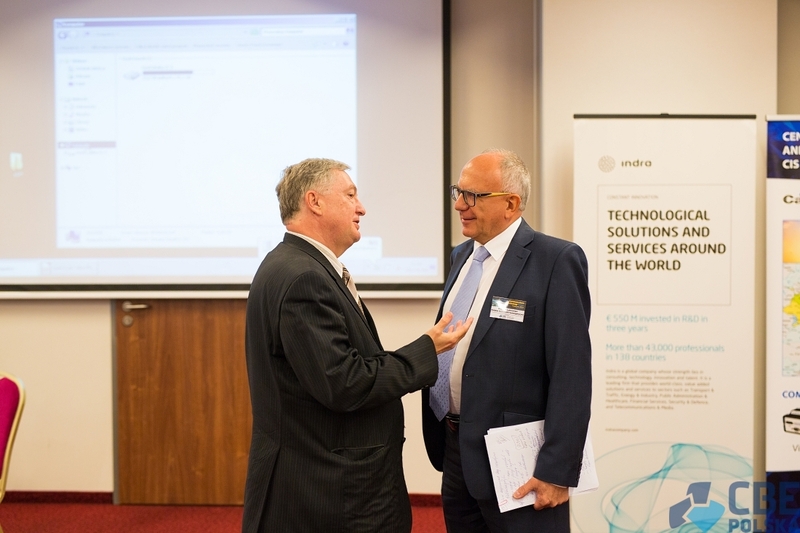 Digitalization makes it possible to optimize the processes on the network as well as reduce operating costs. 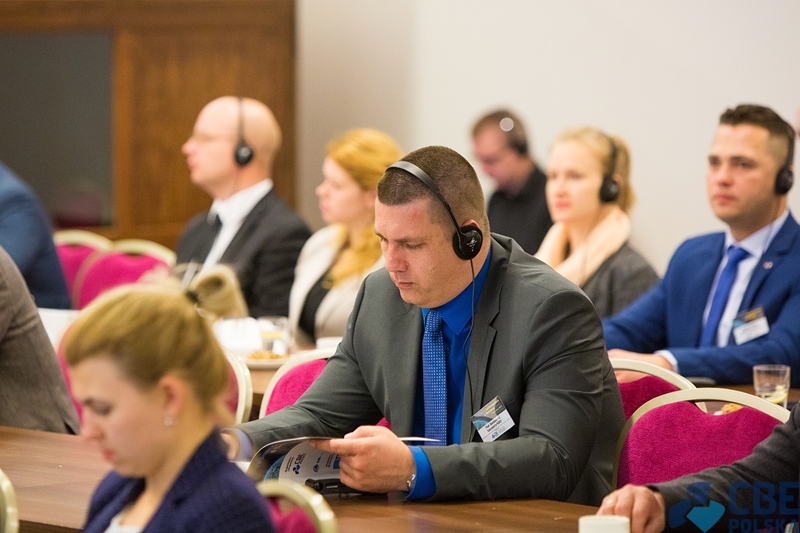 TSO's tasks can be implemented quickly, cheaply and more accurately. 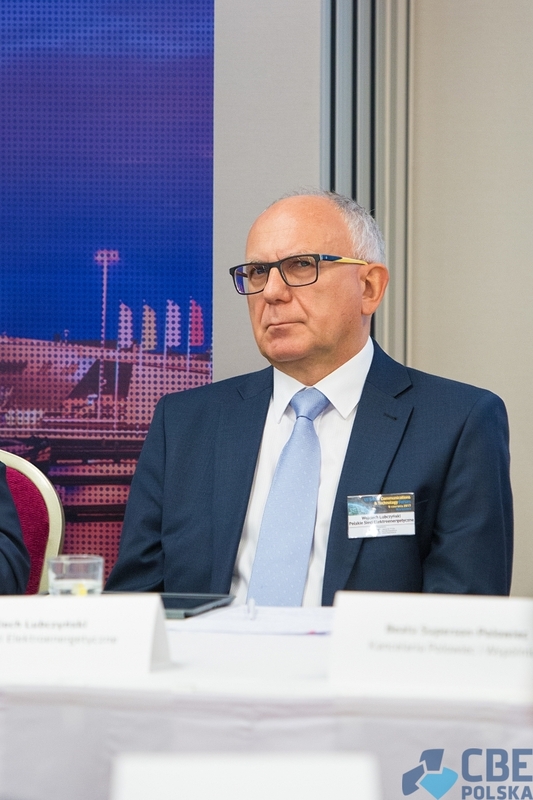 Given Germany's regulations on network digitalization, Germany will soon start implementing on a massive scale smart metering systems – the process will start this year, and TSOs will be responsible for collecting and aggregating data from these meters to improve the reliability of the German power grid. 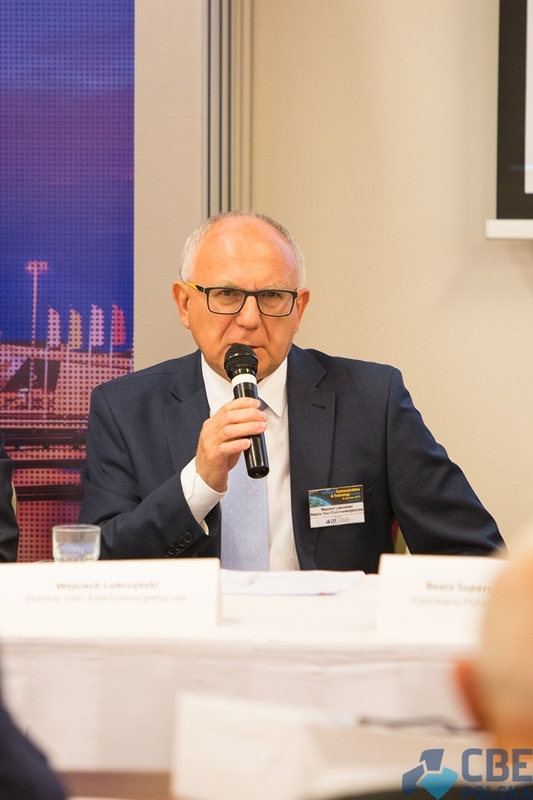 In addition, a significant element of the power grid in Germany will be the integration of large number of small renewable energy generation installations: biomass, wind and solar energy. 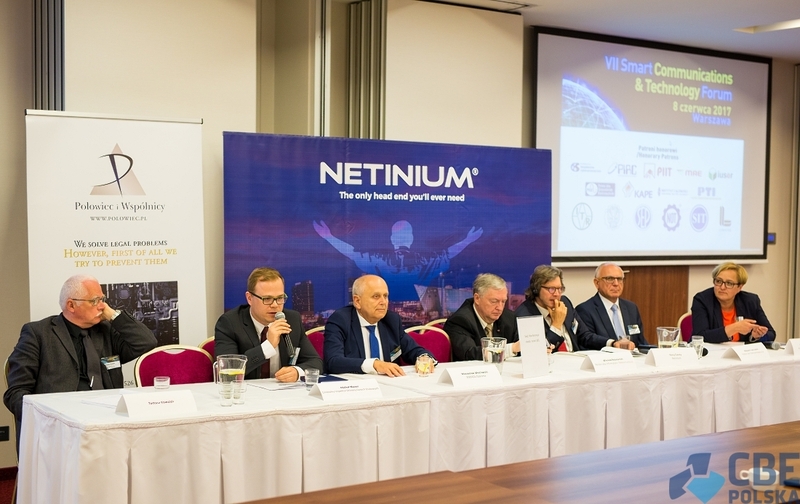 The current generation of renewable energy integrated with network managed by 50 Hertz is about 30,000 MW, and by 2050 it will reach the level of almost 50 thousand MW. 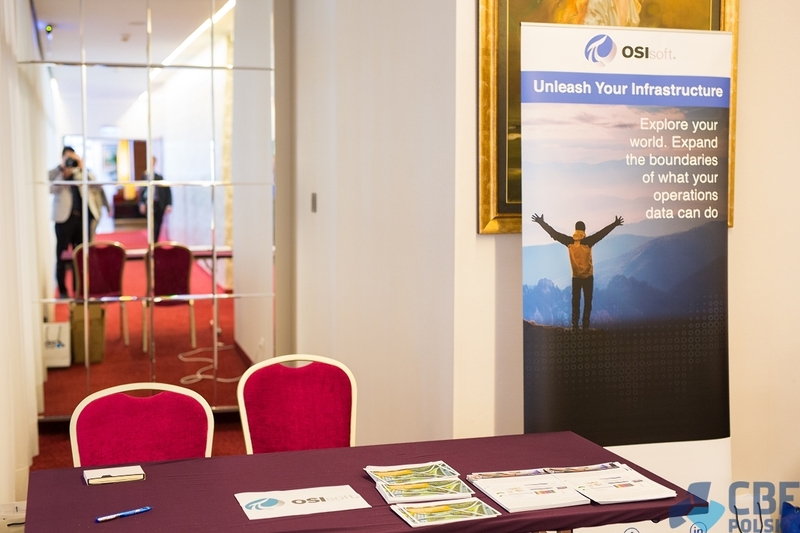 OSIsoft – Complete Data Infrastructure supporting Digital Transformation of Companies. 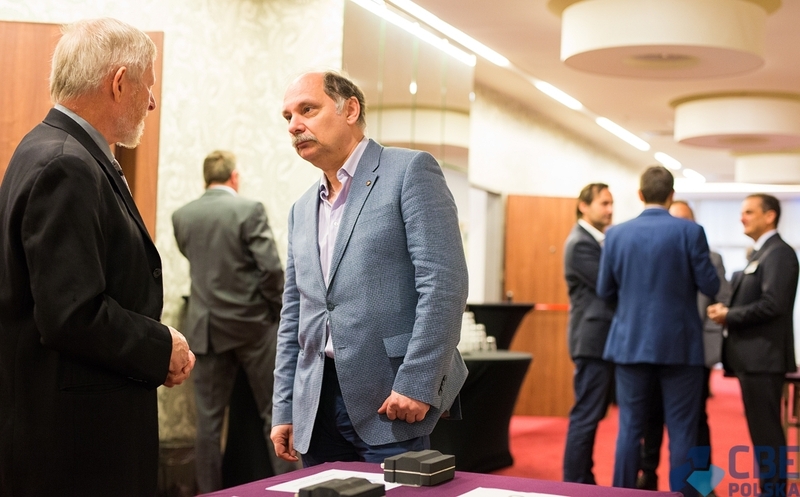 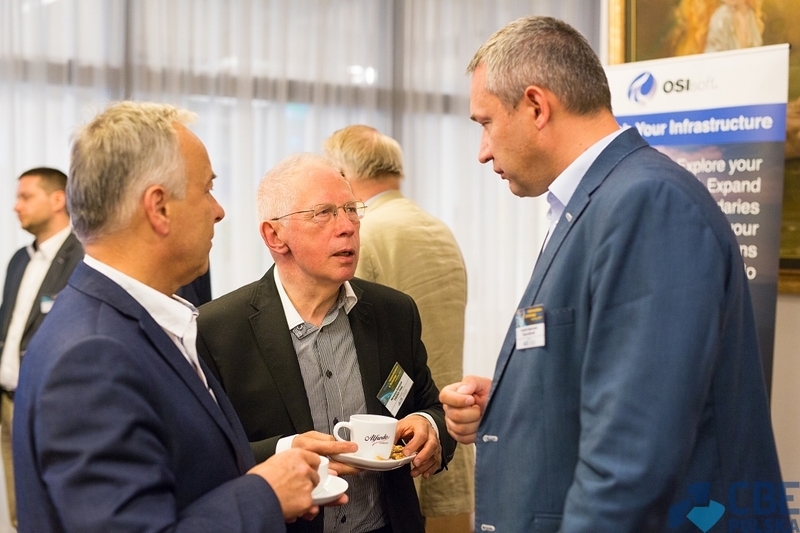 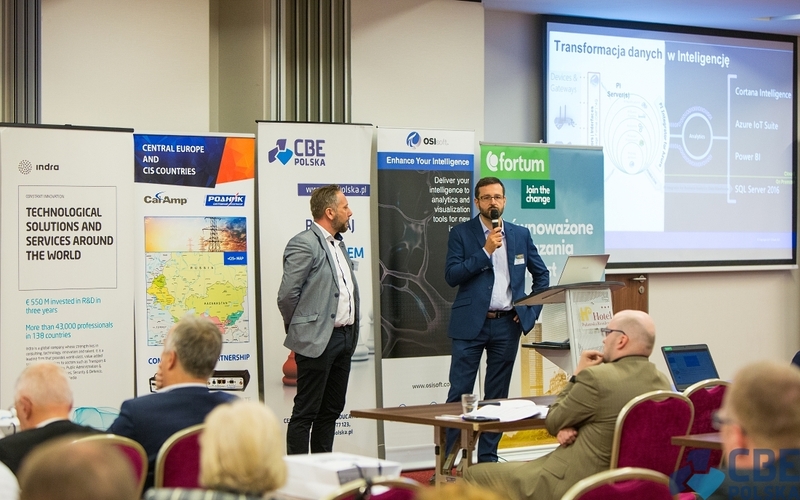 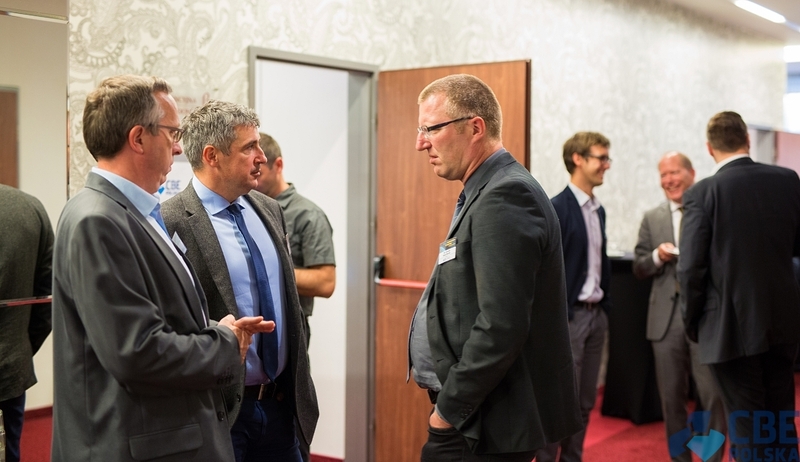 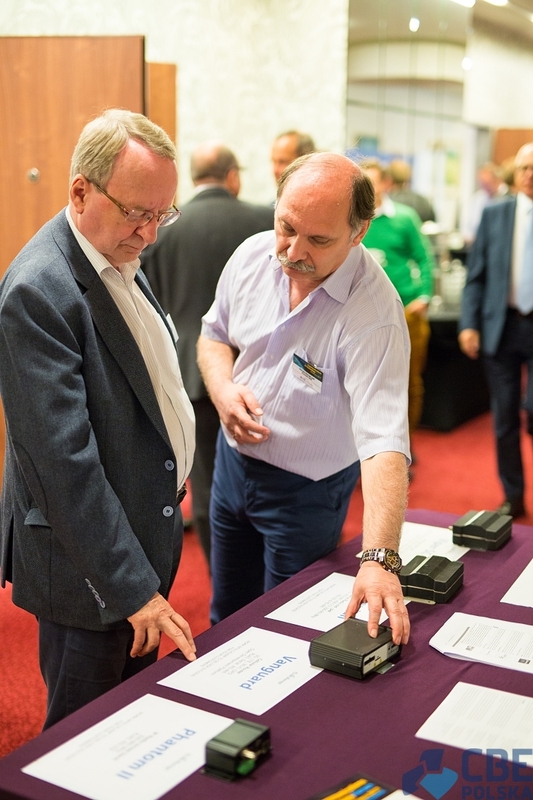 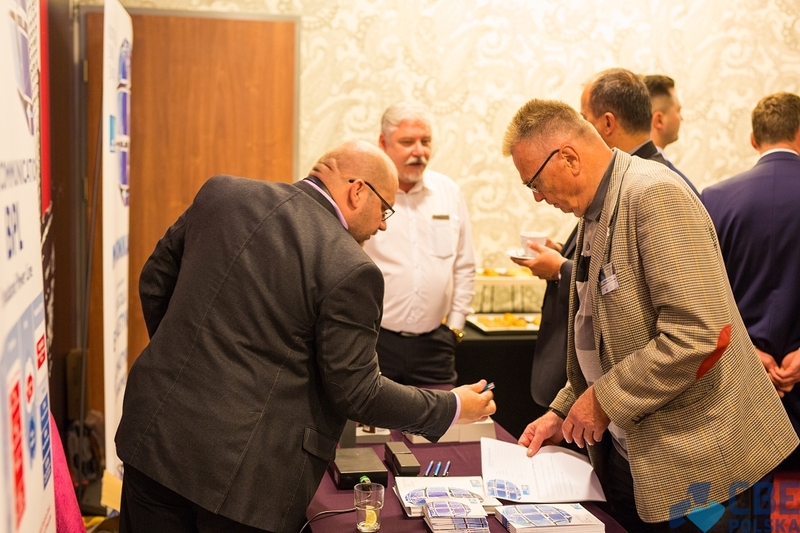 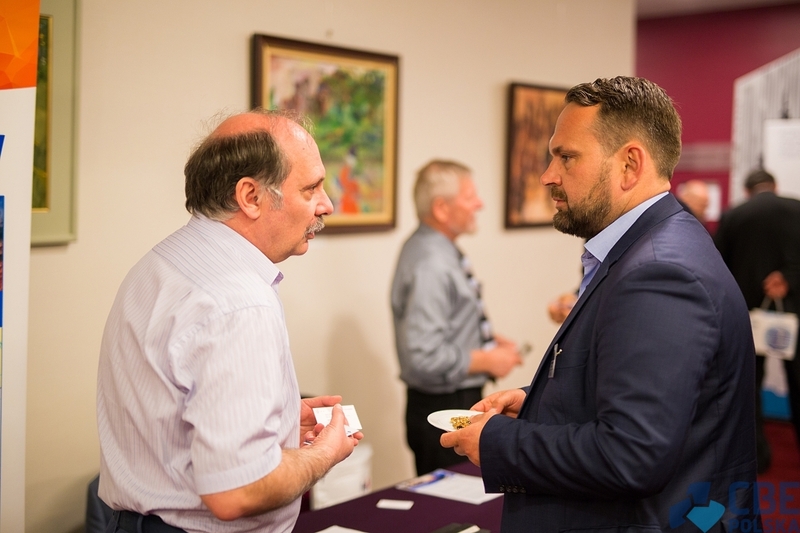 The representatives of OSIsoft, Krzysztof Walczuk, Executive Account Manager - Poland & Ukraine, and Tomasz Piętka, Country Account Manager - Poland, talked about the PI system offered by their company. 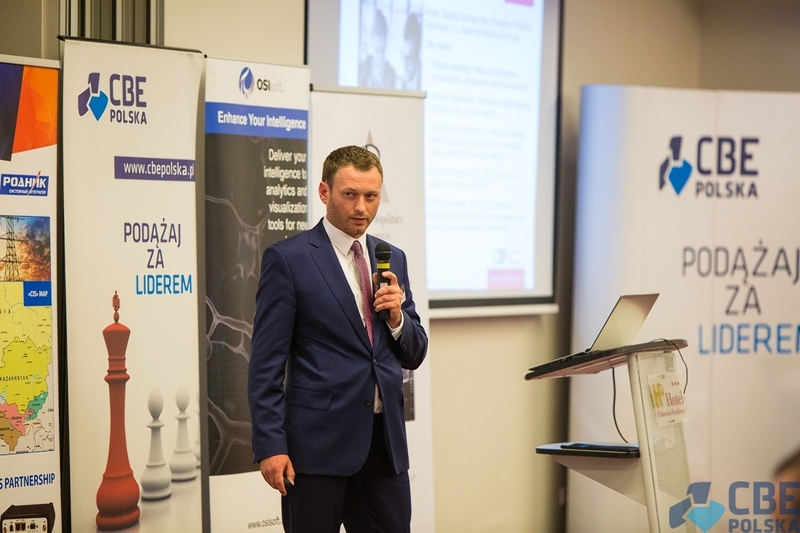 This system has a potential to solve a lot of problems for companies by quickly preparing and delivering critical process data, providing security, improving performance and operational efficiency. 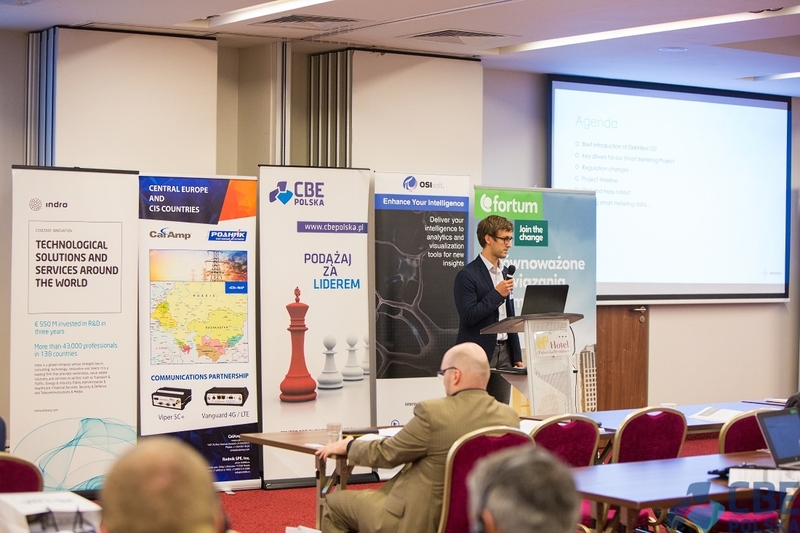 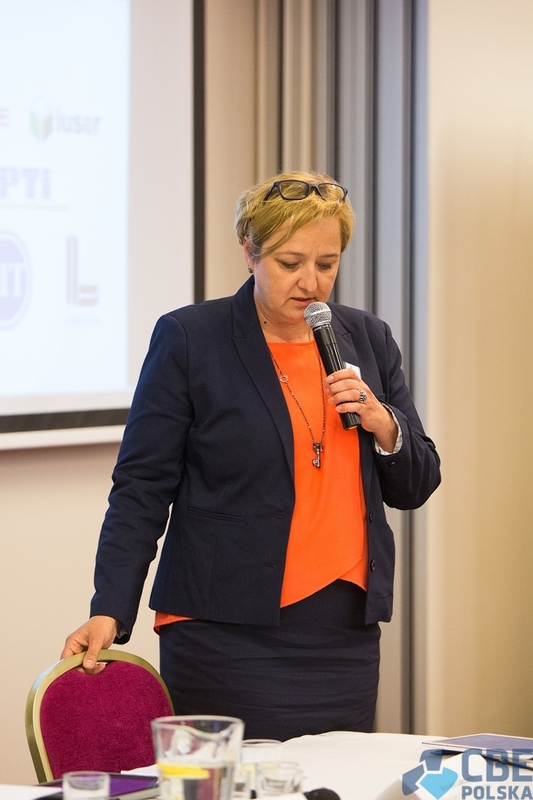 As part of their presentation, OSIsoft representatives also talked about the Red Carpet Incubation Program (RCIP), co-created with Microsoft, for MPWiK Wrocław (Water and Waste Management Company). 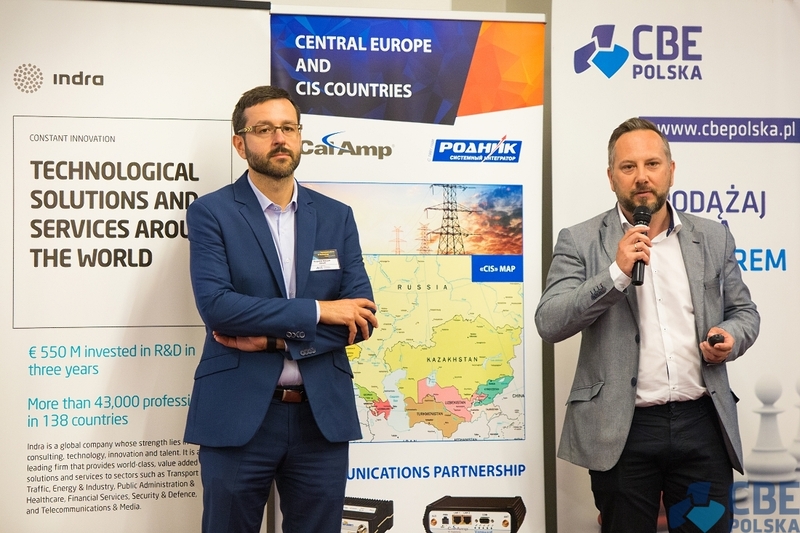 The RCIP allowed easy link of production data and customer data to trigger prediction algorithms, that allow the operator to predict crashes and anomalies on the network, providing the ability to launch necessary preventive actions. 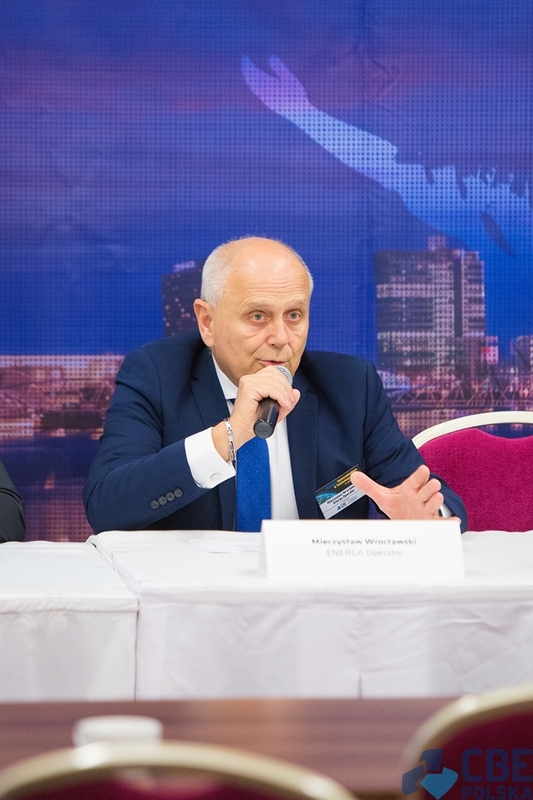 In addition, the system can also collect data from users and operating parameters from the network, providing MPWiK with a full real-time picture of their operations. 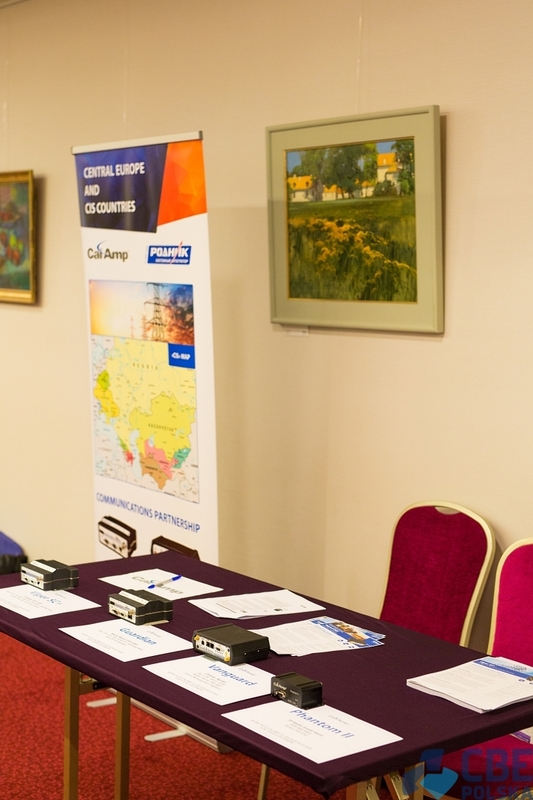 As a result of the implementation, MPWiK was able to reduce costs by drastically decreasing the number of failures on the network, reducing the number of complaints and increasing customer satisfaction. 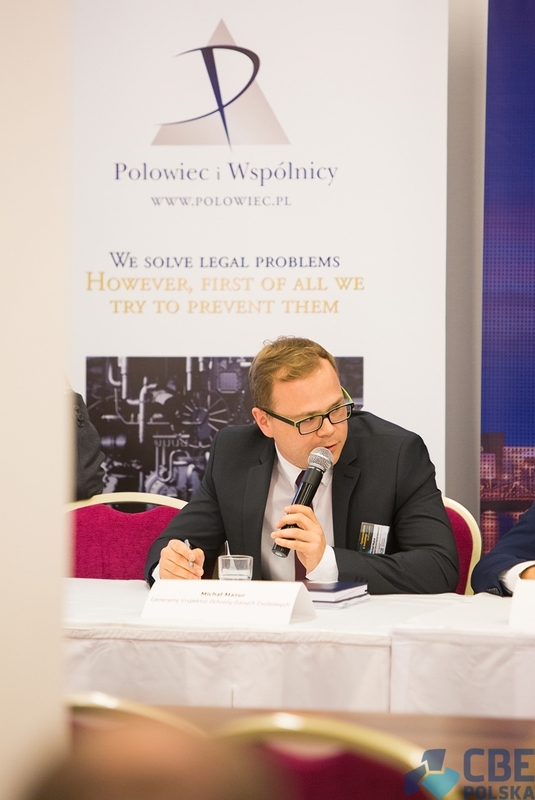 Furthermore, they were able to improve the diagnosis mechanisms that identify causes of failures and malfunctions, and organize faster response time to any problems and threats that may occur in the system. 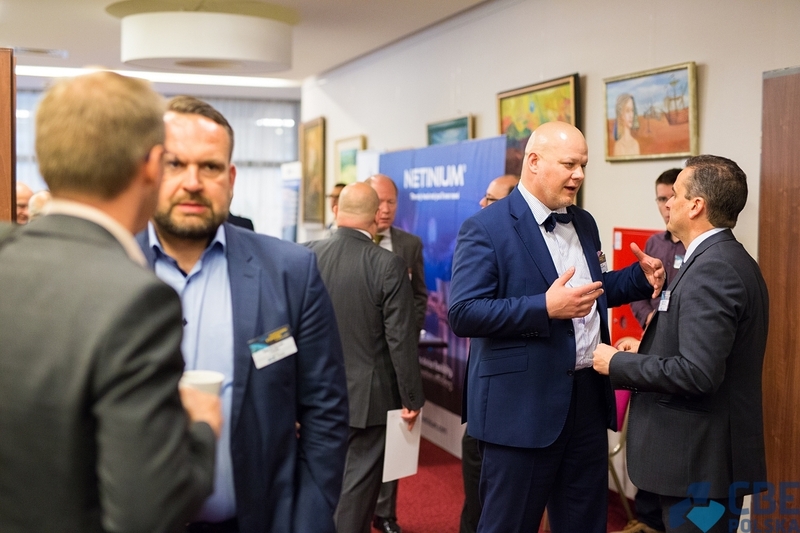 ELEKTRILEVI OU – Smart Metering implementation projects in Estonia. 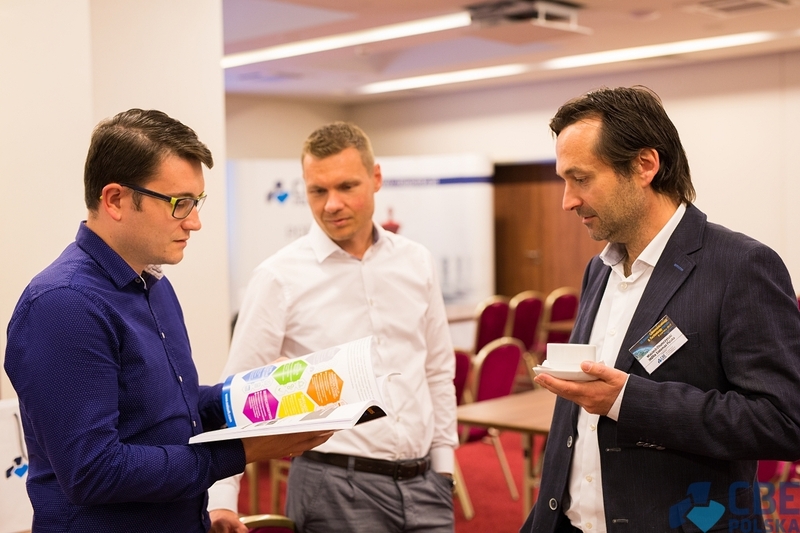 Elektrilevi is the largest Distribution System Operator in Estonia, managing 61 thousand km of electrical lines and serving 475 thousand customers. 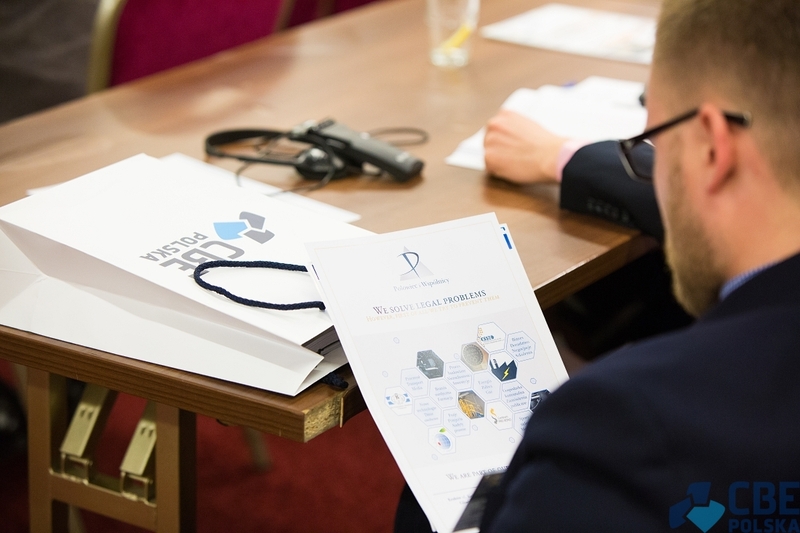 Company's area of operation is almost 90% of the whole territory of Estonia. 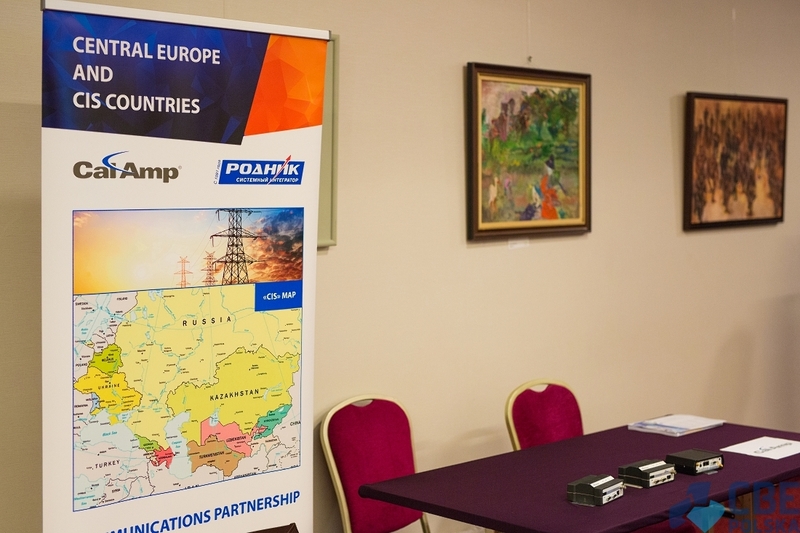 Country that has been very active in implementing Smart Metering and Smart Grid solutions on its distribution networks since 2010. 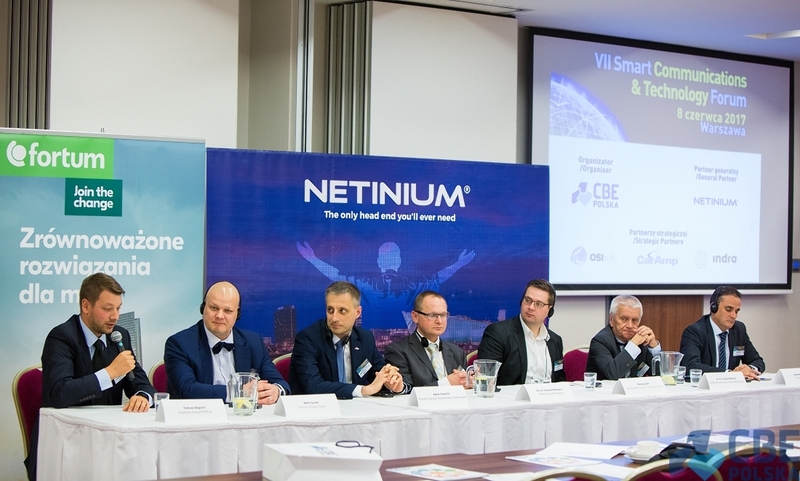 According to the Estonian Government's directives, all metering systems above 63A had to be converted to "smart" metering systems by January 1, 2013 and all below 63A, by January 1, 2017. 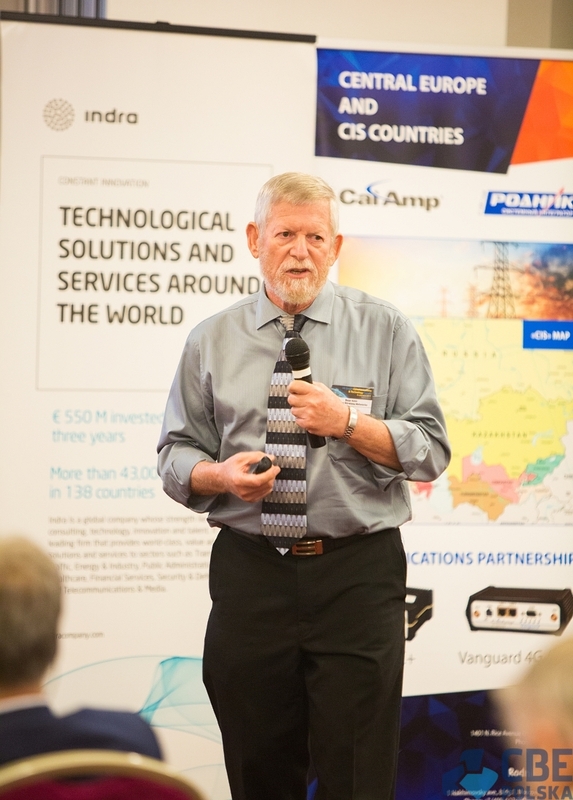 The result of this implementation was increased customer satisfaction, reduced operating costs, improved network maintenance, data collection from customers, reduced network losses. 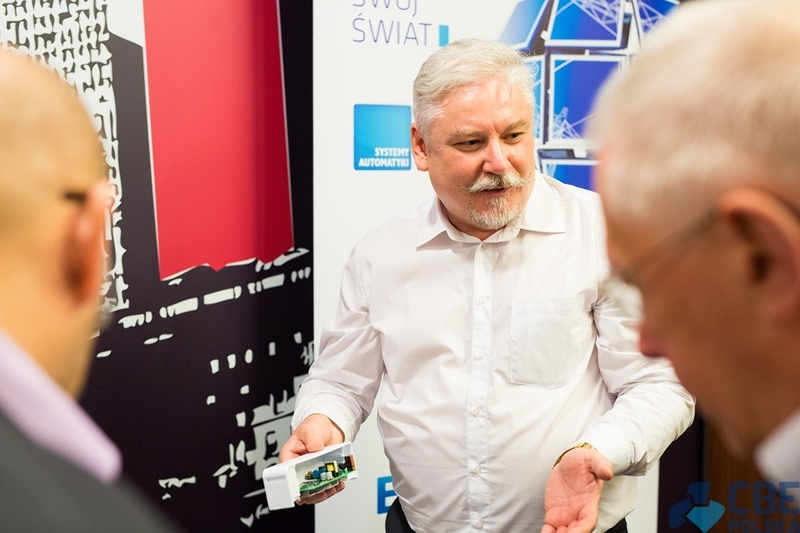 Currently the company has installed and manages more than 625 thousand smart meters on their distribution network. 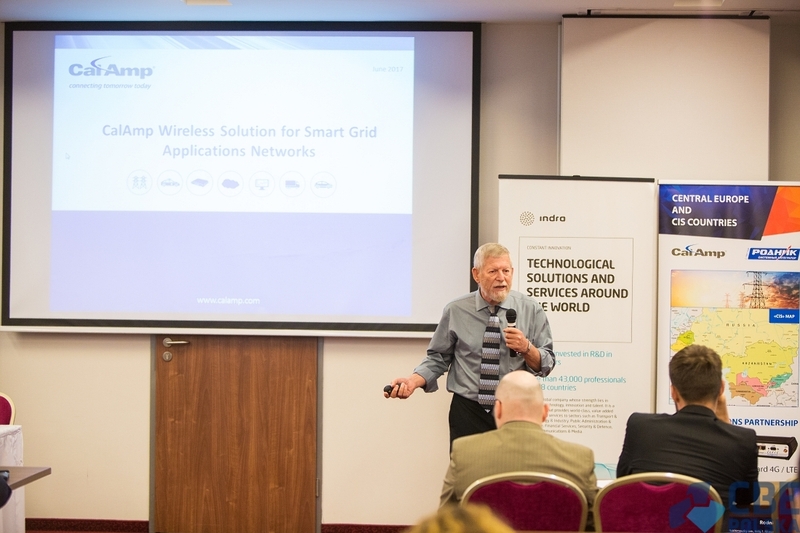 Among the advantages of the implementation of Smart Metering solutions, our Speaker mentioned a faster response to any malfunctions and less time needed to repair it, drastically reducing unplanned power outages. 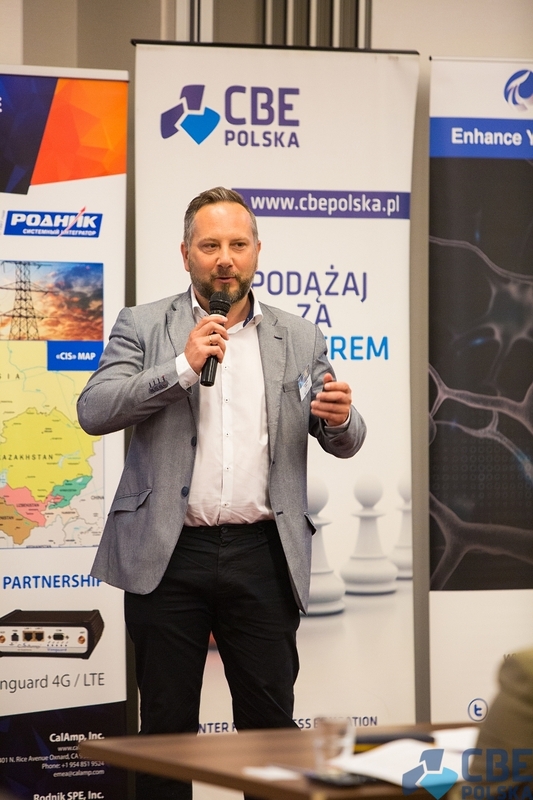 The implementation of Smart Grid technologies allowed Elektrilevi to increase the number of preventive measures, and acquire the ability to pro actively manage the network without having to wait and react to certain anomalies, failures on the power grid. 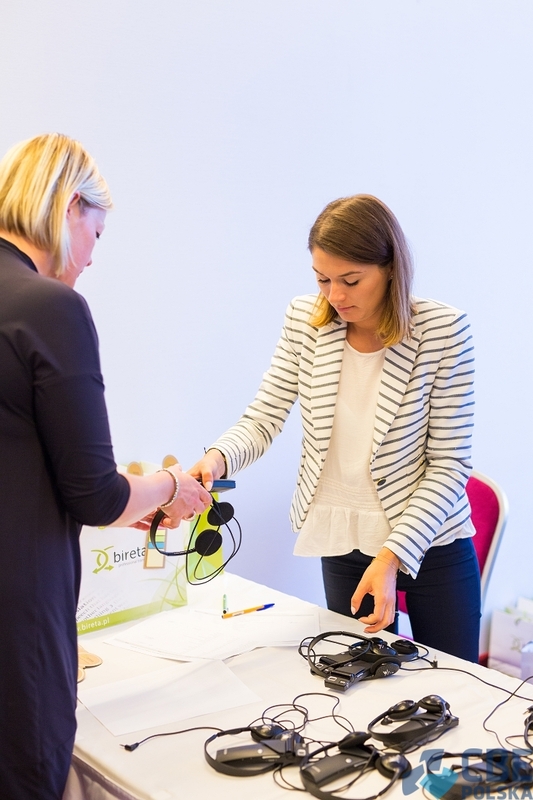 INNOGY SE – Innogy SE implements the intelligent low-voltage electricity grid - practical experience. 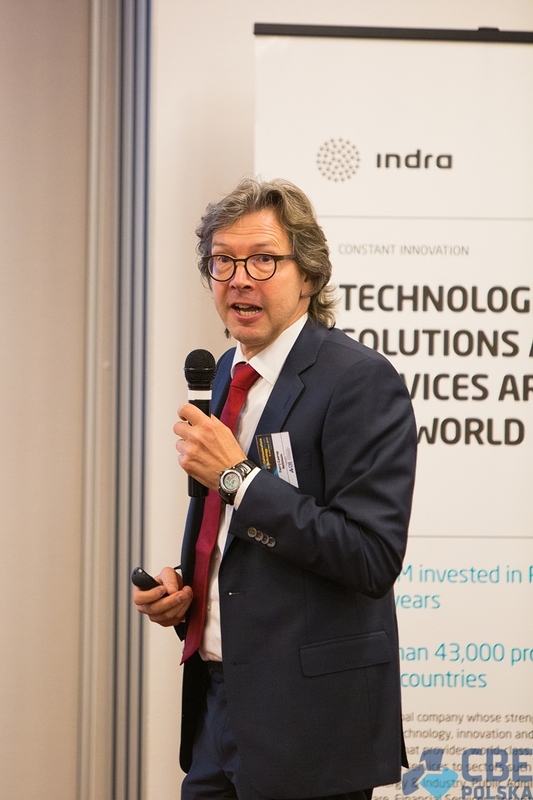 Our next Speaker was Jan Guenther, an expert and a longtime employee of Innogy SE (formerly RWE AG), currently in the Network Strategy Department, co-responsible for the control and operational management of companies within the Innogy Group. 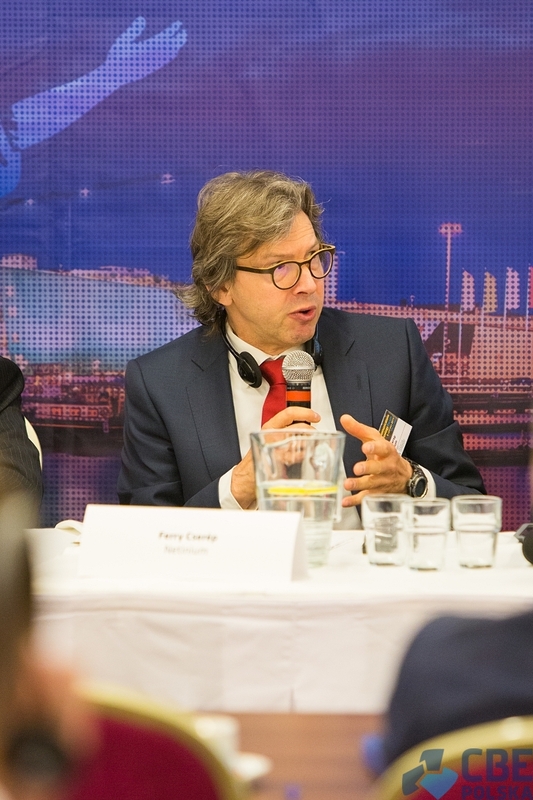 Innogy is the largest energy operator in Germany and globally the fifth largest operator in the renewable energy market. 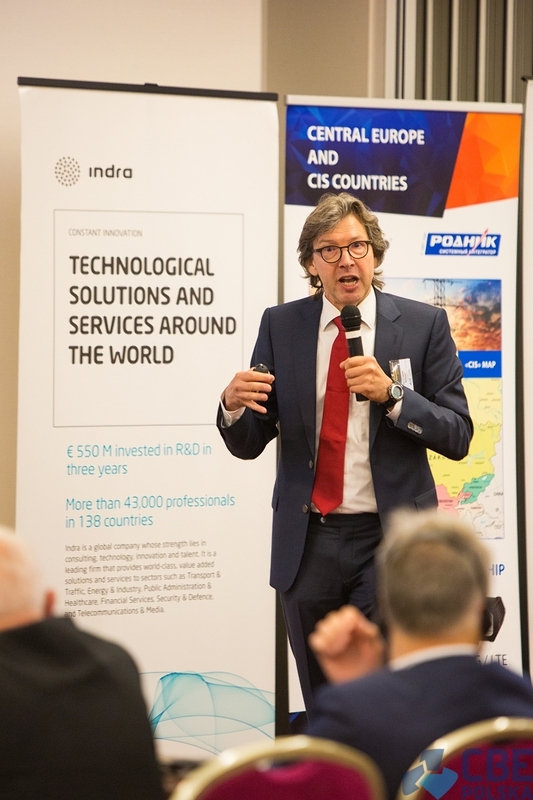 The company is currently also one of the leaders in innovation in Europe, with more than 5400 charging stations for electric vehicles in more than 20 countries, ''smart homes'' projects implemented since 2011, advanced energy storage systems. 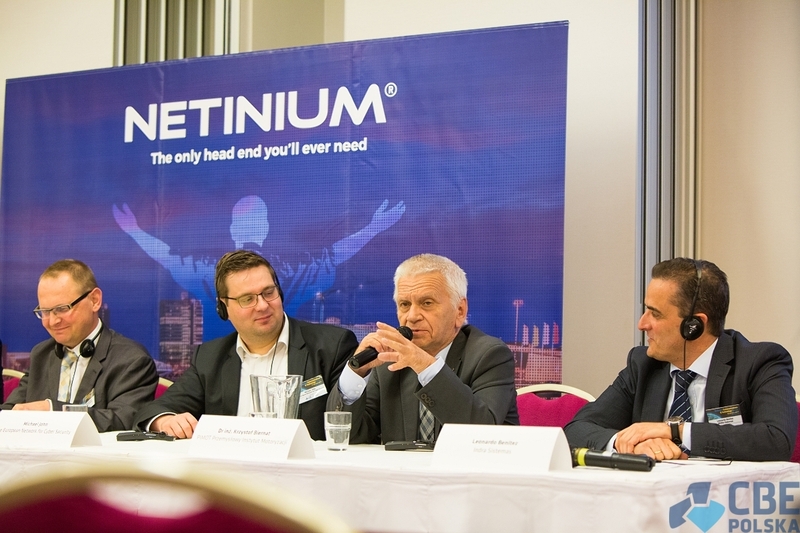 balancing the network and optimizing it at the local level, also at the receiver level. 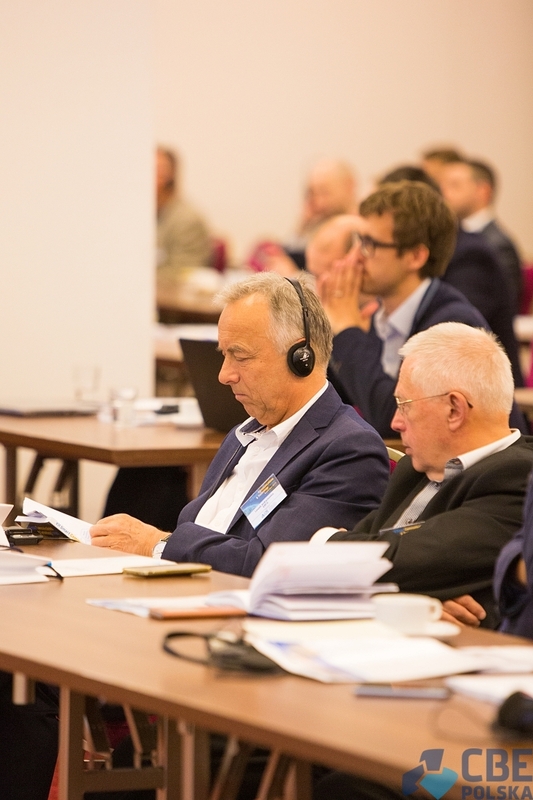 The current situation on the energy market in Germany poses new challenges for the DSOs, forcing the need for the development and improvement of distribution networks. 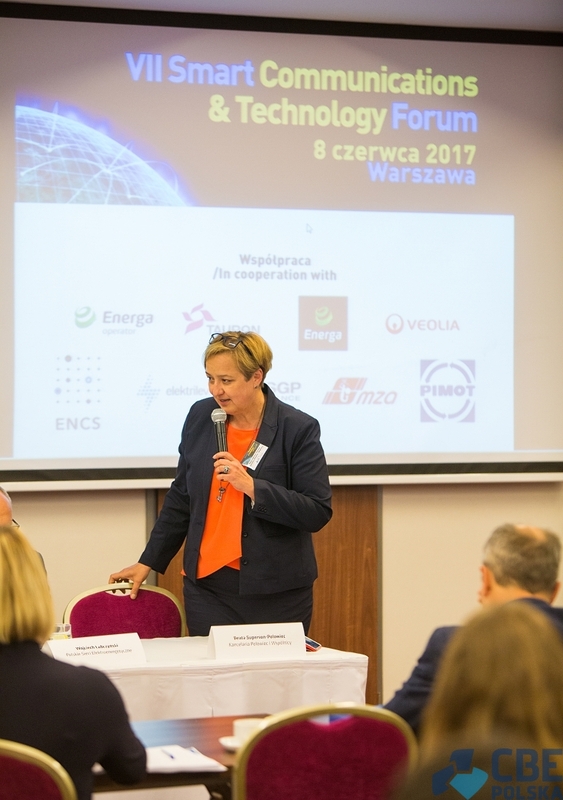 EDF Polska – Smart Grids, the EDF vision from real experiences. 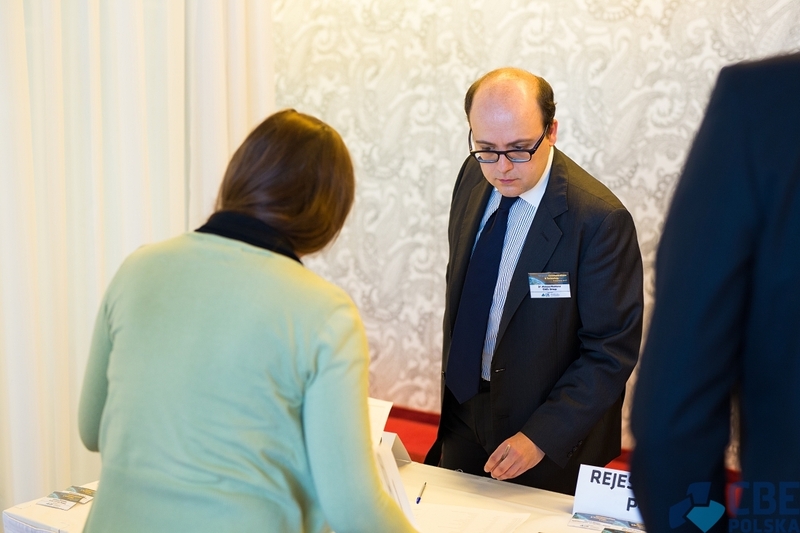 Jerome Bottin, was representing EDF during the Forum. 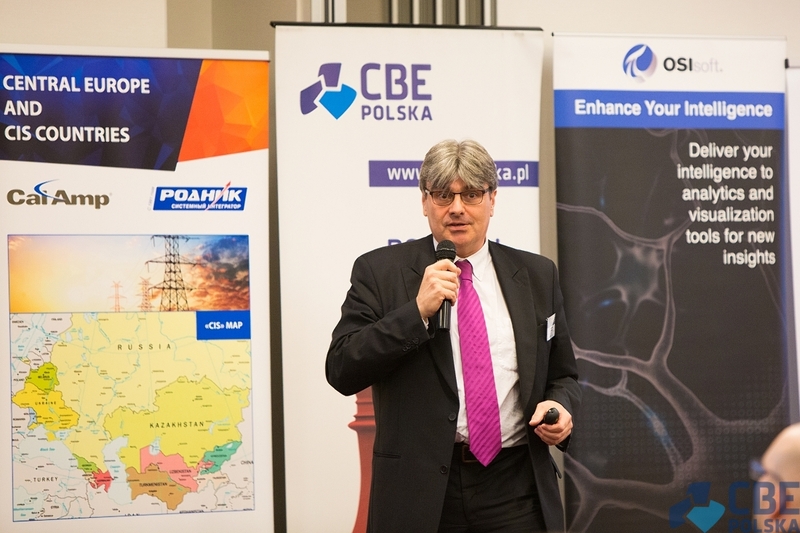 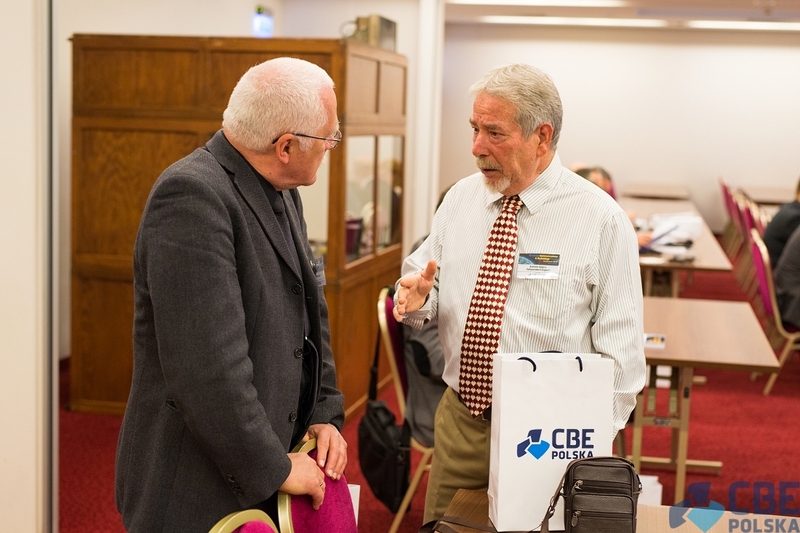 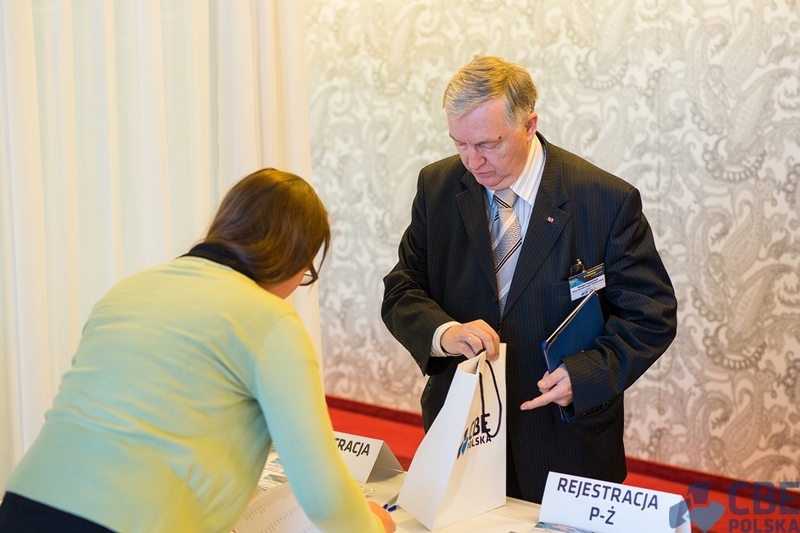 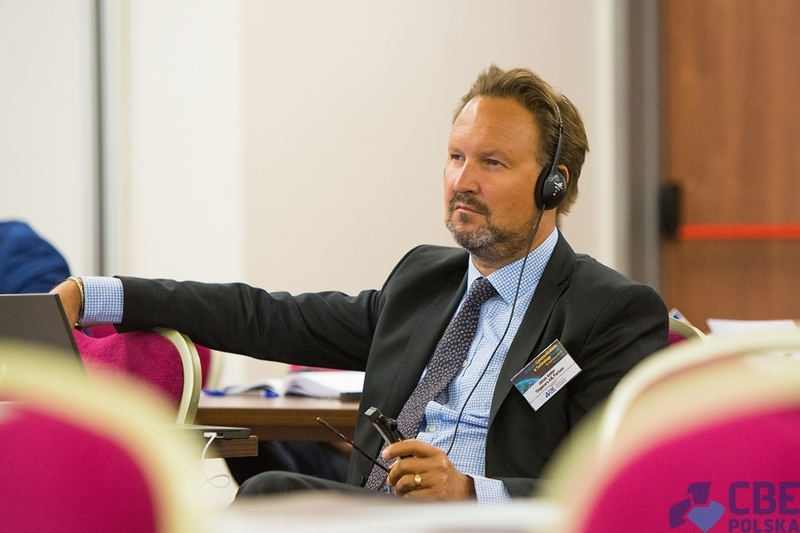 Mr. Bottin is a Member of the Board of Directors, and the Sales Director in EDF Polska. 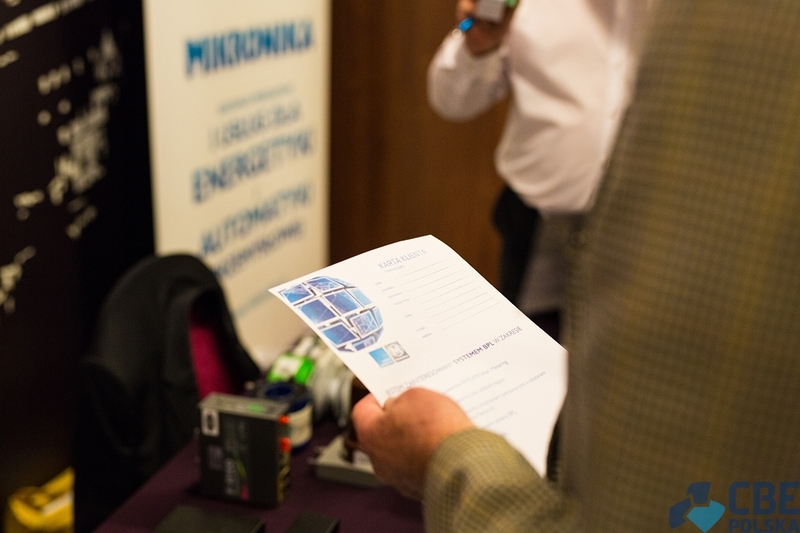 France, as well as other EU Member States, according to Directive 2009/72, is obliged to implement 80% of smart meters on its power network by 2020. 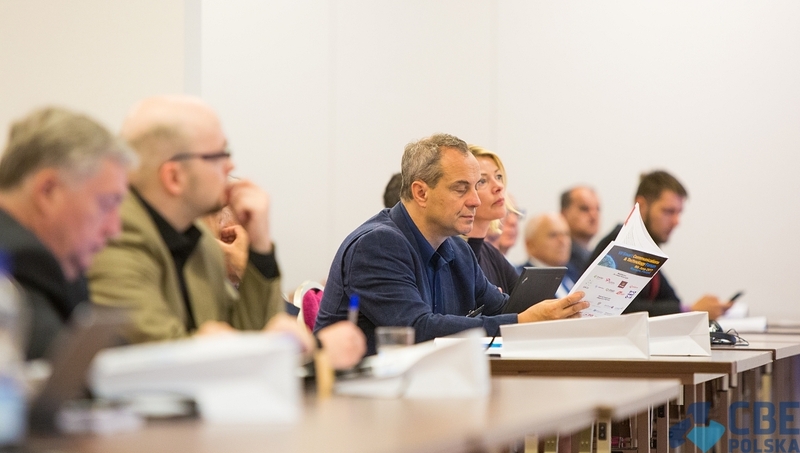 As stated by the representative of EDF, by 2020 France plans to convert 90% of its electricity meters and 70% of gas meters to "smart" technology. 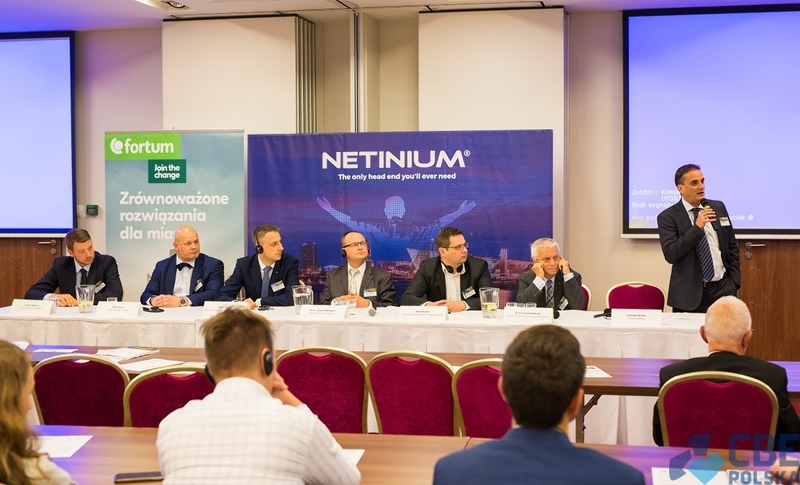 As we can already observe the deployment of intelligent systems on distribution networks all over Europe, certain benefits are clearly visible. 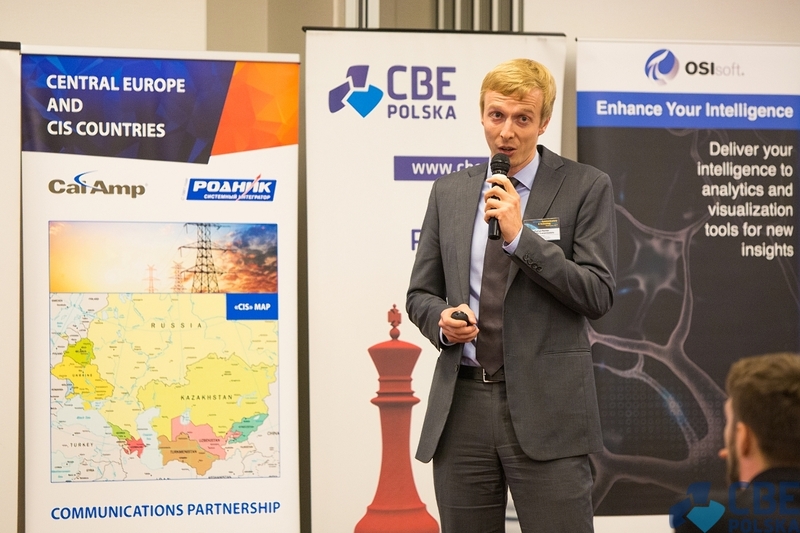 Firstly, the ongoing optimization of European distribution networks, their increased reliability and flexibility to implement other, new services to consumers / prosumers, like integration of renewable energy, development of electric vehicle infrastructure. 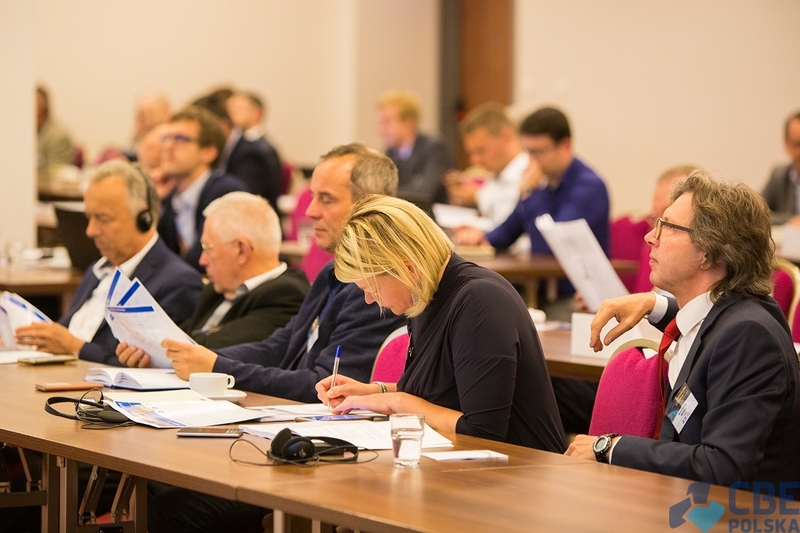 Another advantage that can be observed is the active participation of the consumer in the system, and thus the optimization of demand and consumption of energy - conscious user. 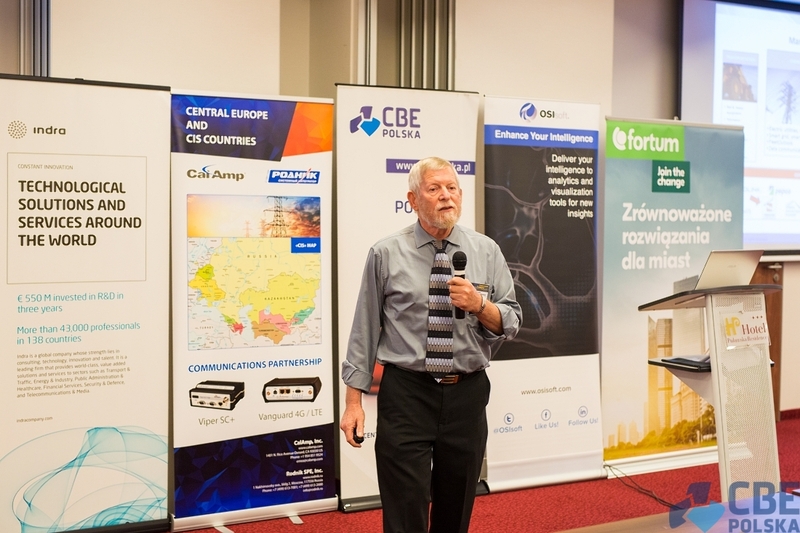 Let's also not forget about the reduction of network losses due to the automation of distribution systems. 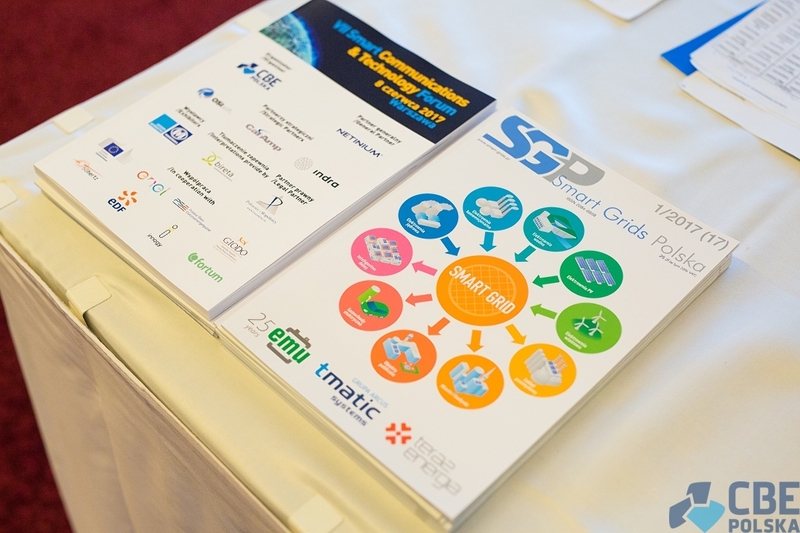 The estimated period of "smart" technology implementation in France will last until 2022 and during the various phases of implementation by local DSOs, the role of EDF as a TSO, is mainly to ensure security of energy supply to its customers. 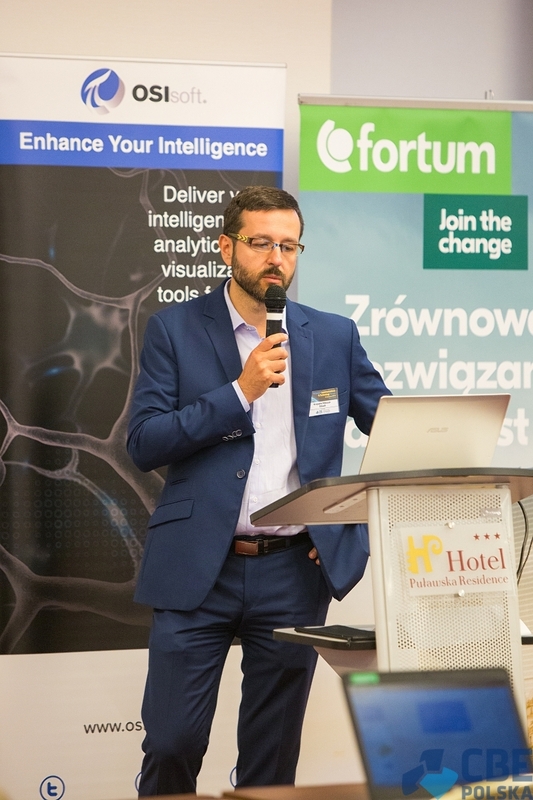 TAURON Dystrybucja – Central Metering Database implementation. 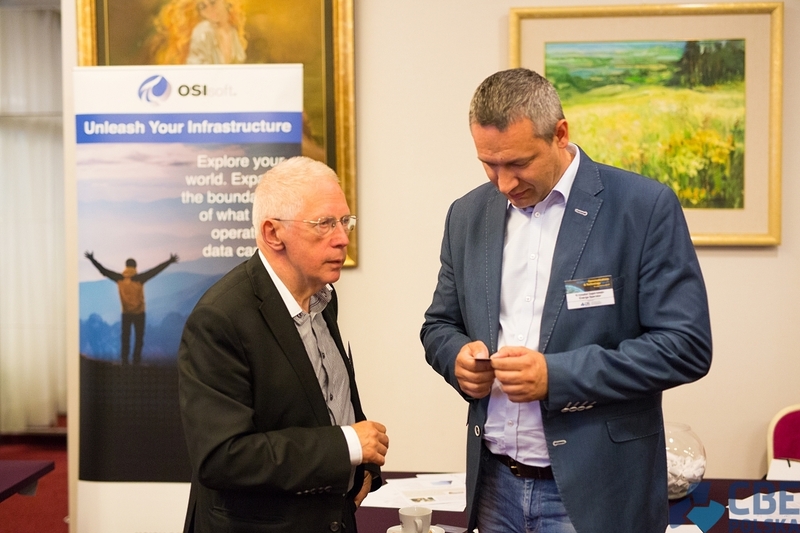 to create a central database for storage, processing and sharing of measurement data. 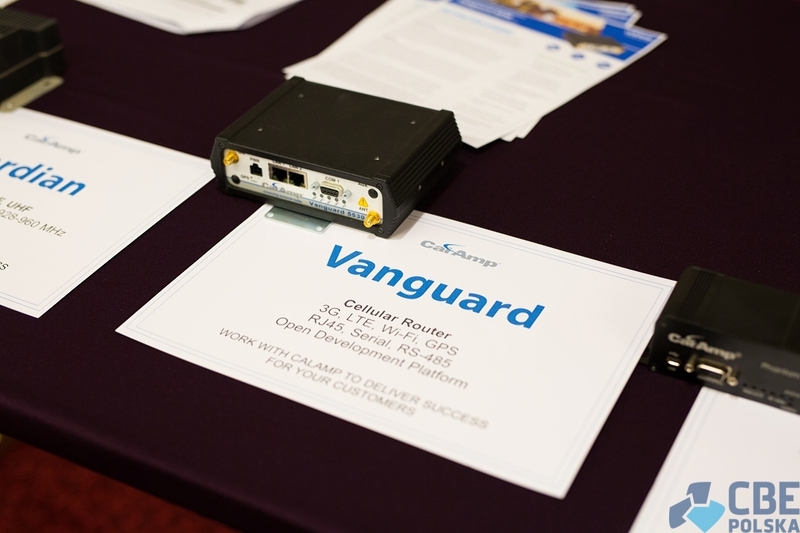 to simplify IT architecture in the measurement area, reduce the cost of building new interfaces. 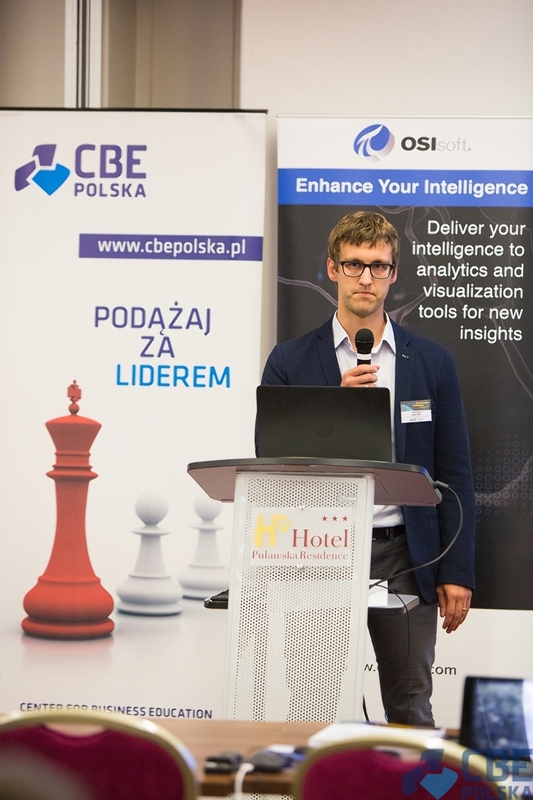 to use of metering data for analytical projects in the field of power network optimization - in a later perspective also to use Big Data tools. 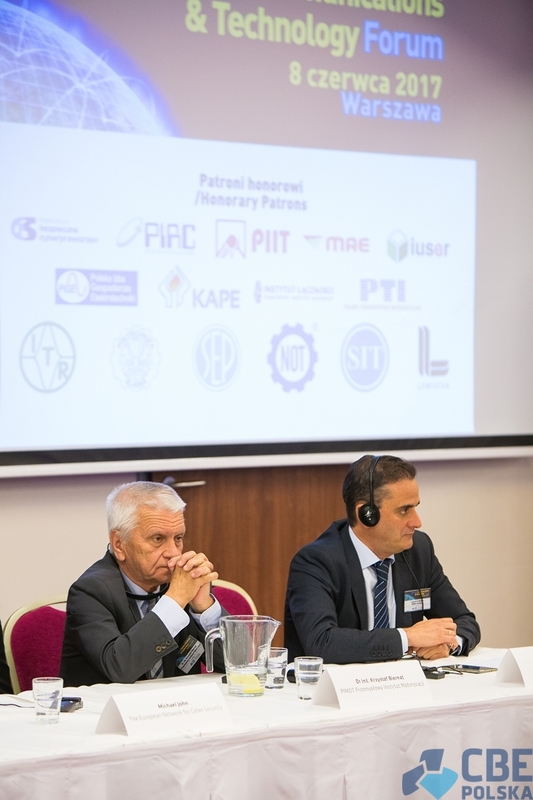 to promote further automation of operational processes in the organization. 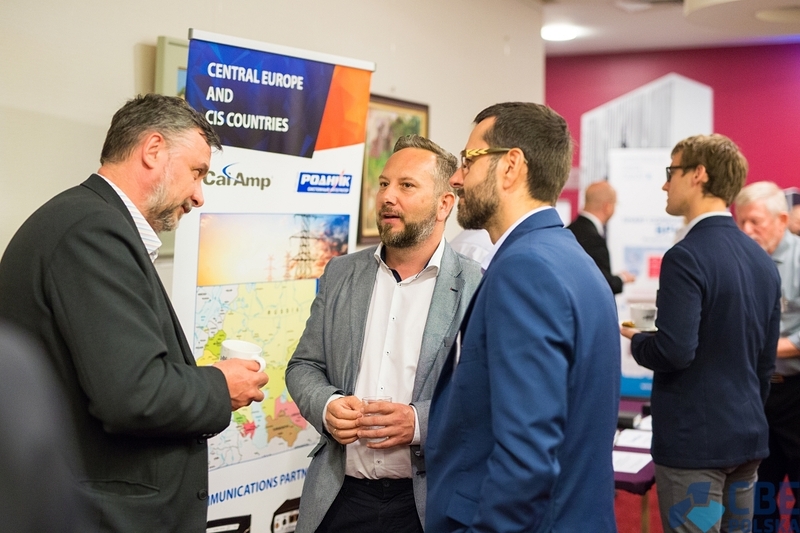 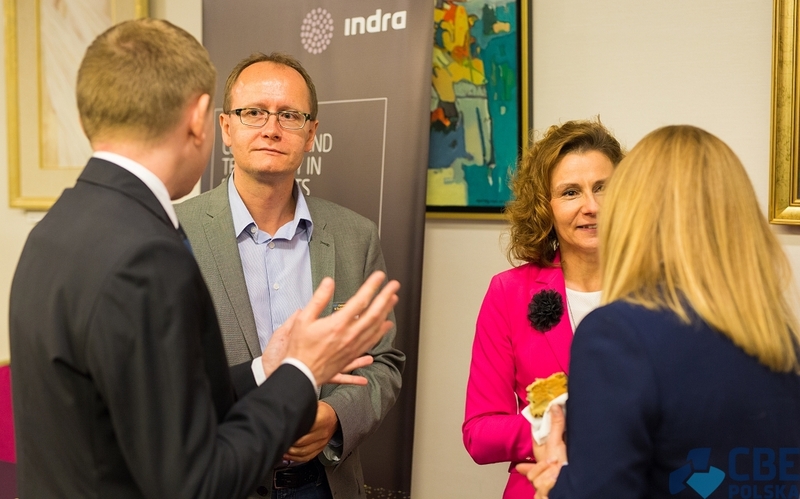 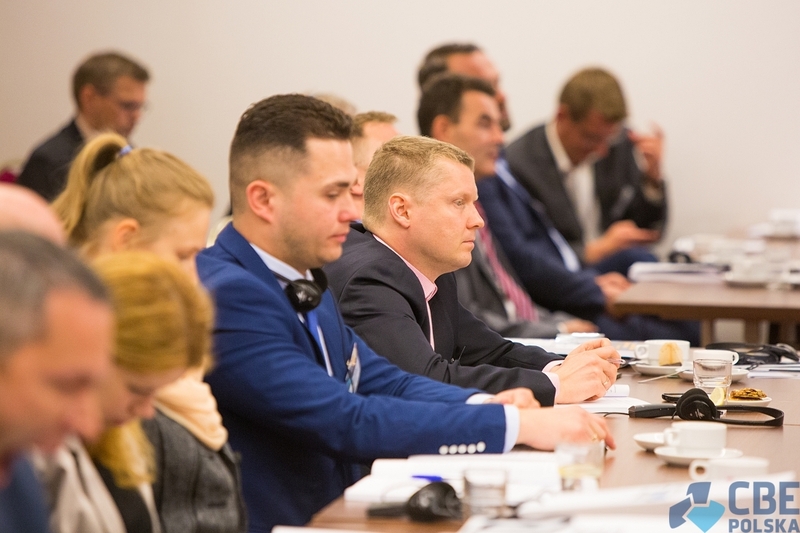 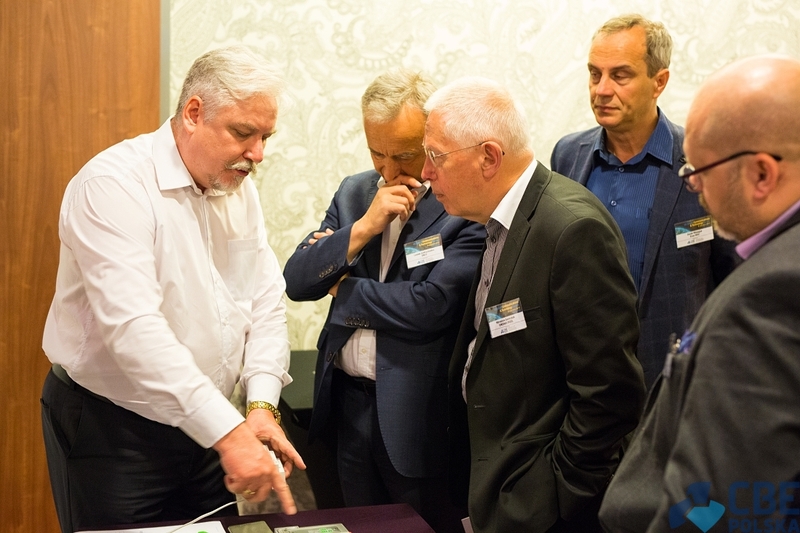 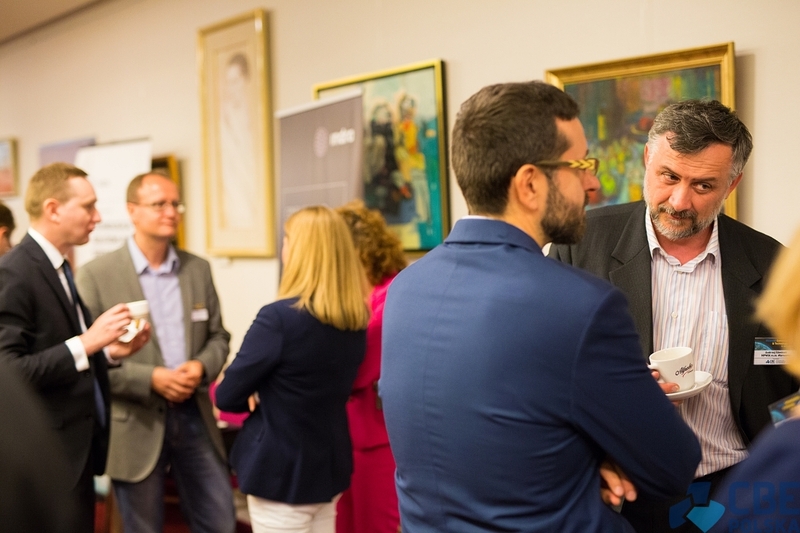 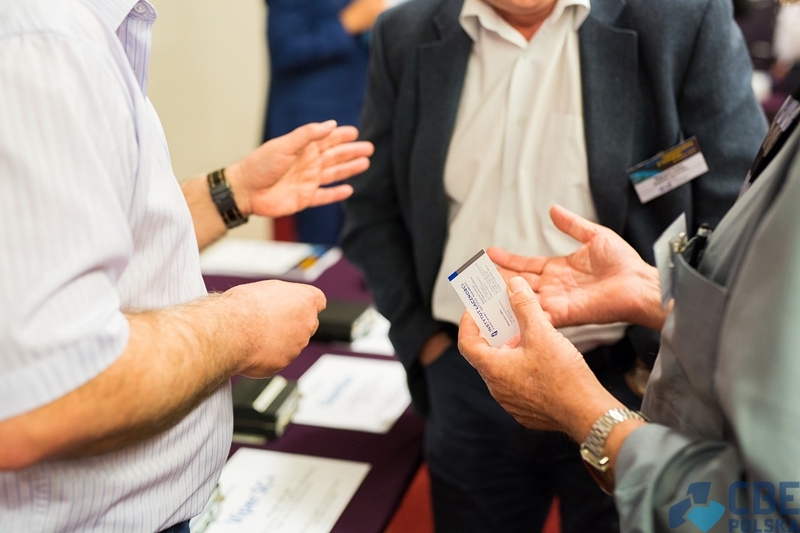 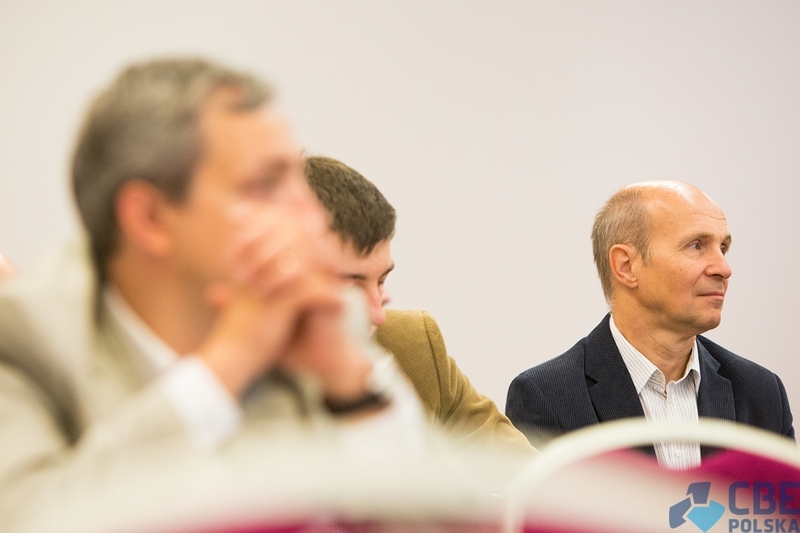 The future of European power grids and the role of the individual players in this network were the main topics of the discussion: the supplier, the distributor and the consumer. 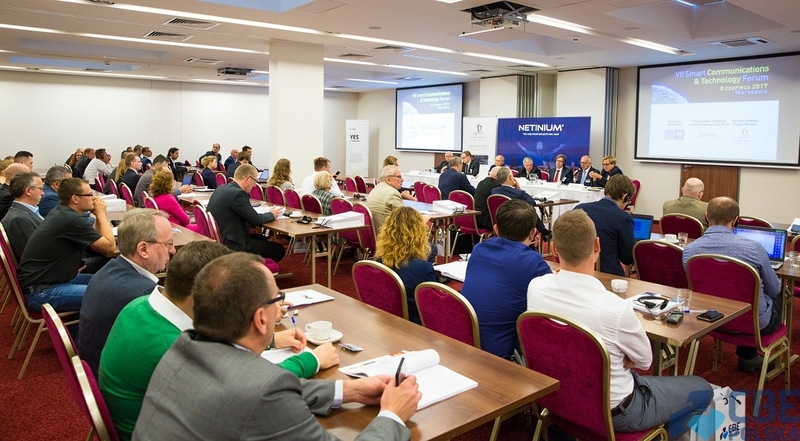 In addition, an important issue of additional services was raised, regarding products that are directly related to the state of power systems like the electric vehicle infrastructure. 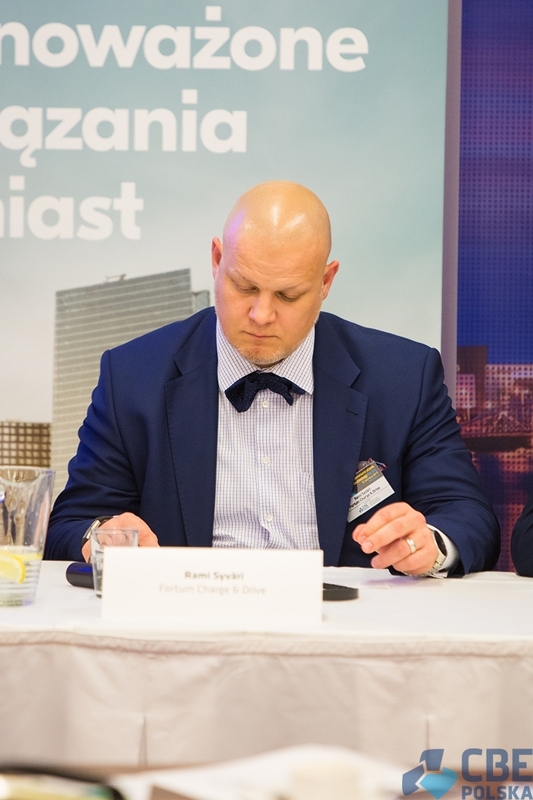 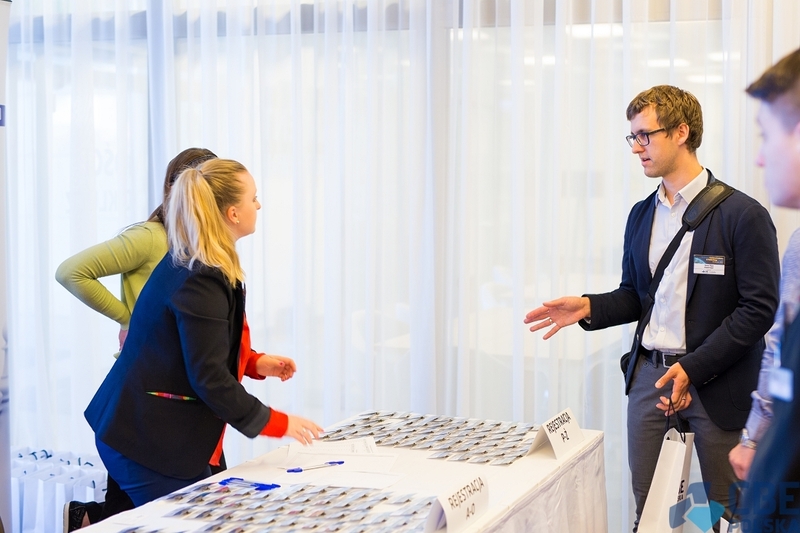 Our Panelist, Rami Syväri from FORTUM Charge & Drive, talked about his company's success and the situation in the Nordic markets that allow already today mass production and implementation of electric vehicles in a form of public and individual transportation. 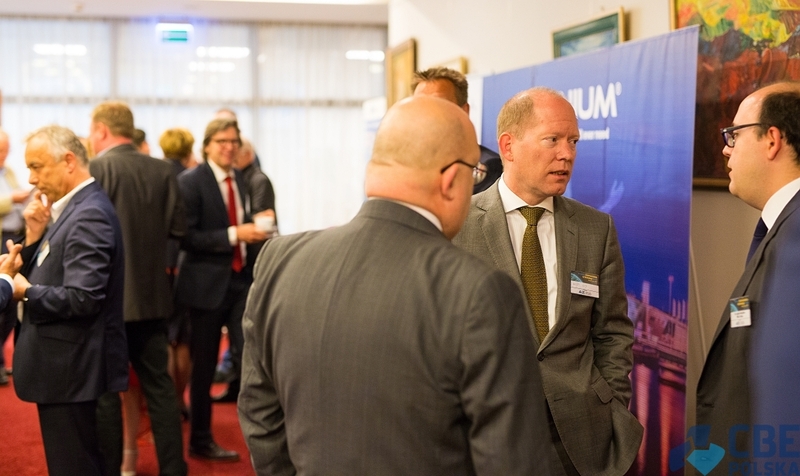 The first step in creating an electric vehicle infrastructure and market is to create a sufficient number of charging stations and then implement system to manage them efficiently: "FORTUM is a leader when it comes to electric vehicles in Norway, and Norway is a worldwide leader when it comes to mass implementation of EV infrastructure." 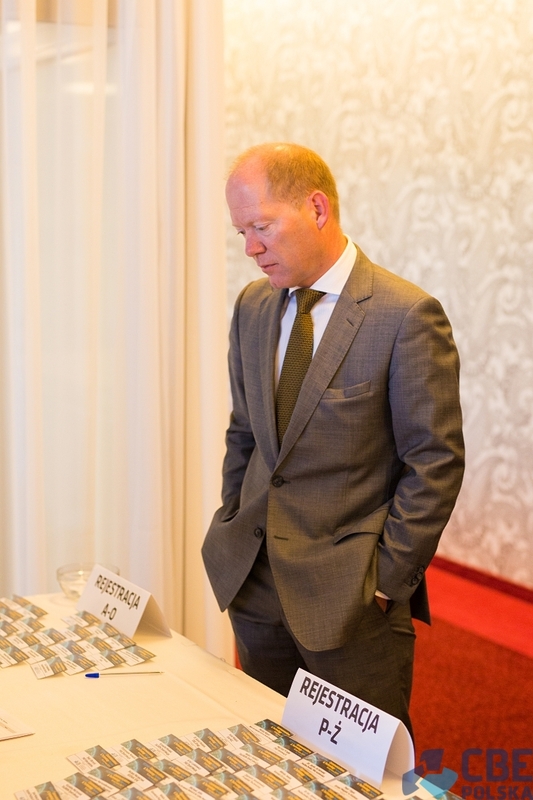 In Norway, population 5 million, there are 135 thousand electric cars. 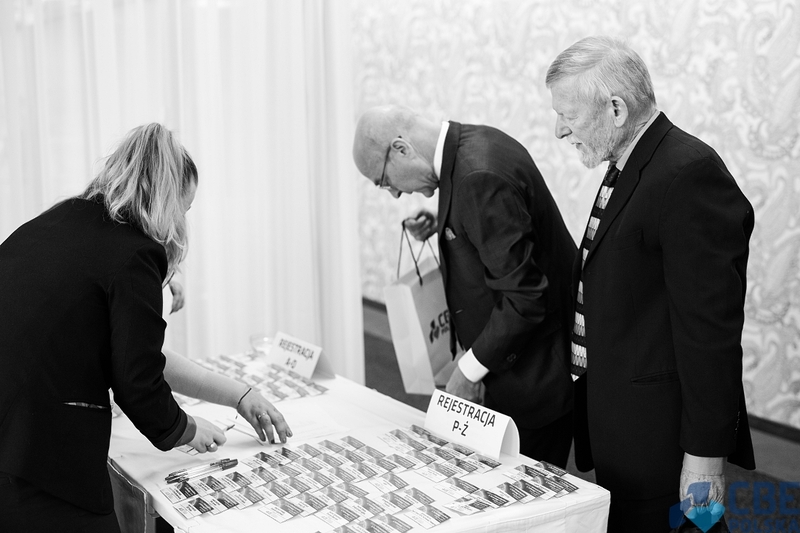 In Sweden, population 10 million, there are 20 thousand electric cars. 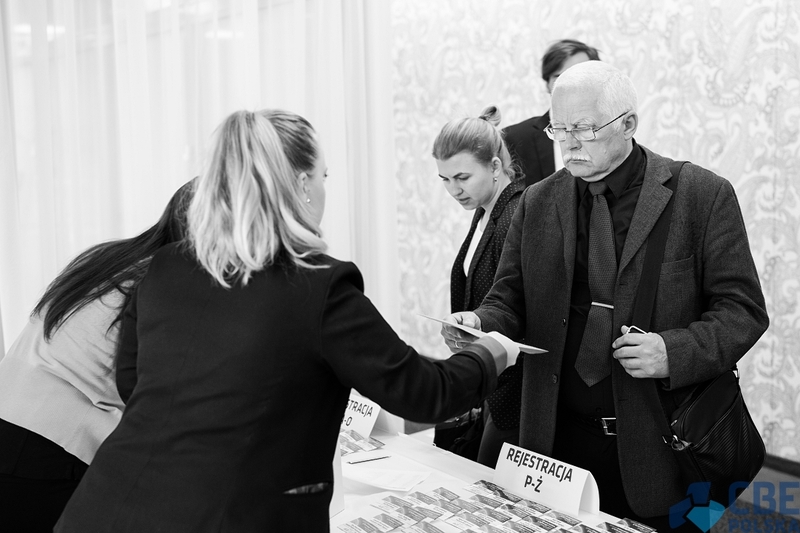 In Finland, population 5 million, there are over 1000 electric vehicles occupying the roads today. 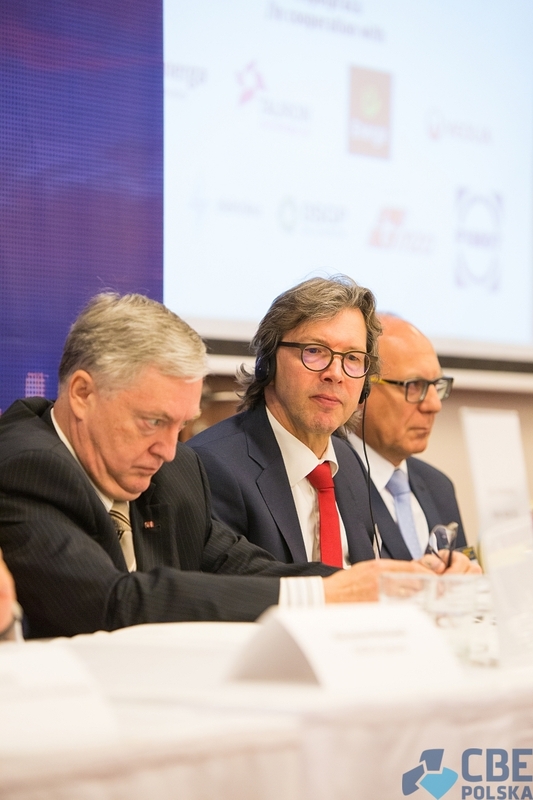 "In reality, Norway today is the only country in the world where we can show an actual electric transportation market." 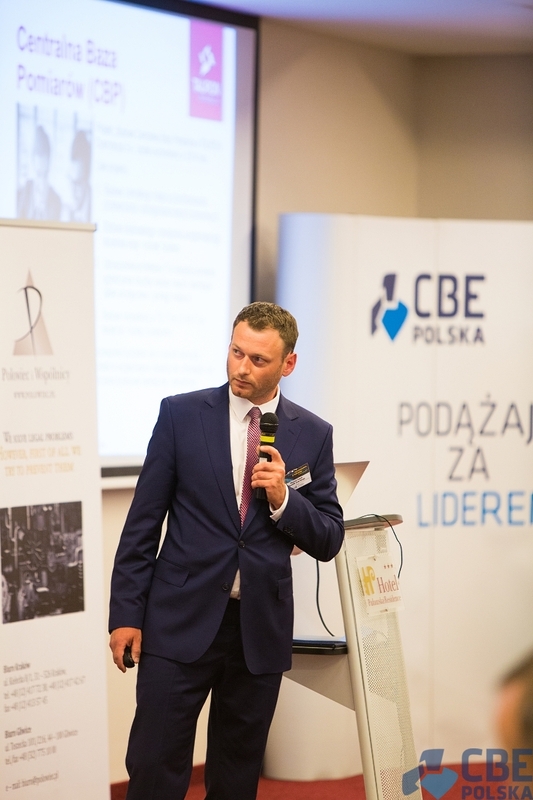 Tomasz Bogucki, representing company Enspirion from ENERGA Group, stated that in Poland we are at the starting point of creating such market: "(...) presently, there are no business models yet, there is however great potential (...) Poland has a massive automotive market, and equally big energy market, what we need now is a leader, company or an institution that could make the first step and kick-start the whole process..."
Dr eng. 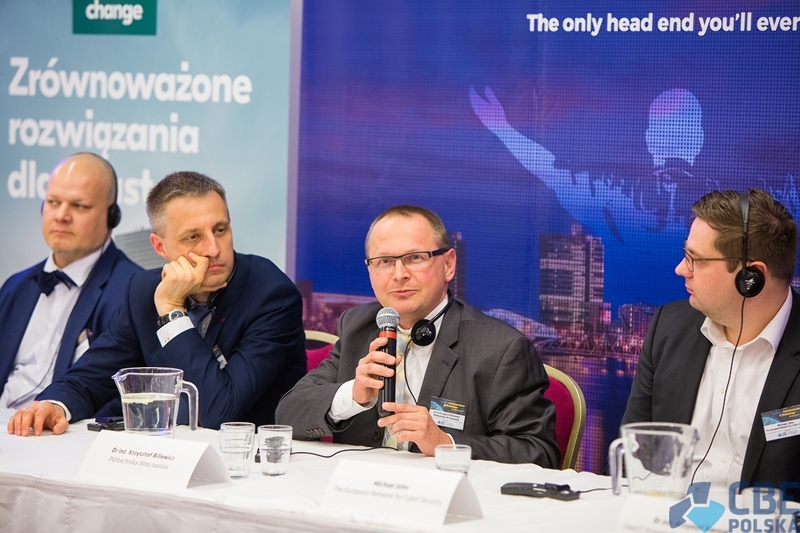 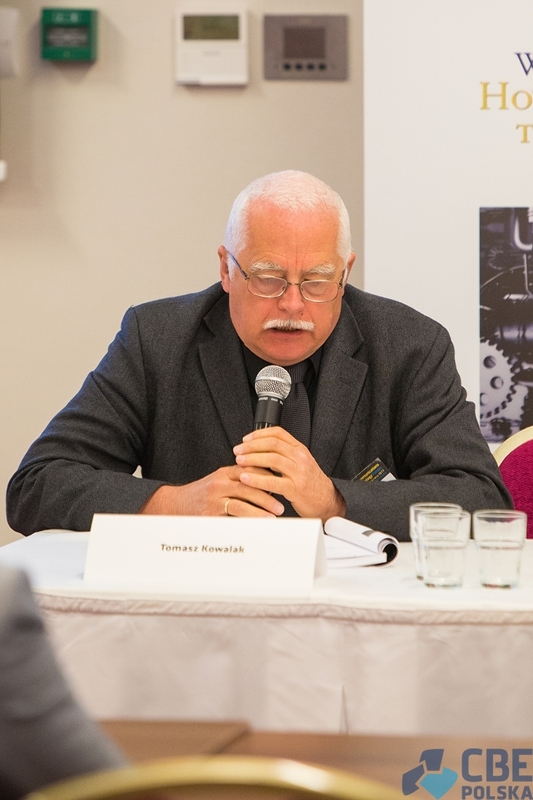 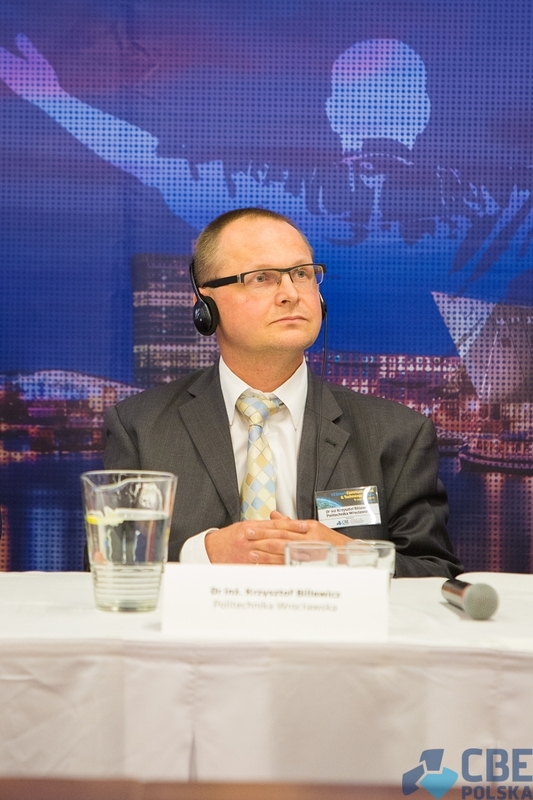 Krzysztof Biernat from PIMOT added: "(...) when it comes to the public transportation the goal of electric buses driving around cities and towns is a very good and necessary idea. 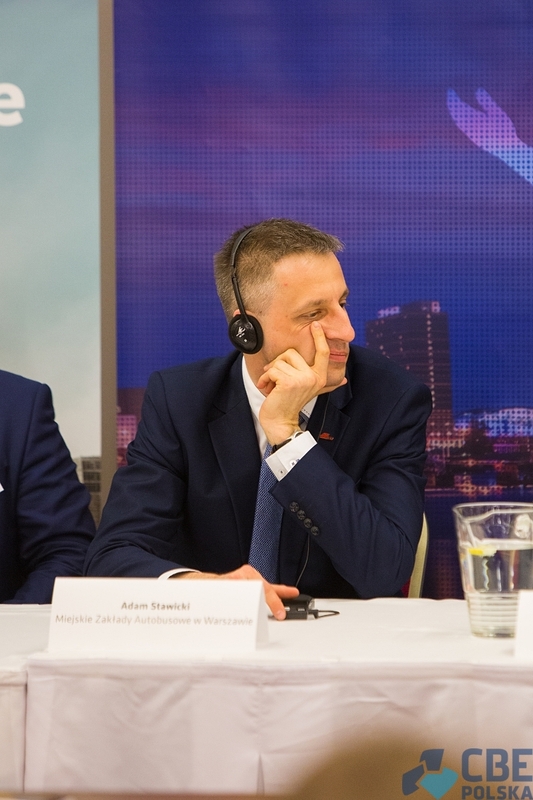 However, regarding the individual, private electric transportation, government's vision of 1 million electric cars by 2025, seems, at least for the time being, somewhat unreal."